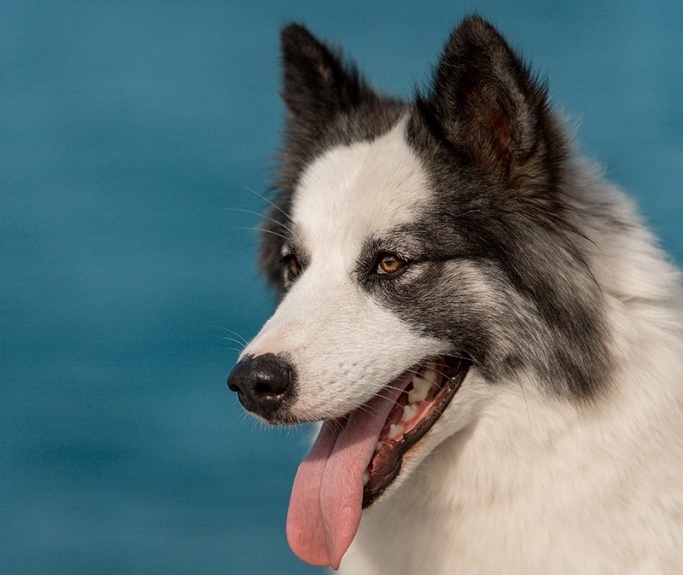 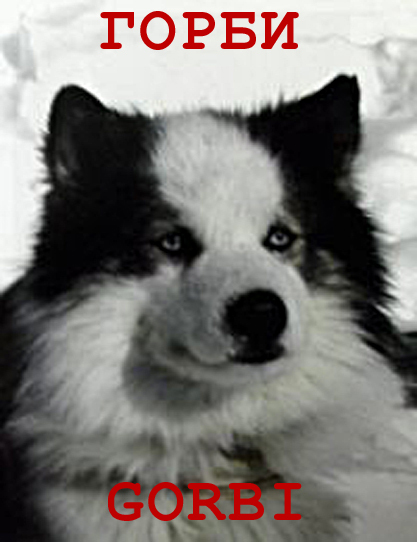 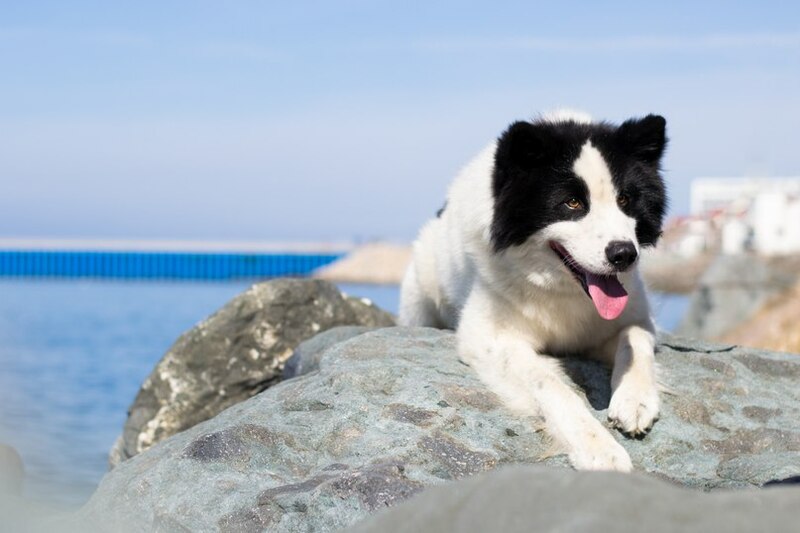 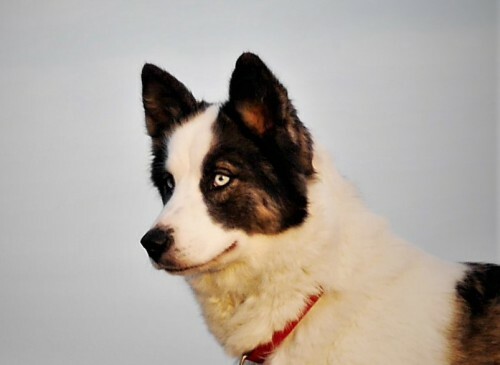 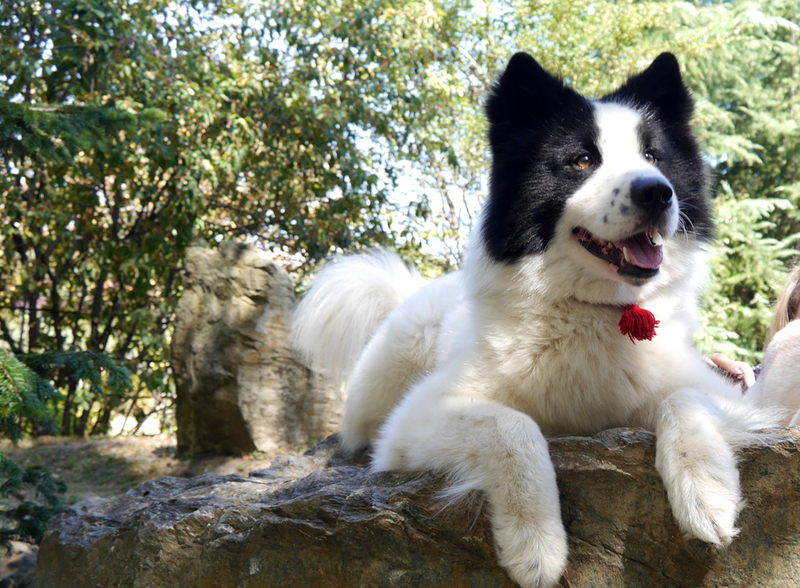 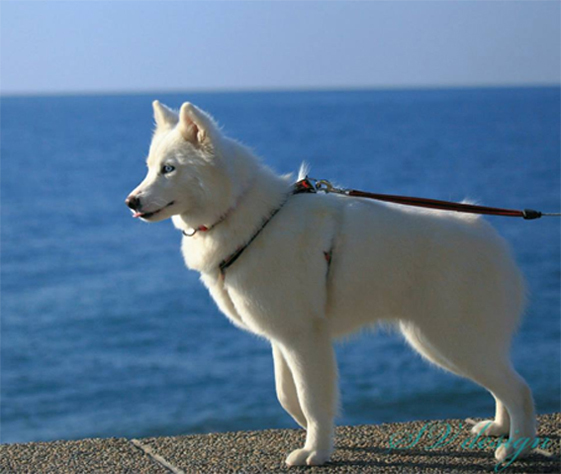 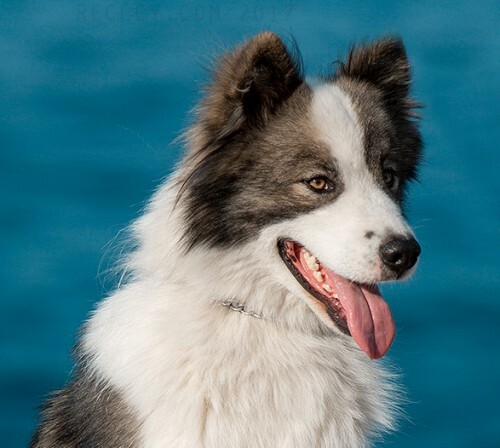 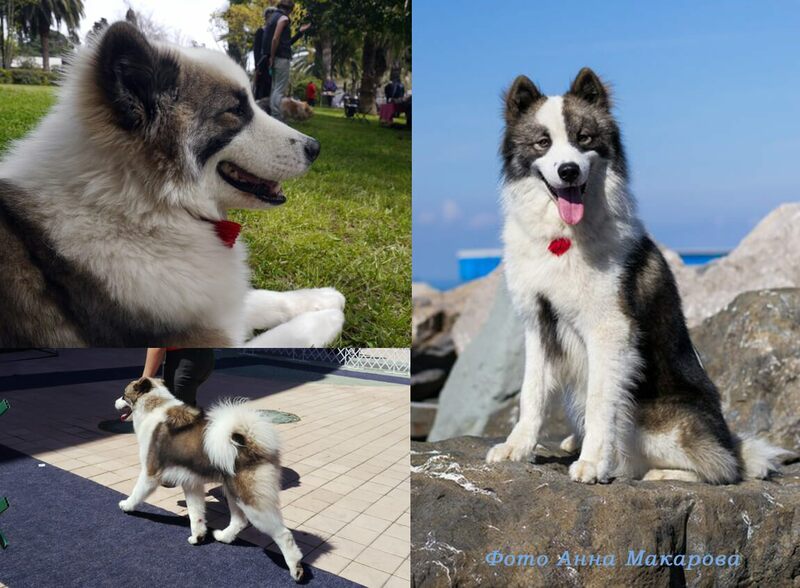 Yakutian Laika is an active, bold and extremely faithful dog. 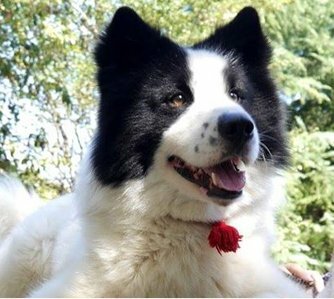 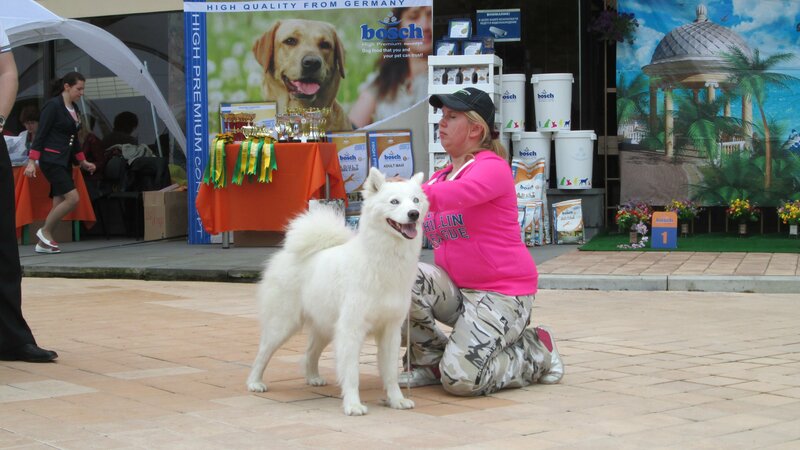 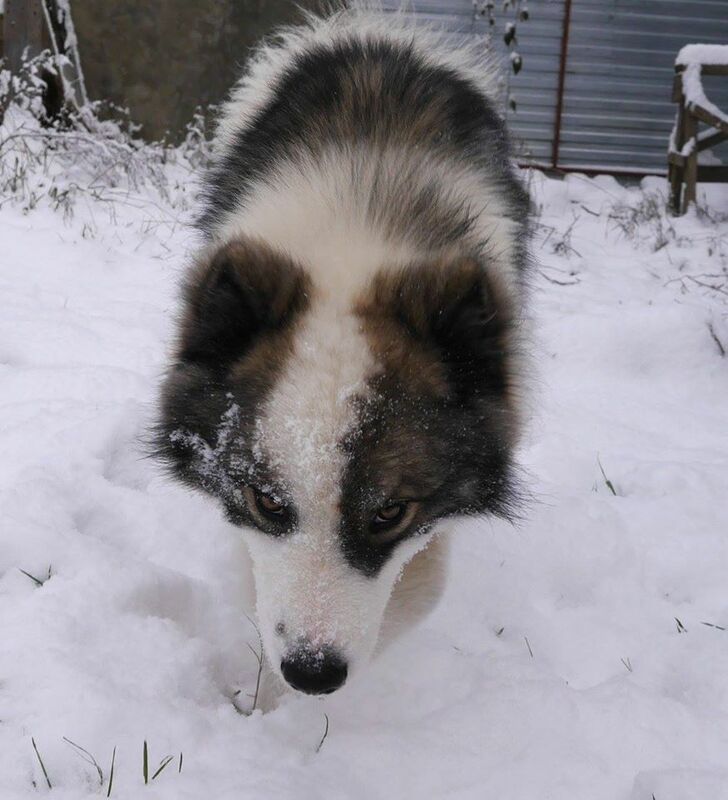 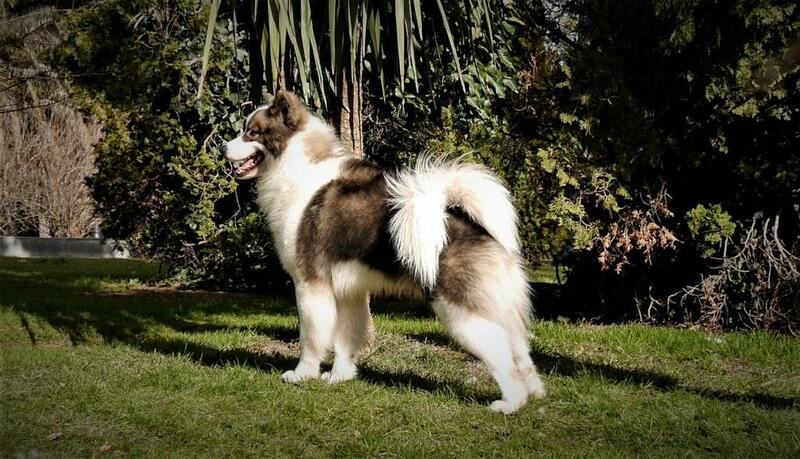 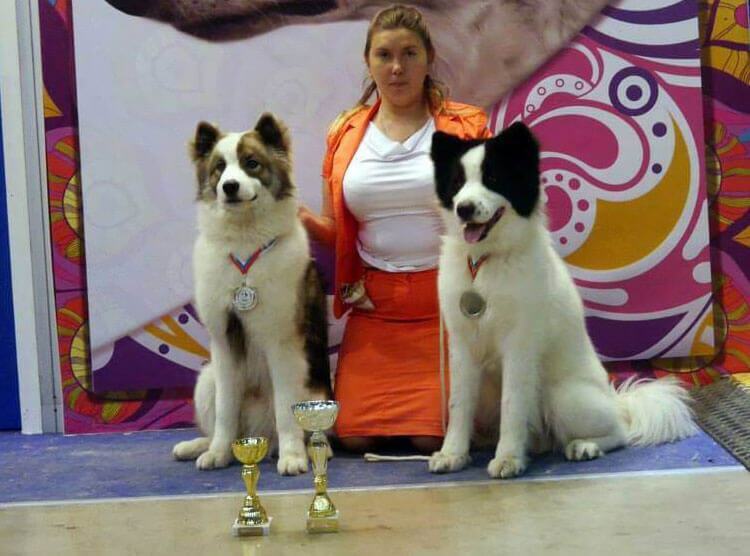 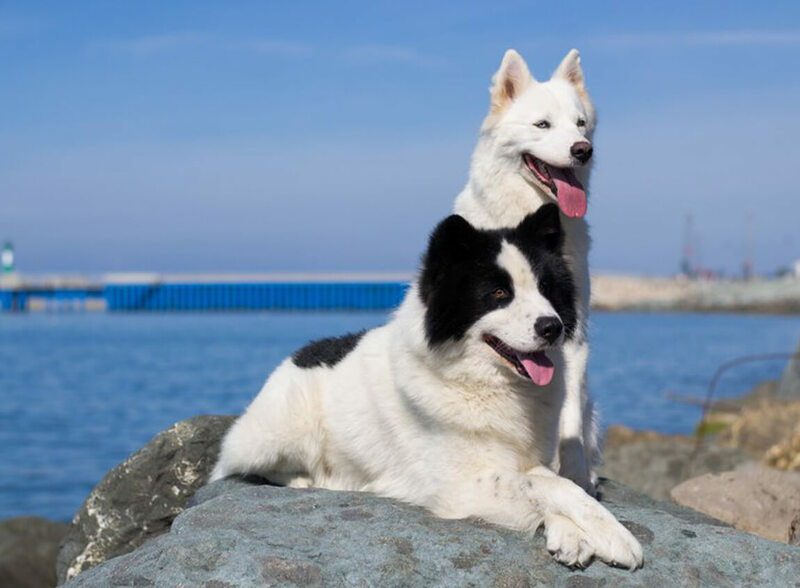 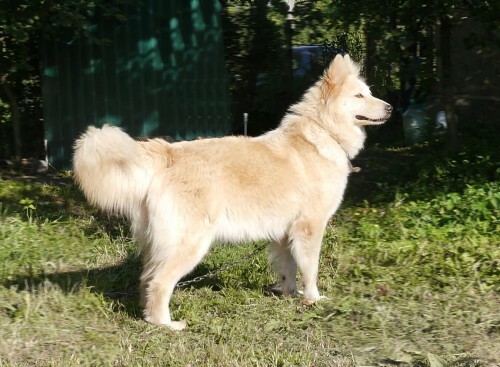 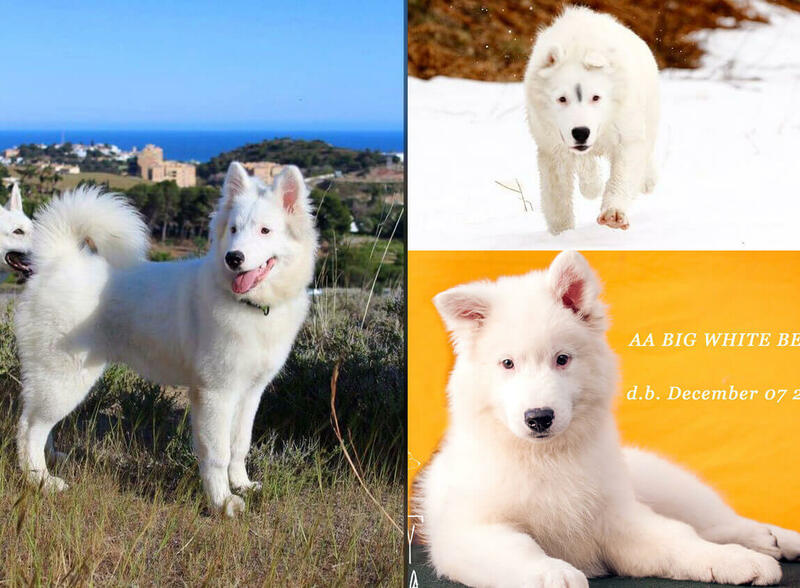 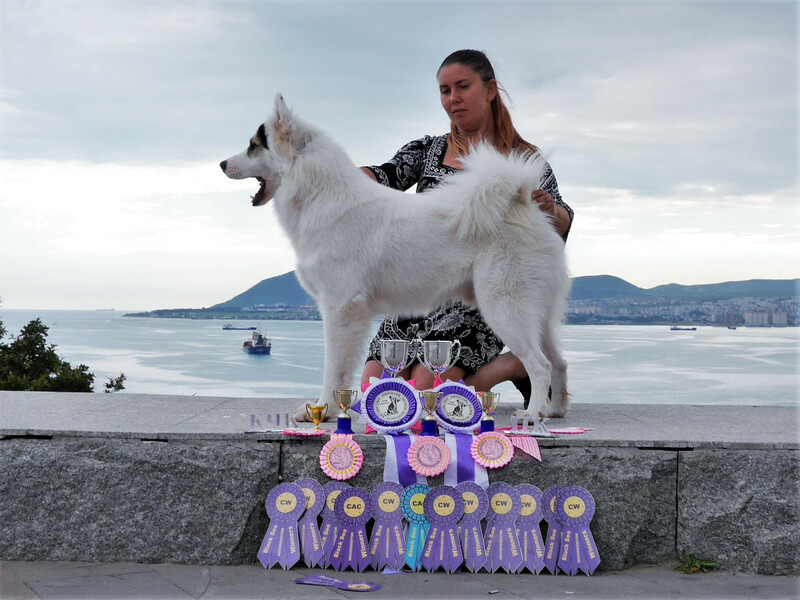 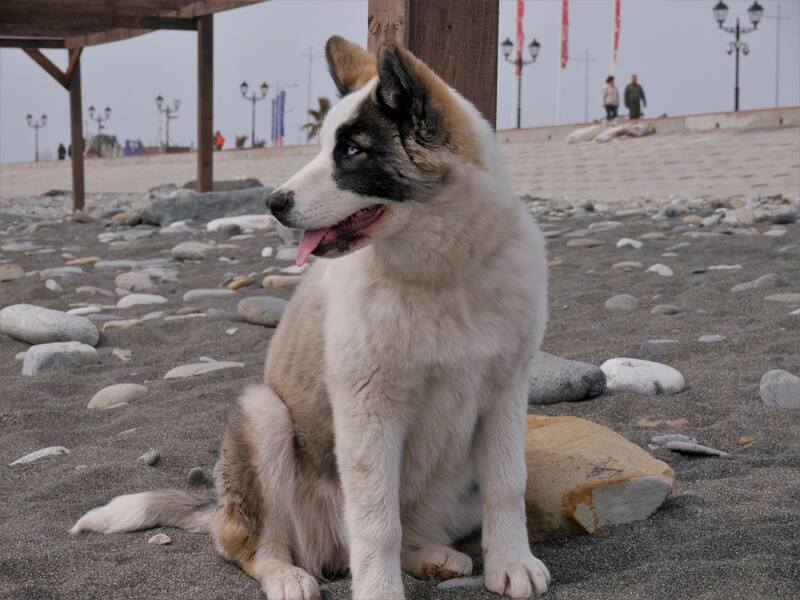 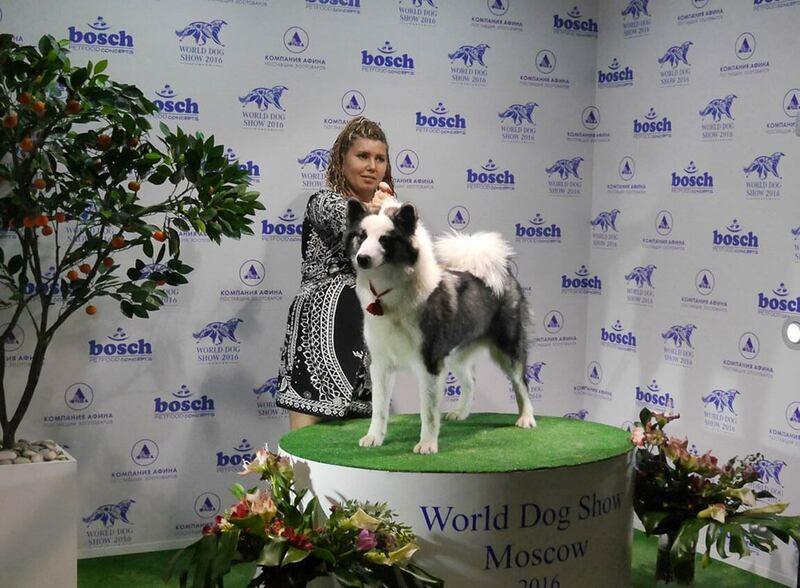 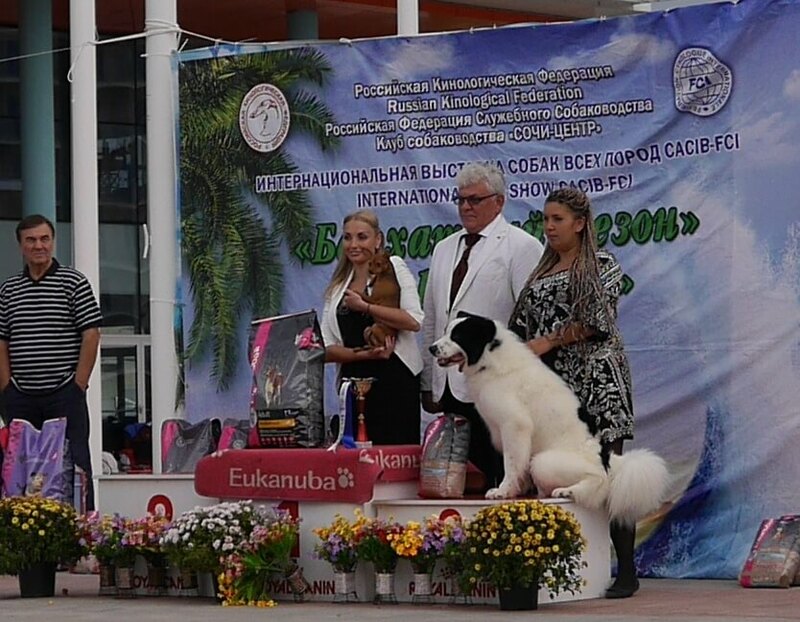 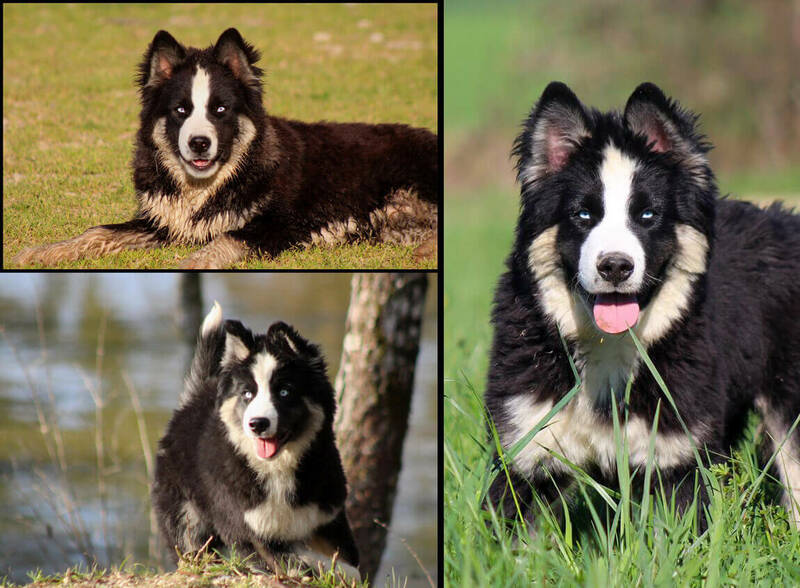 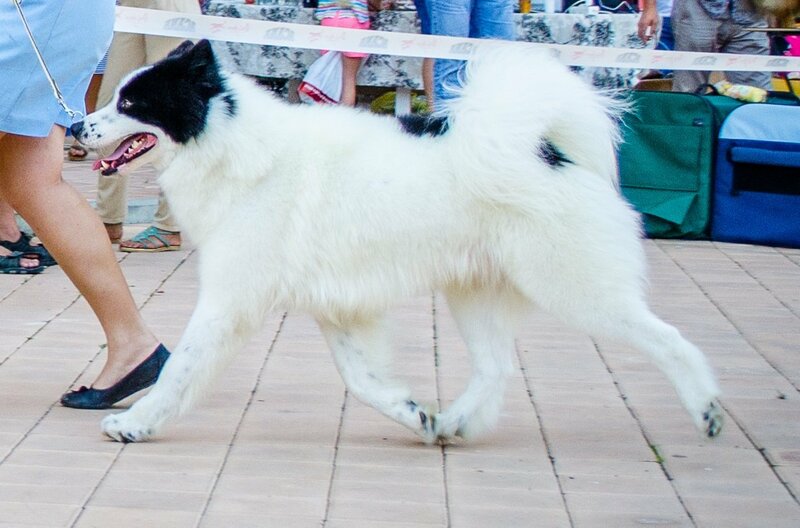 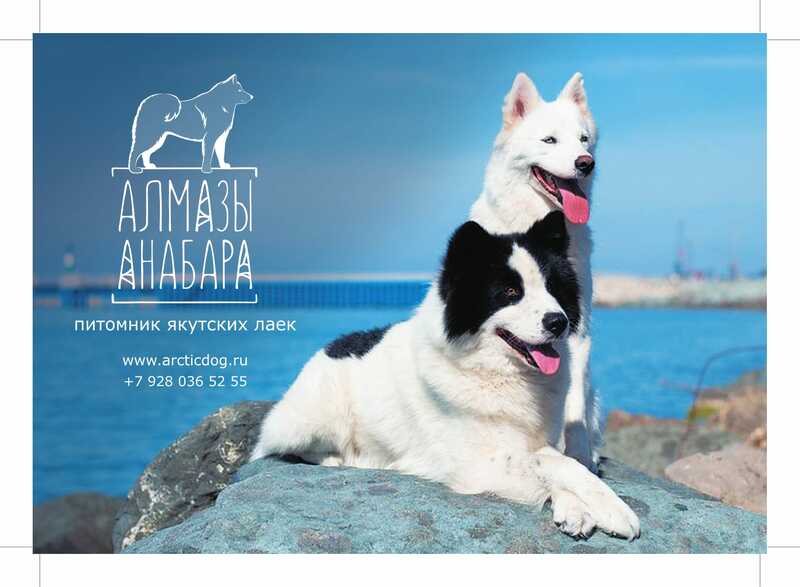 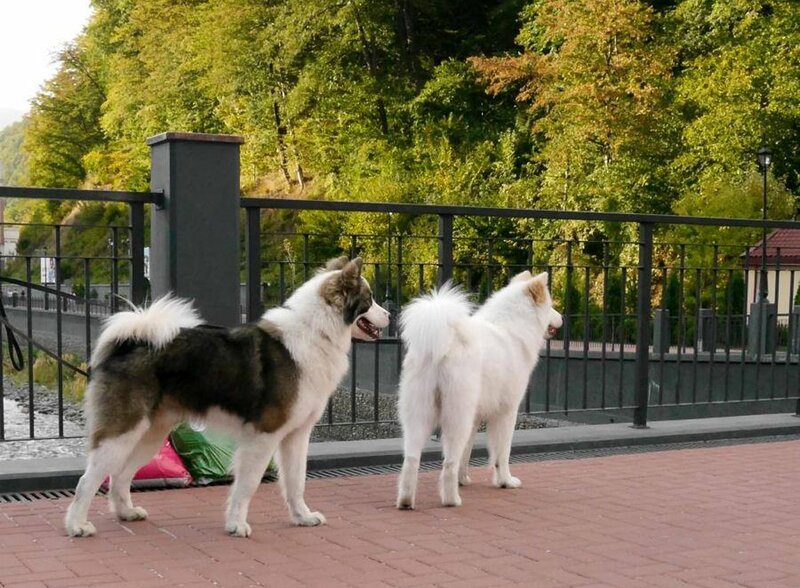 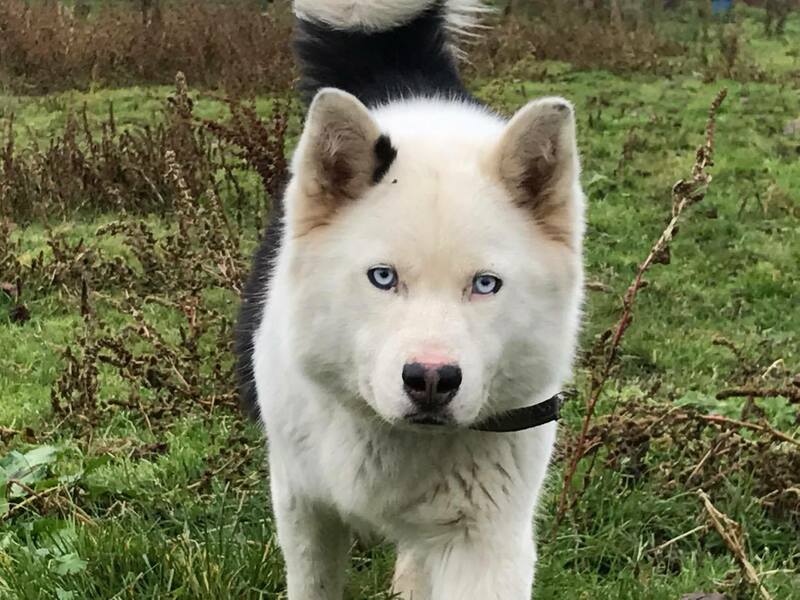 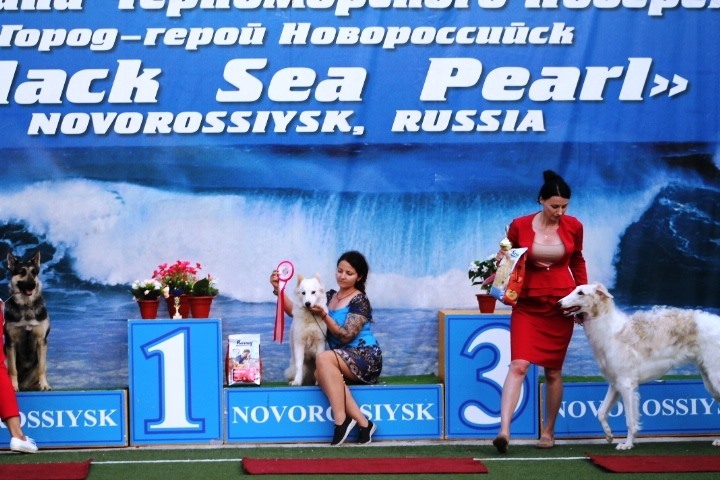 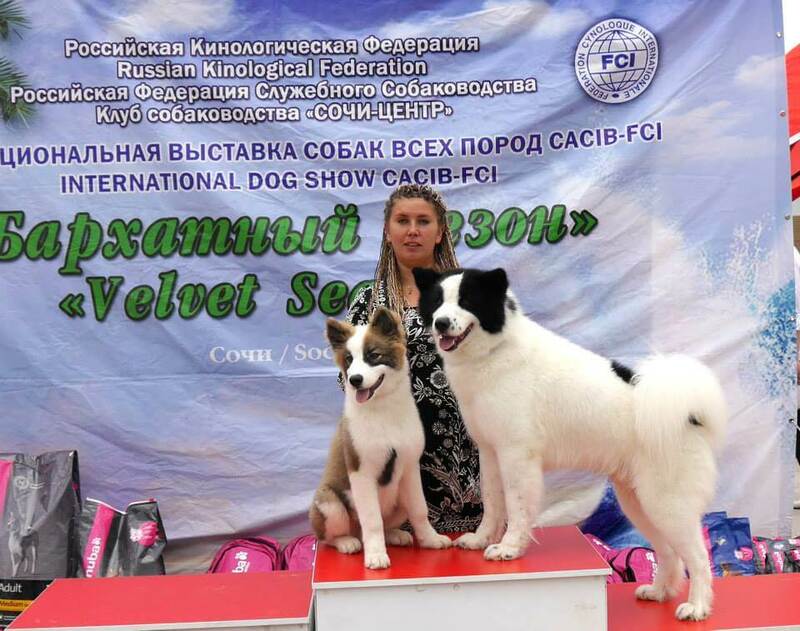 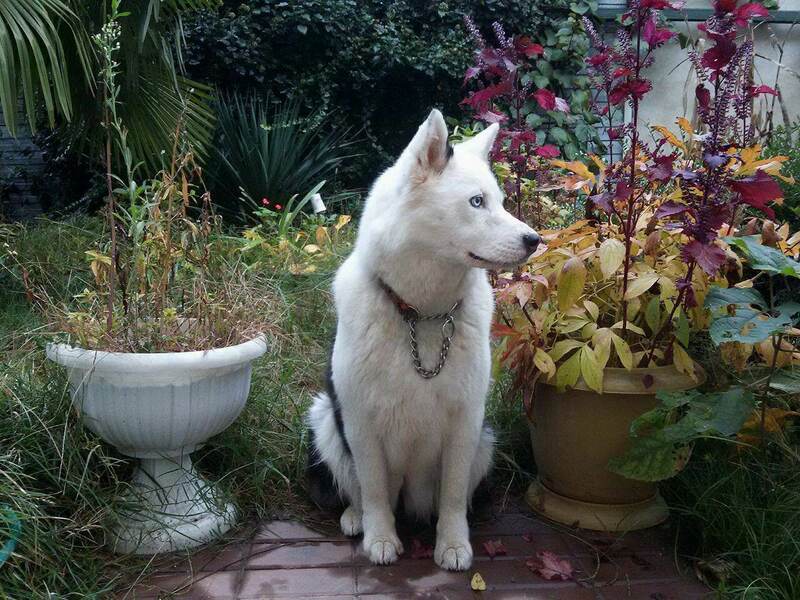 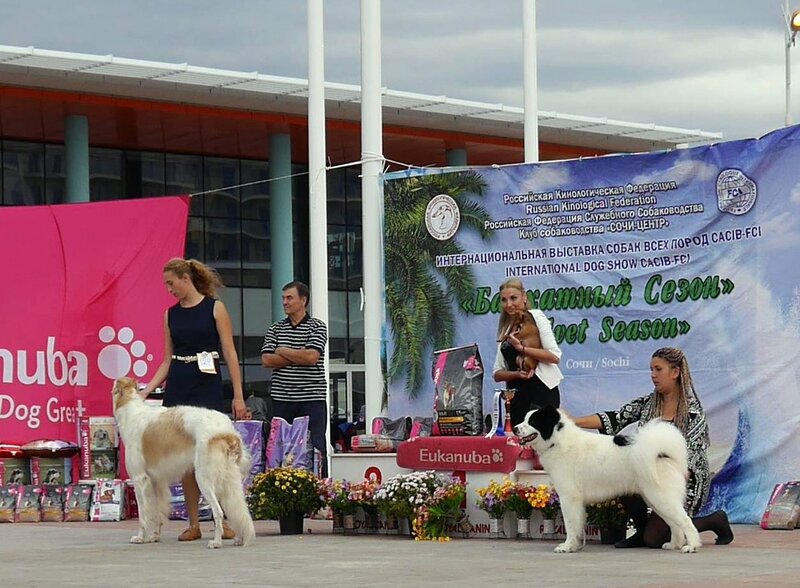 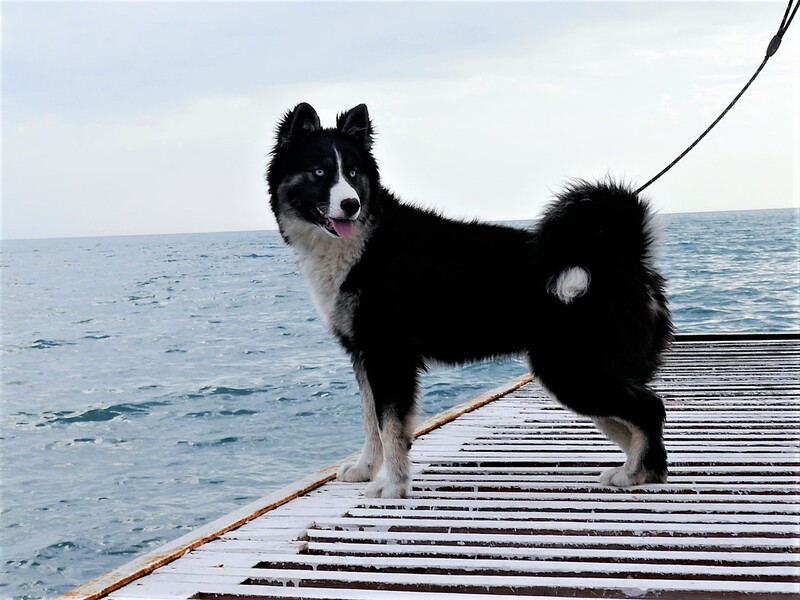 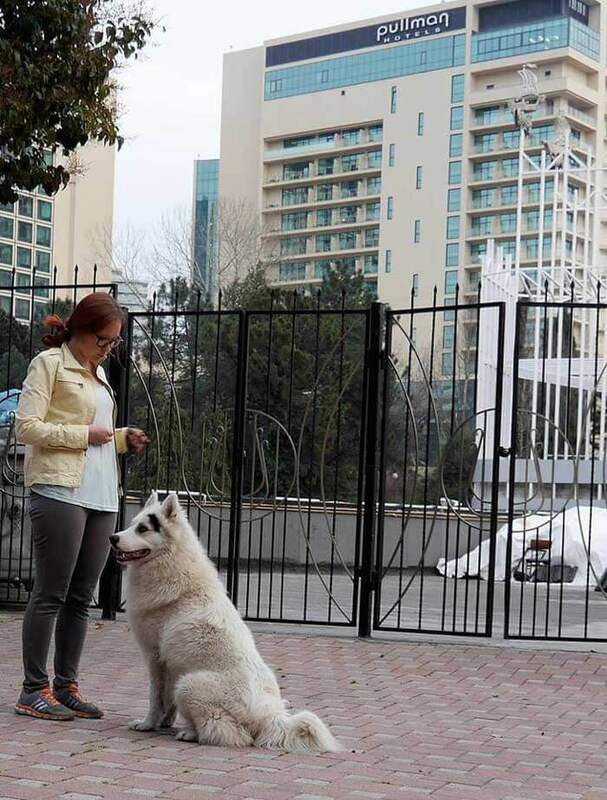 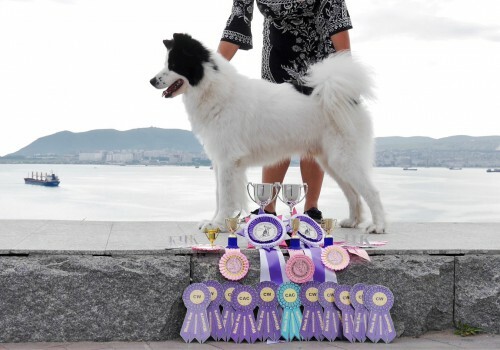 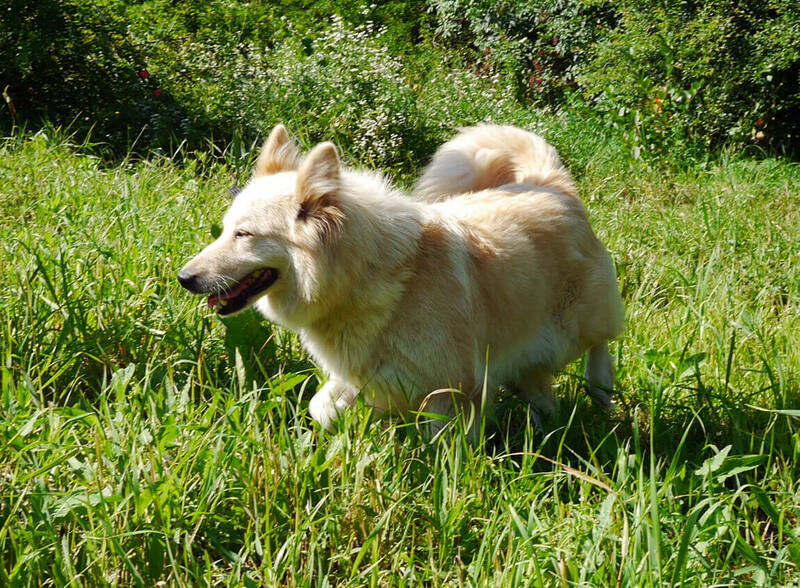 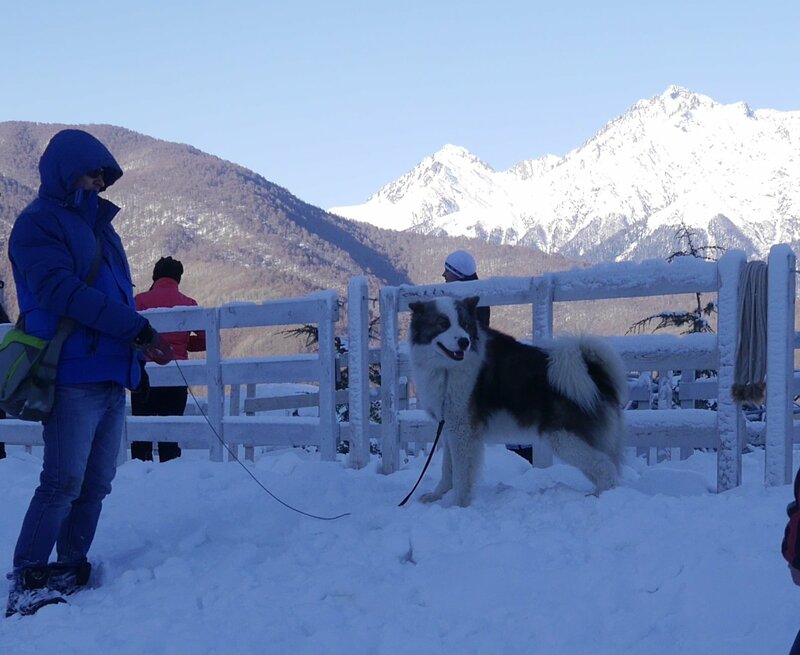 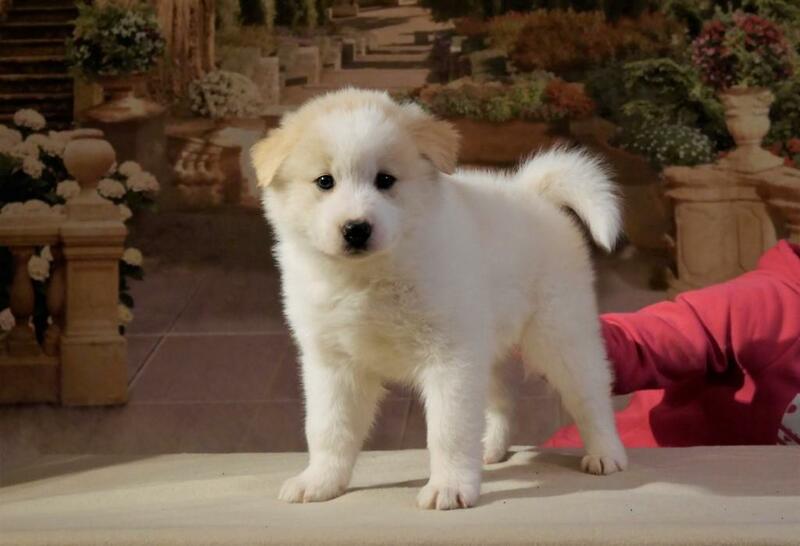 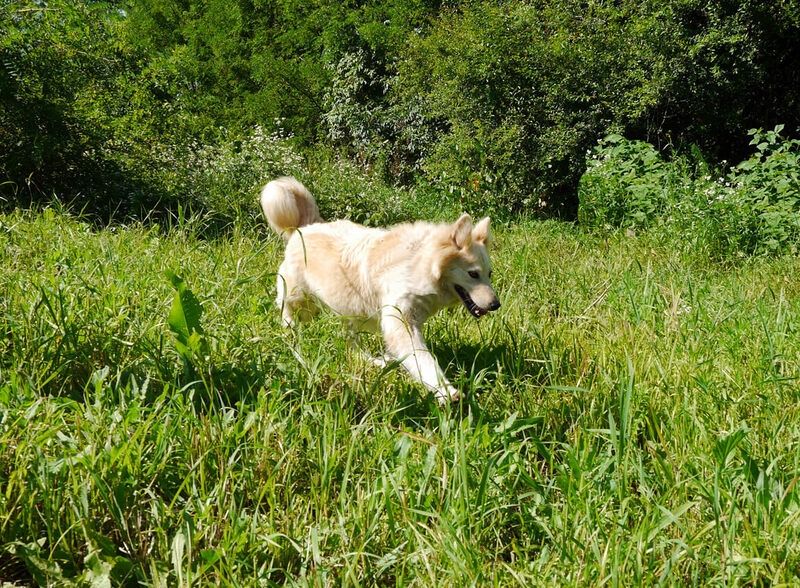 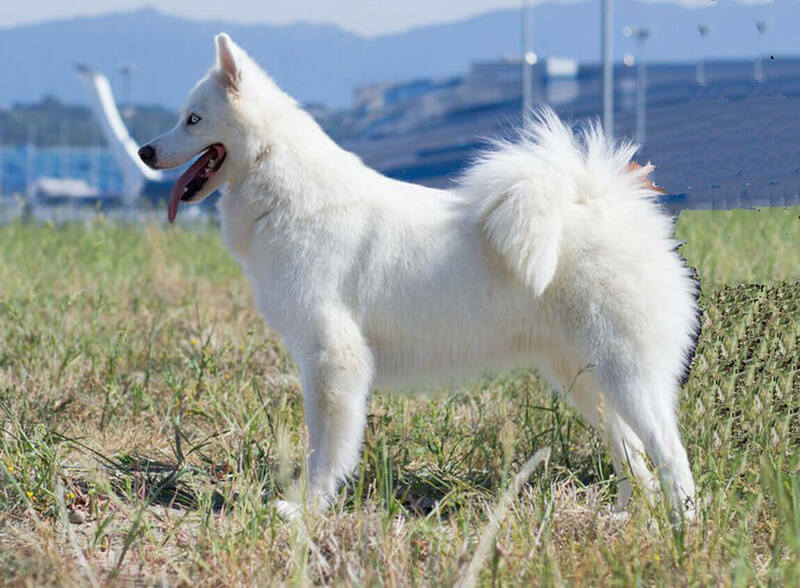 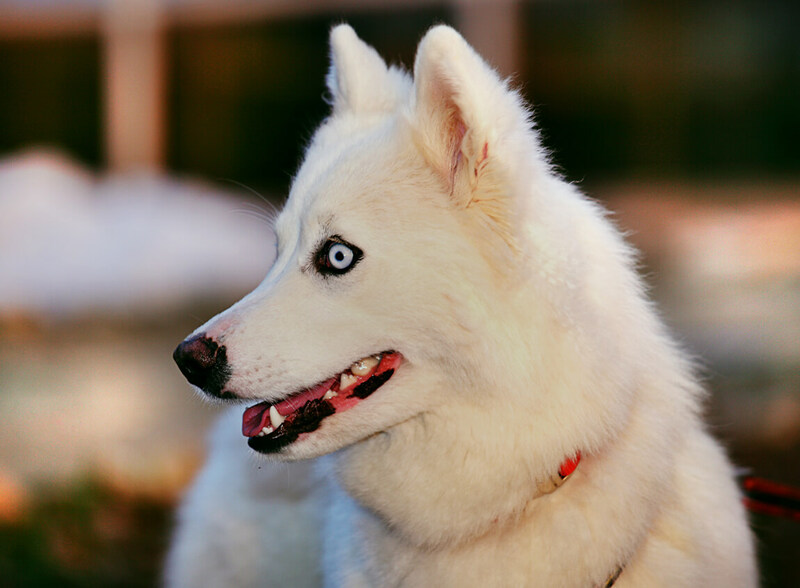 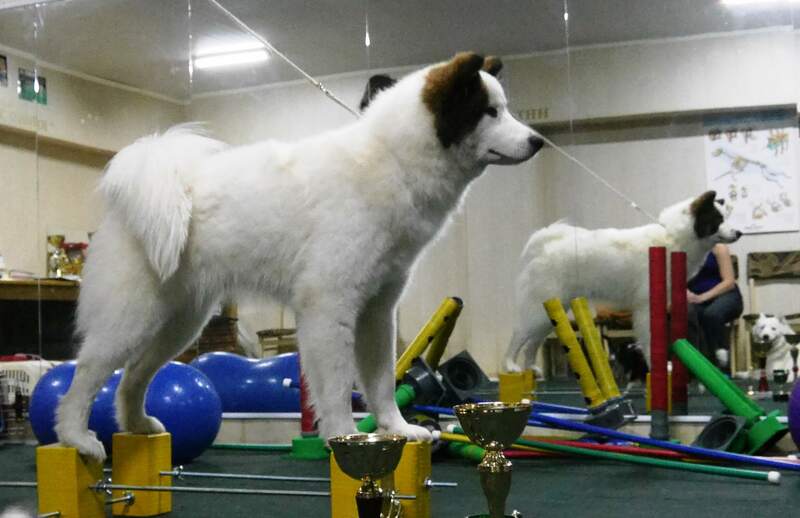 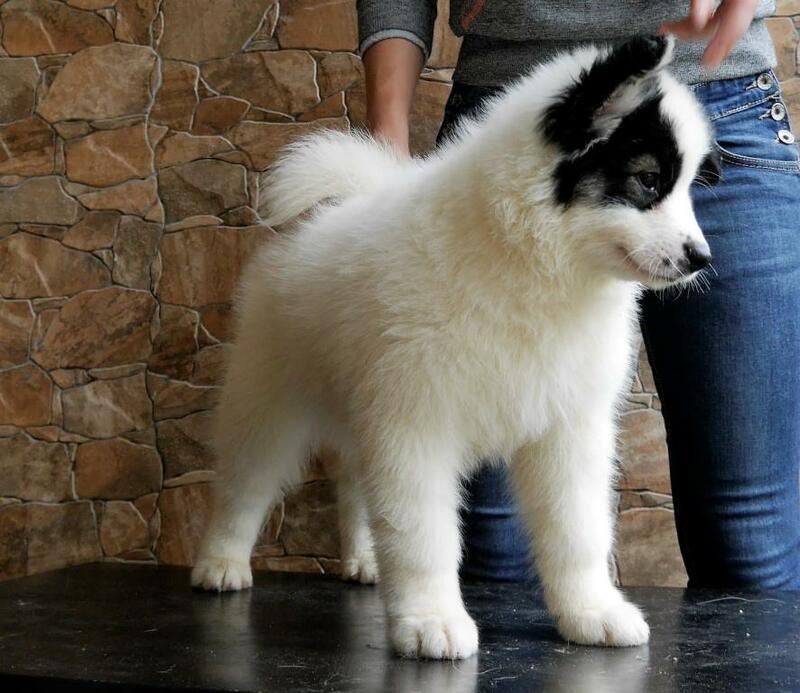 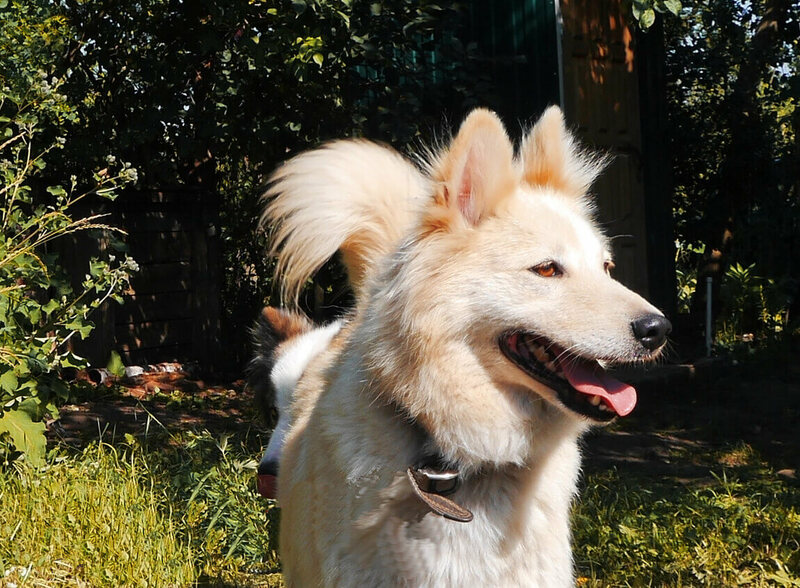 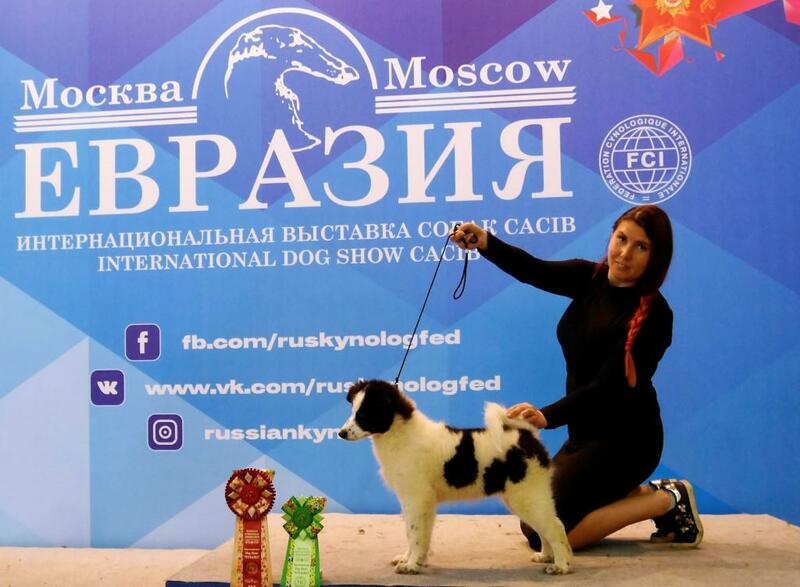 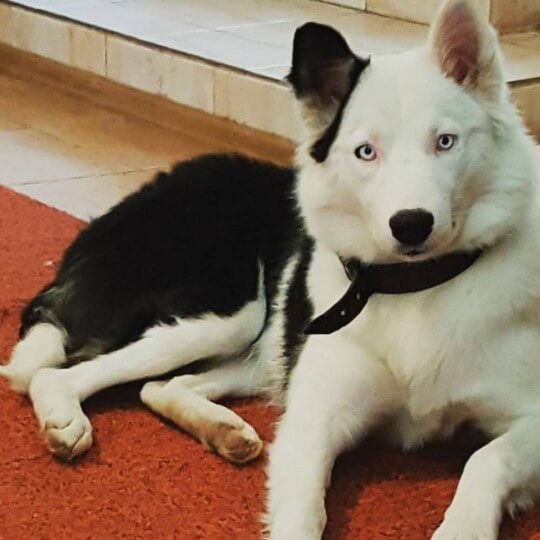 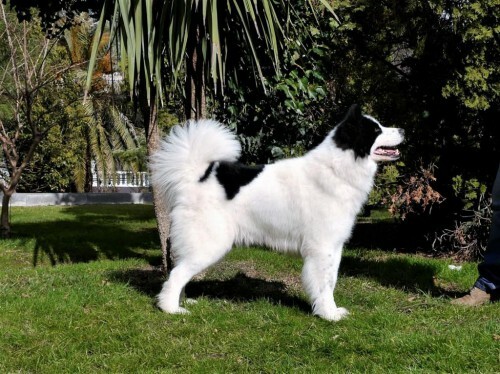 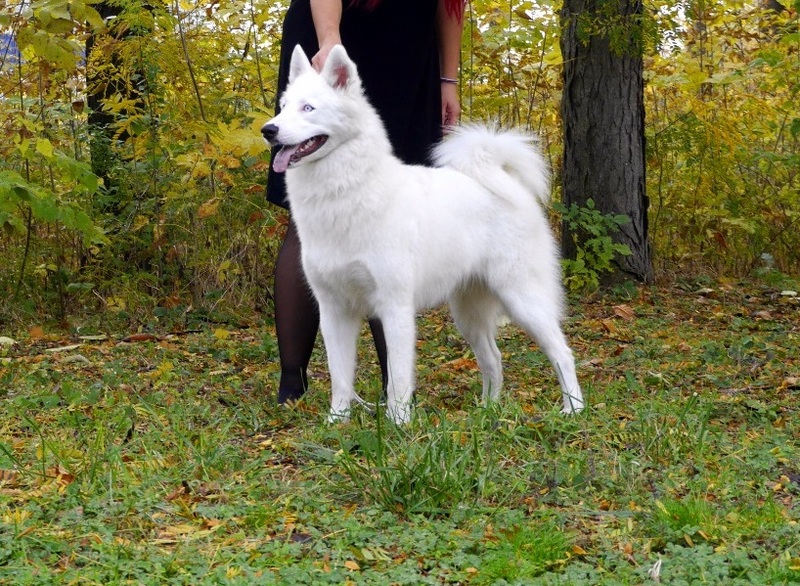 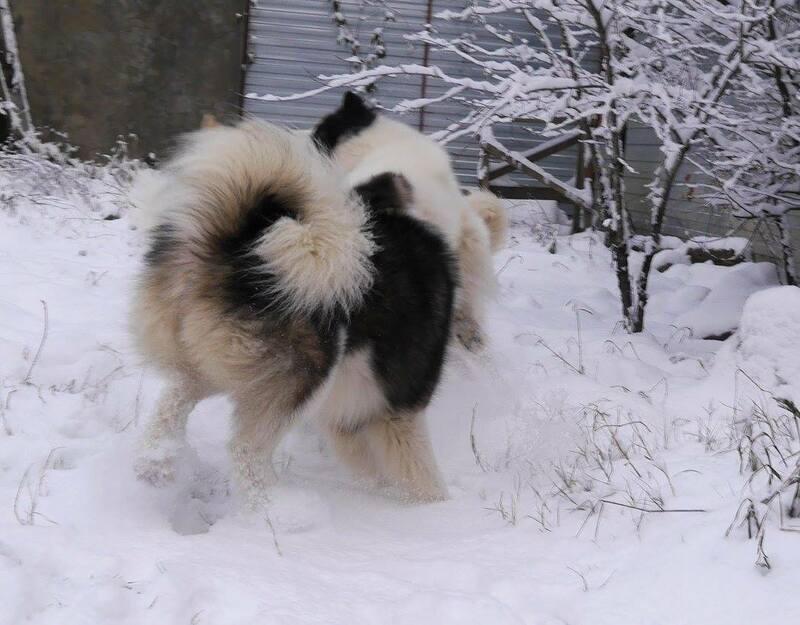 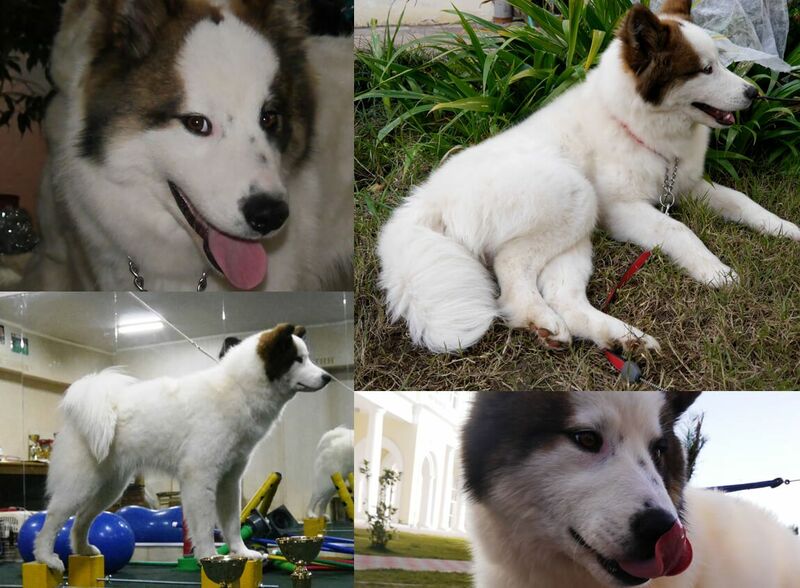 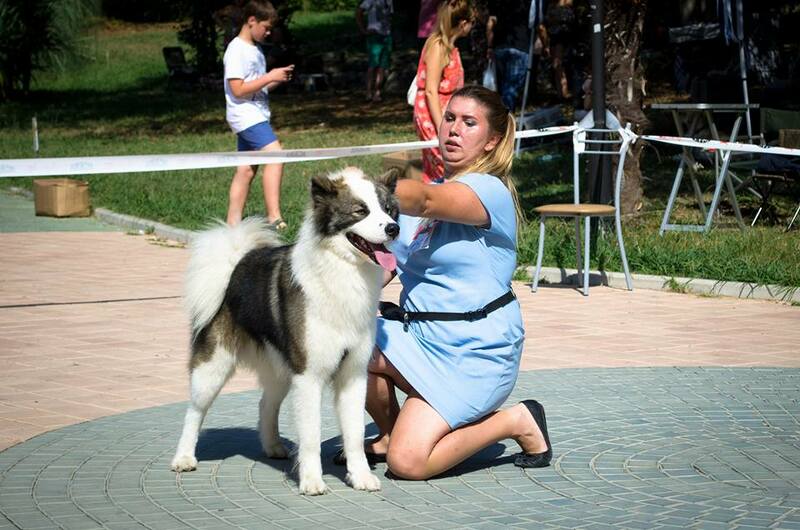 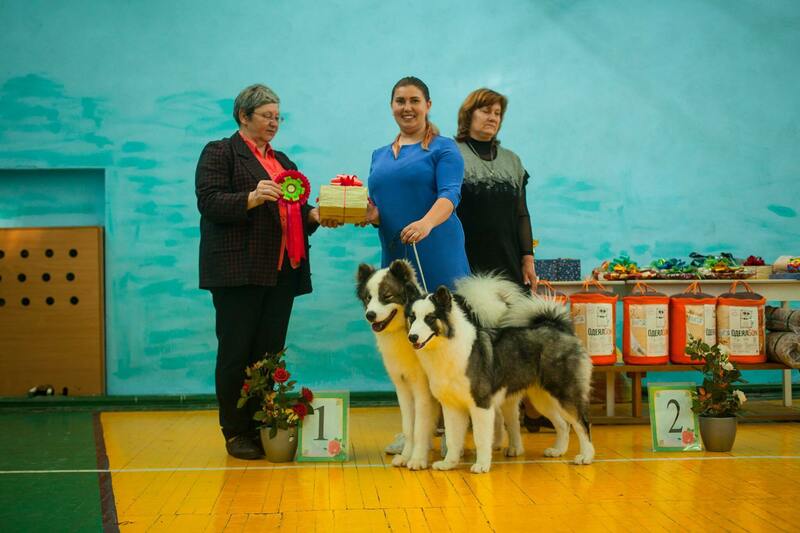 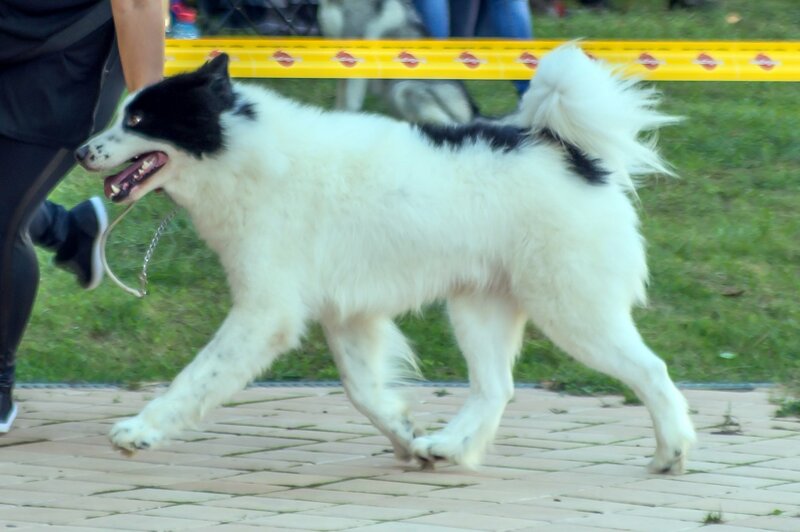 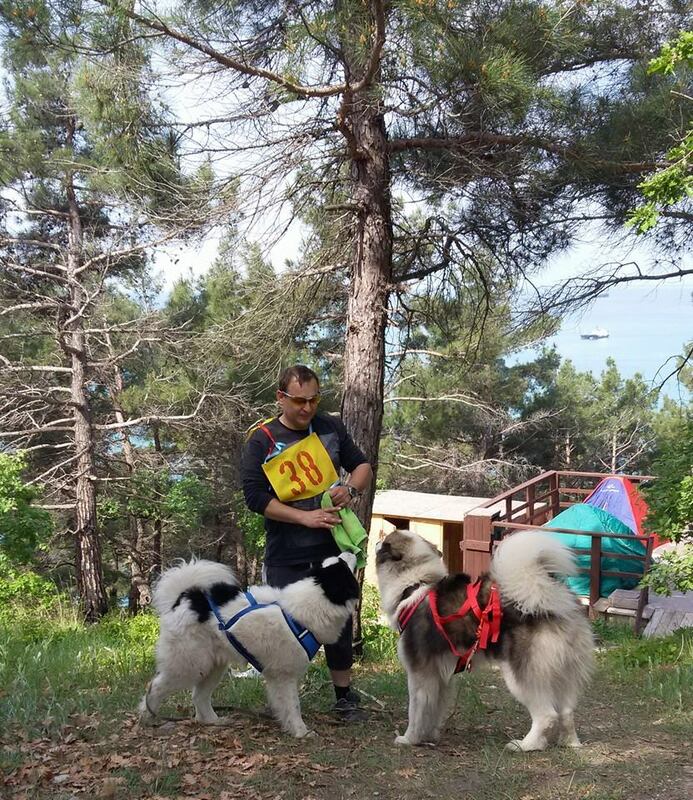 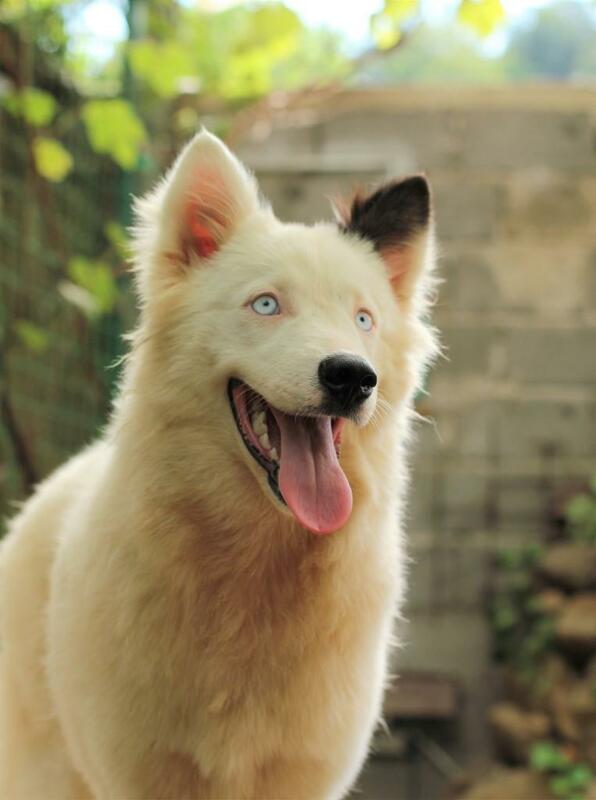 The reason of arising of our kennel is an only love for Yakutian Laika and the desire to acquaint as more as possible people with this wonderful breed. 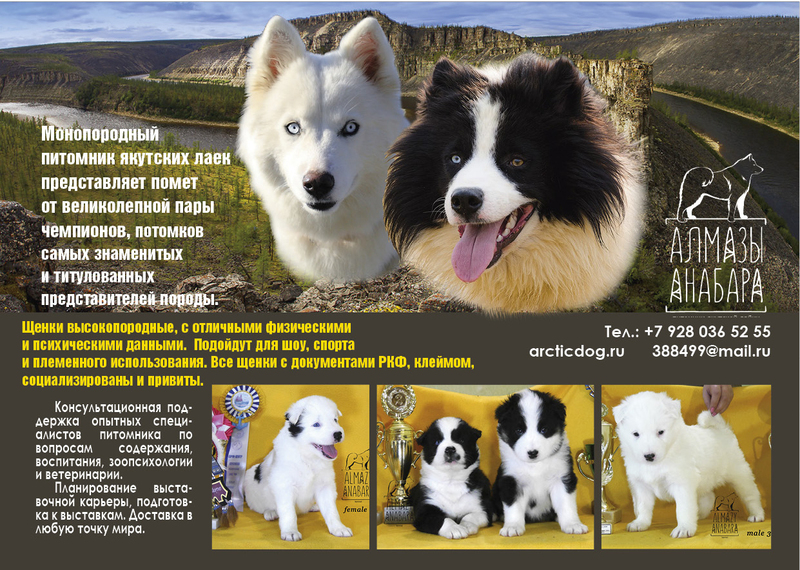 For our work we select only the best dogs from the most outstanding ancestors. 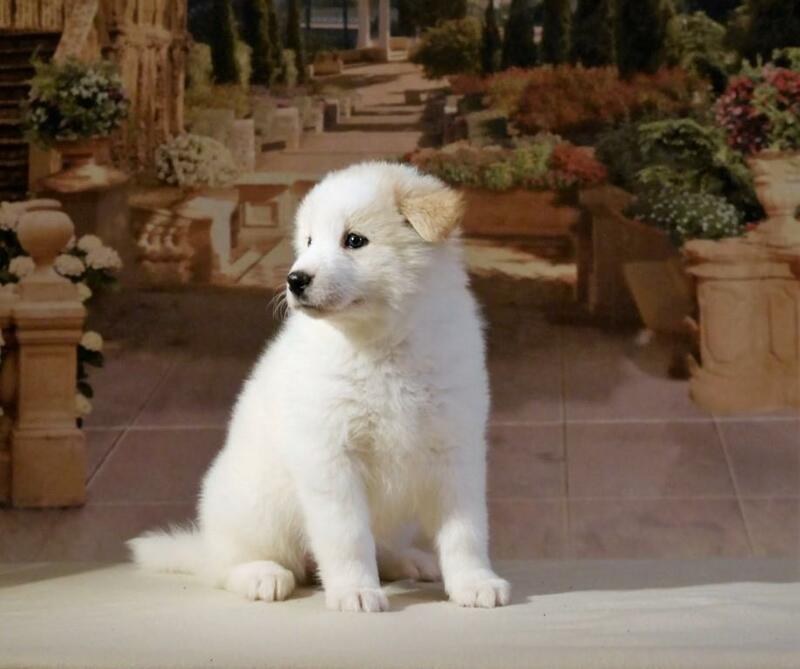 We do not aspire to a lot of puppies, quality is the priority)). 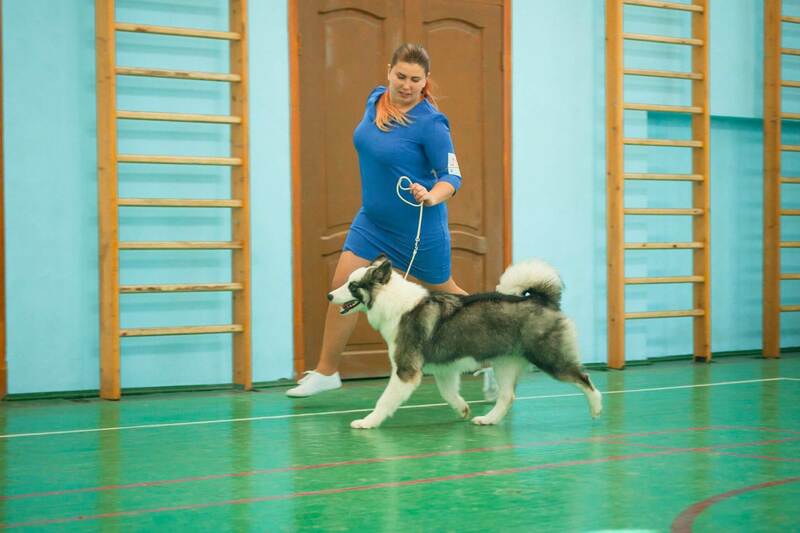 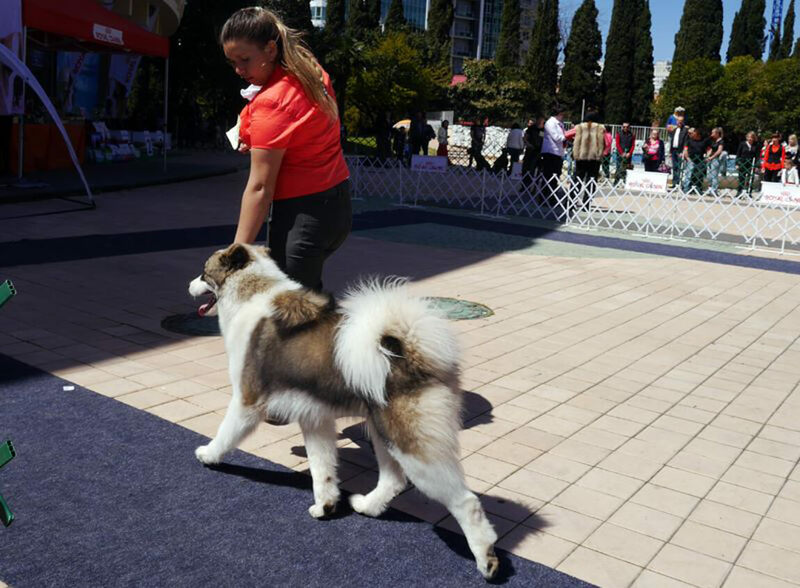 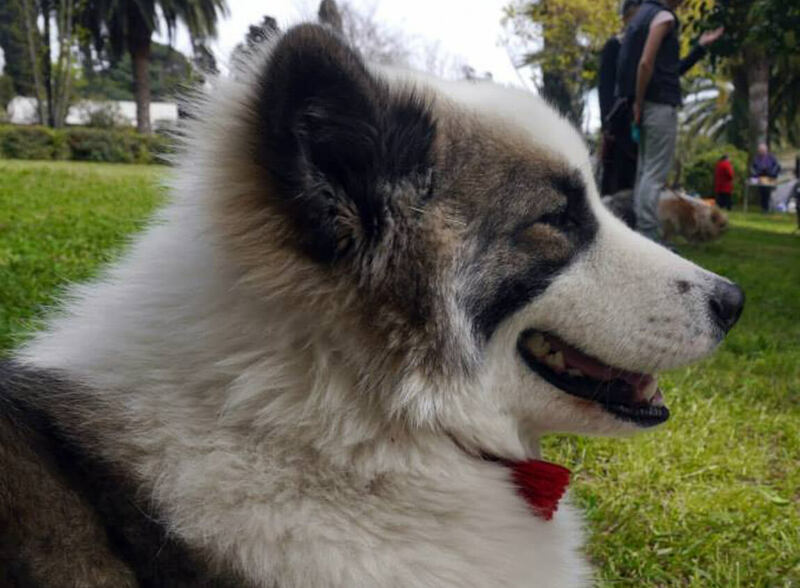 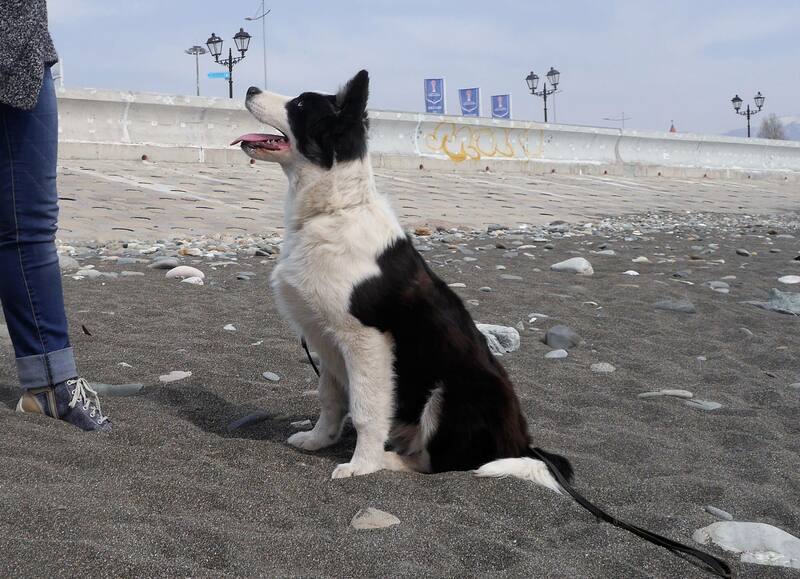 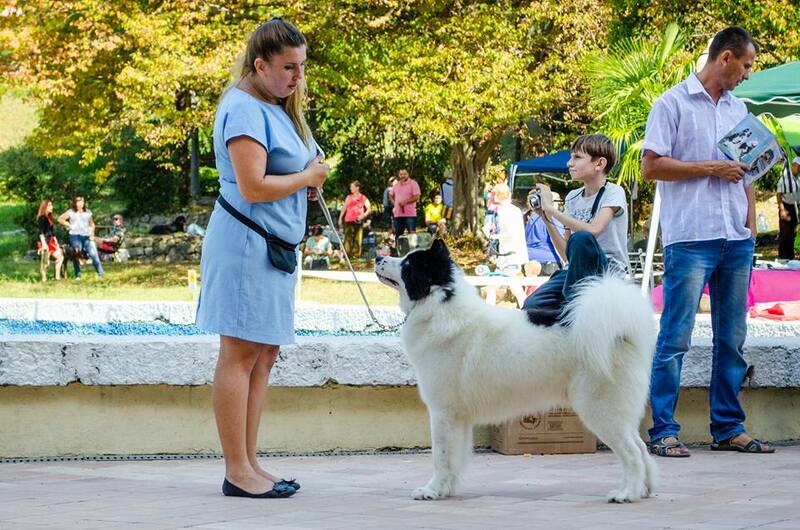 The main thing for us is obtain harmonious, physically and mentally healthy dogs, which are maximally close to the breed standard, able to work well and give their owners a lot of positive emotions. 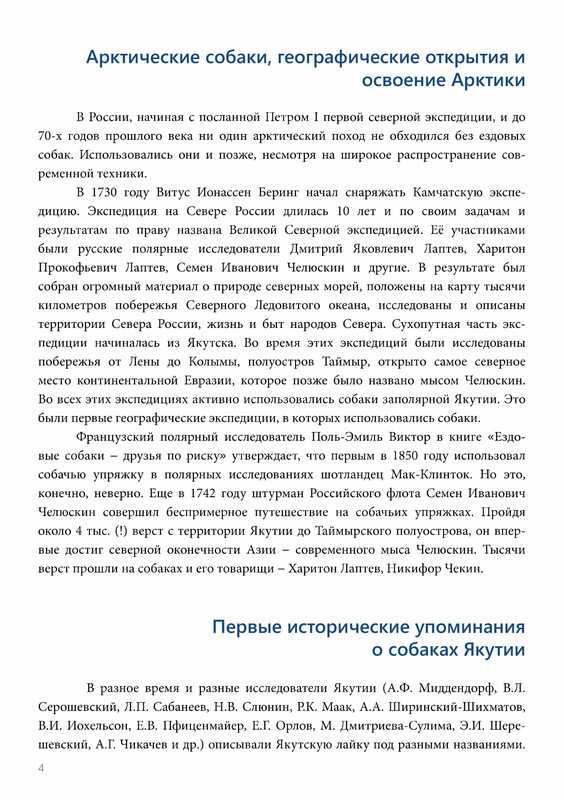 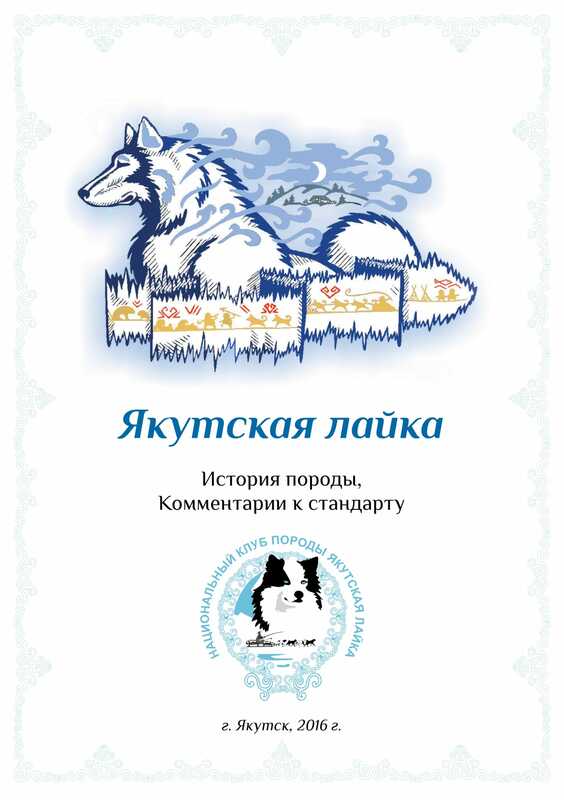 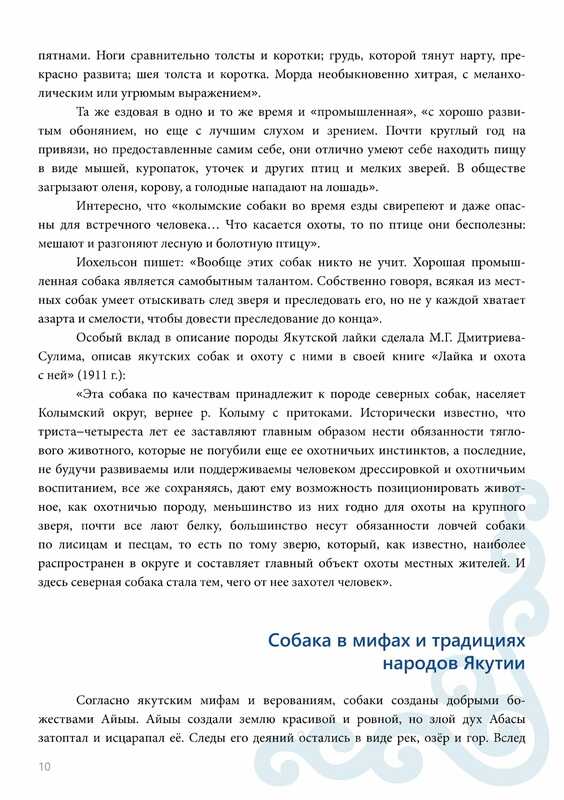 Yakutian Laikas are not just a dog for us, it are our family. 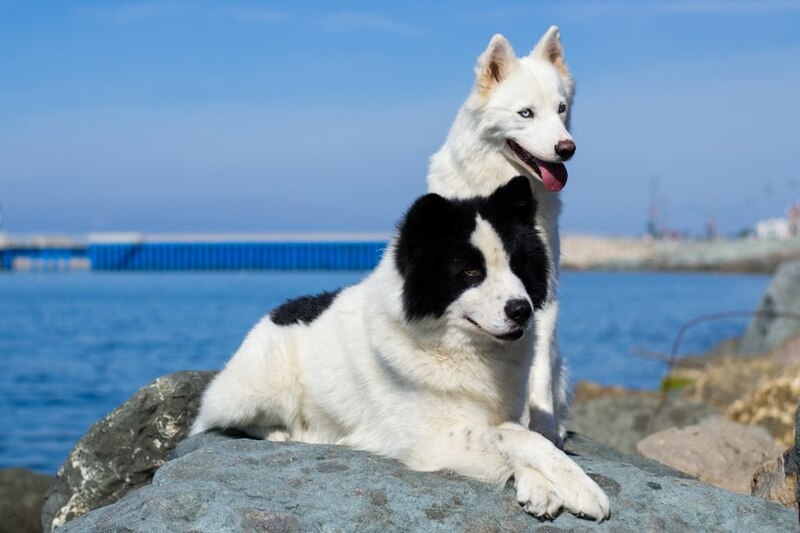 They live in love and care. 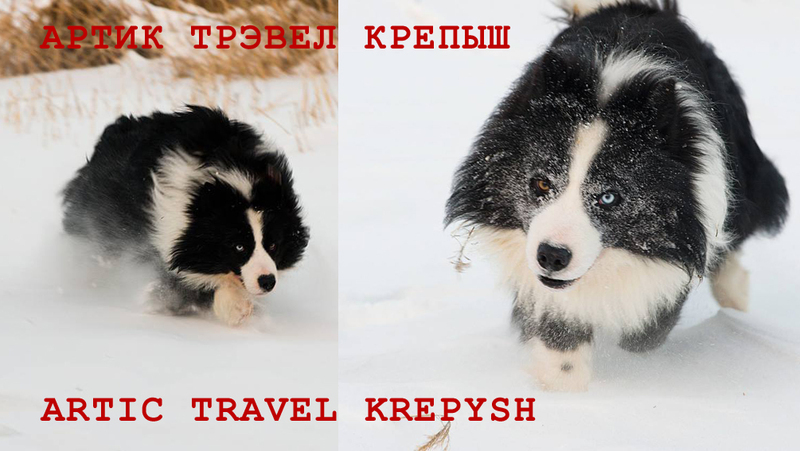 They eat well, a lot walk in the woods and in the city and often travel with us. 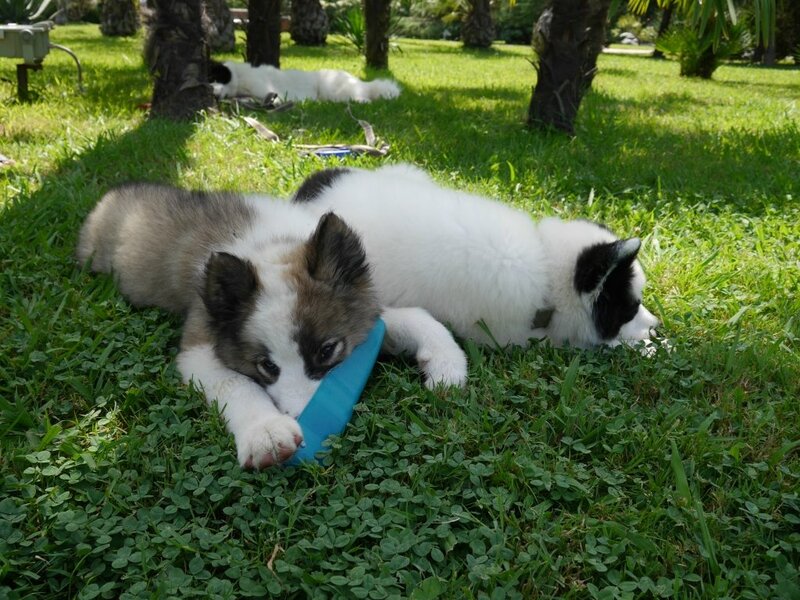 All puppies pass an early socialization under the supervision of our zoopsychologists and an initial course of obedience by age. 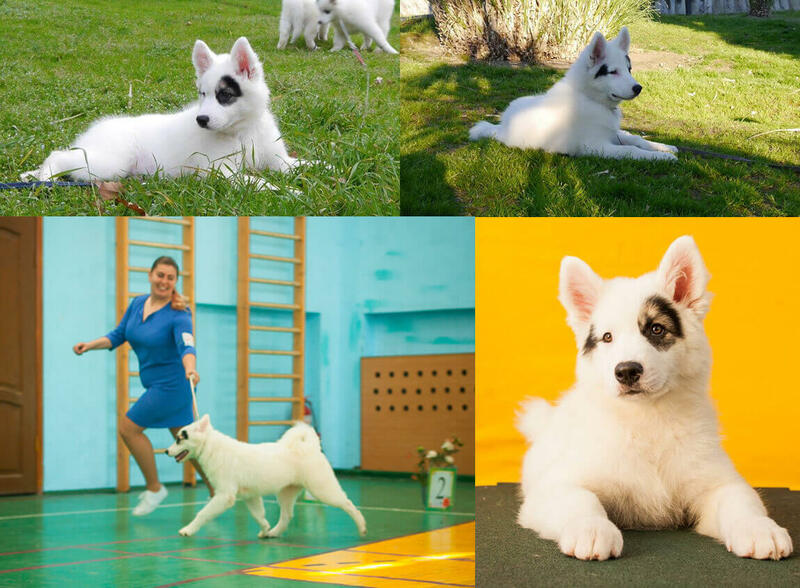 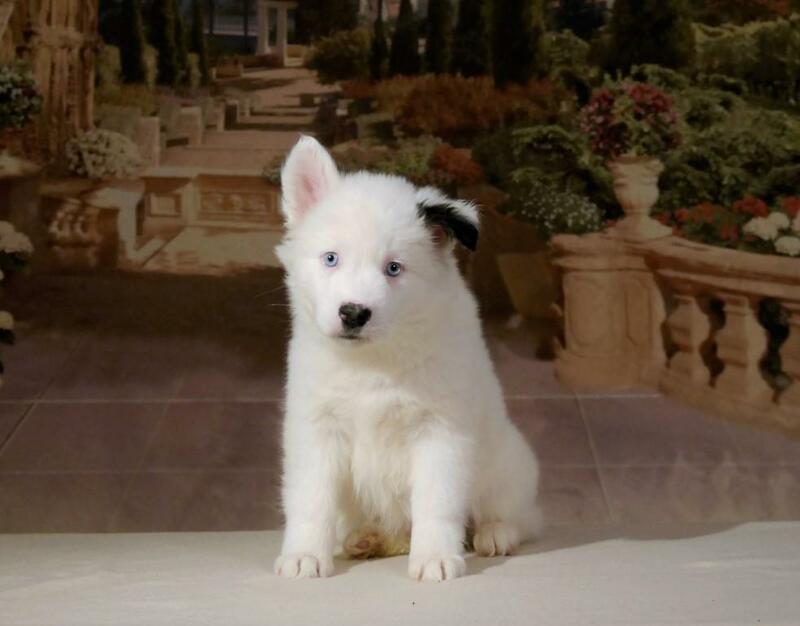 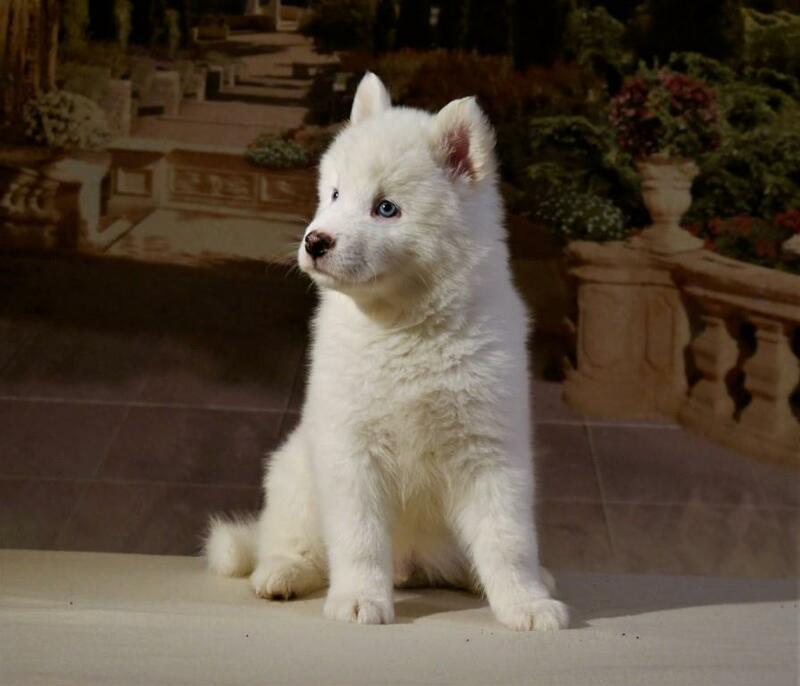 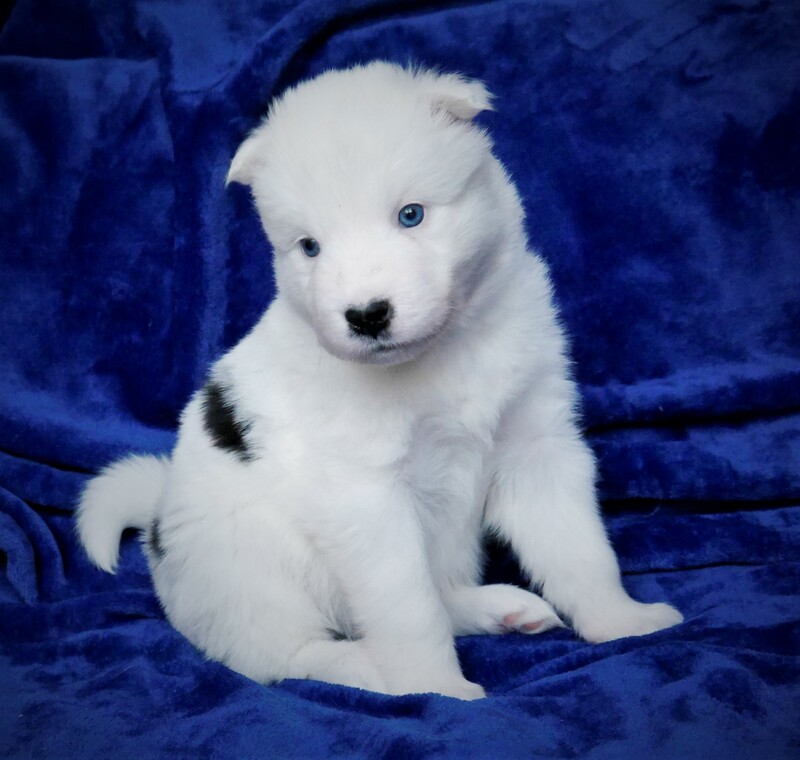 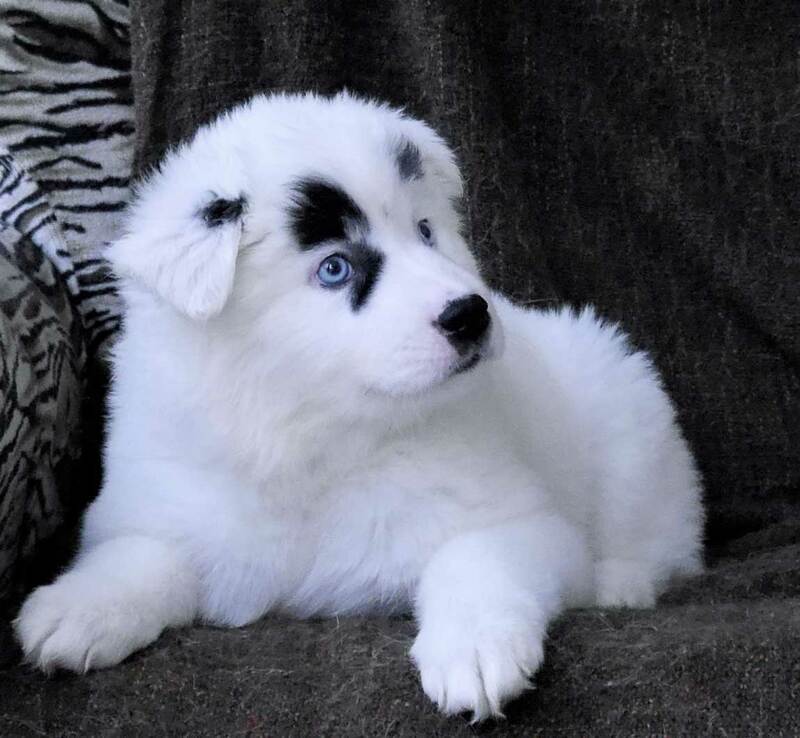 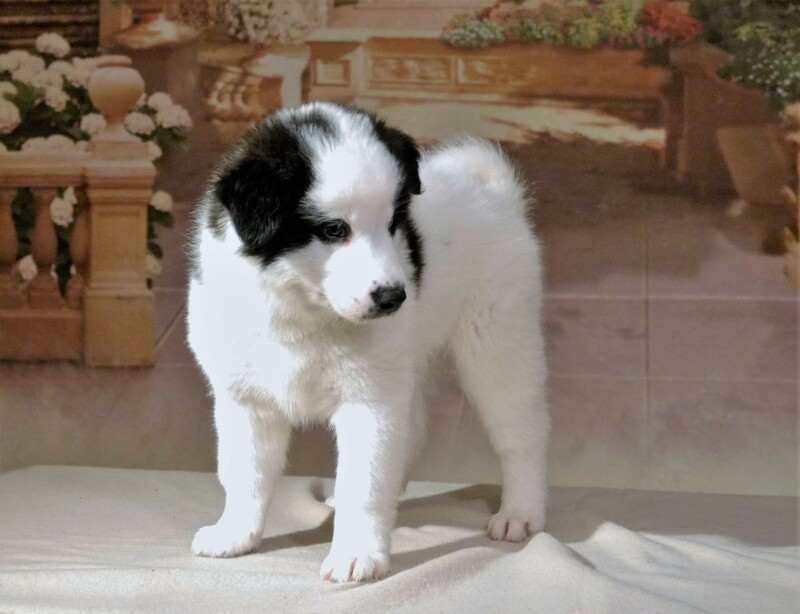 Therefore, we carefully approach to the choice of the future owners of our puppies, giving preference to those who are able to create conditions for a happy life. 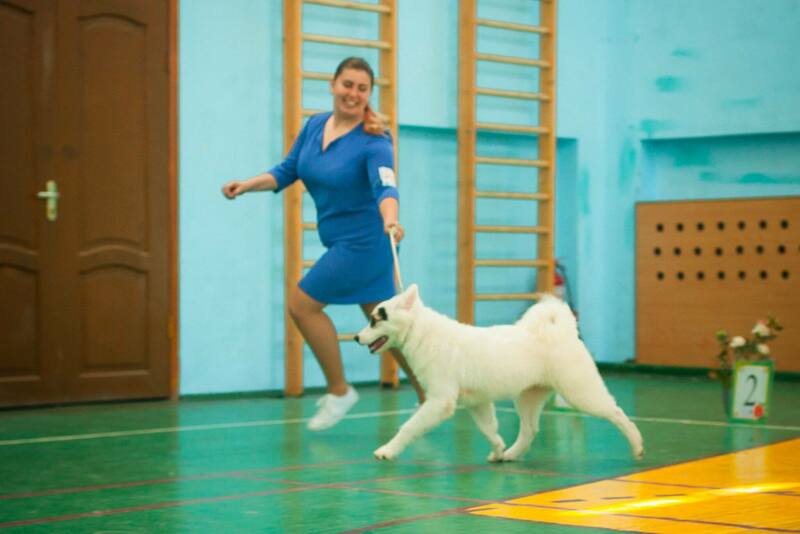 We are unobtrusively monitor the further life of dogs born in our kennel, and, if necessary, we support the owners giving advice on all aspects of a content, education, veterinary science, exhibition and sports career. 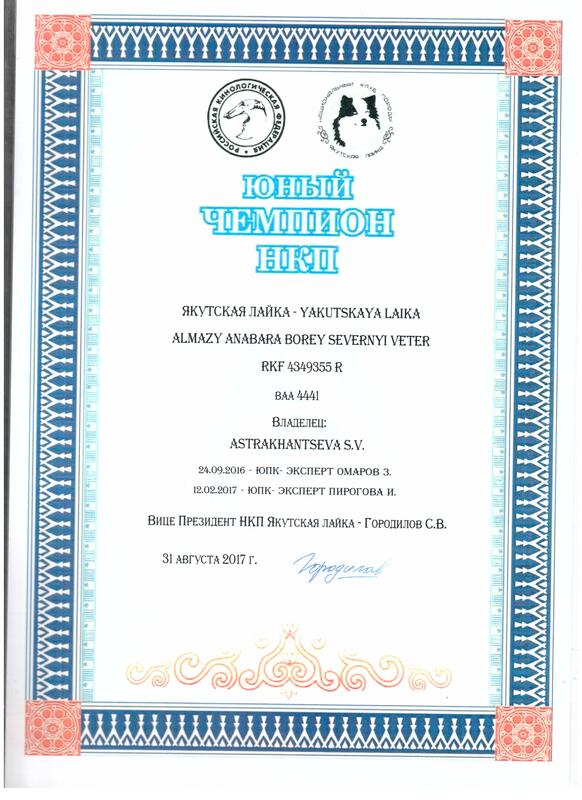 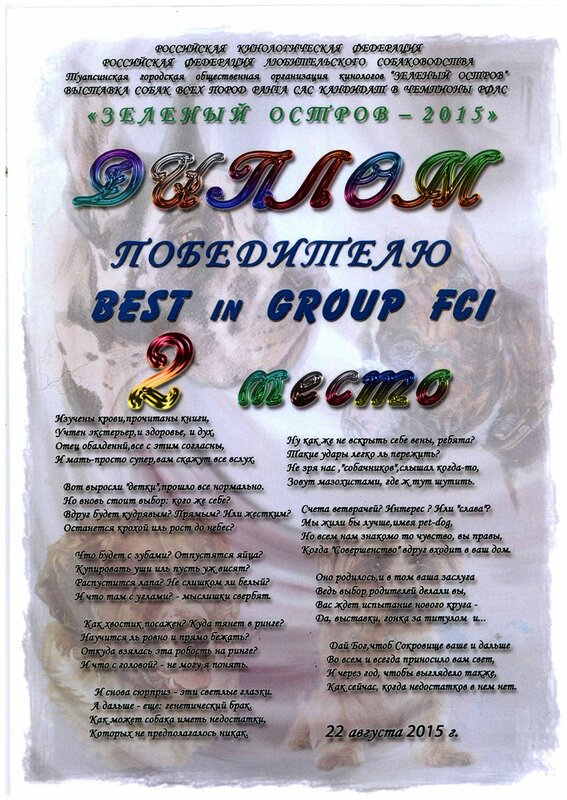 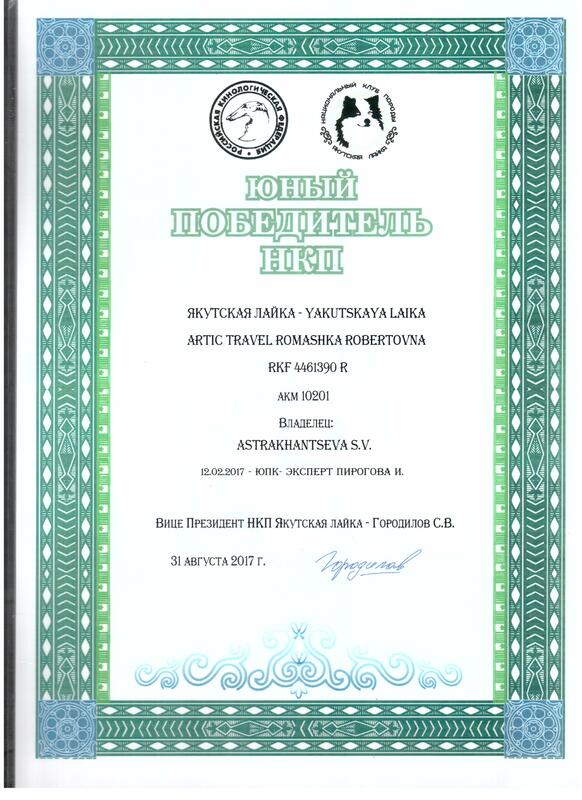 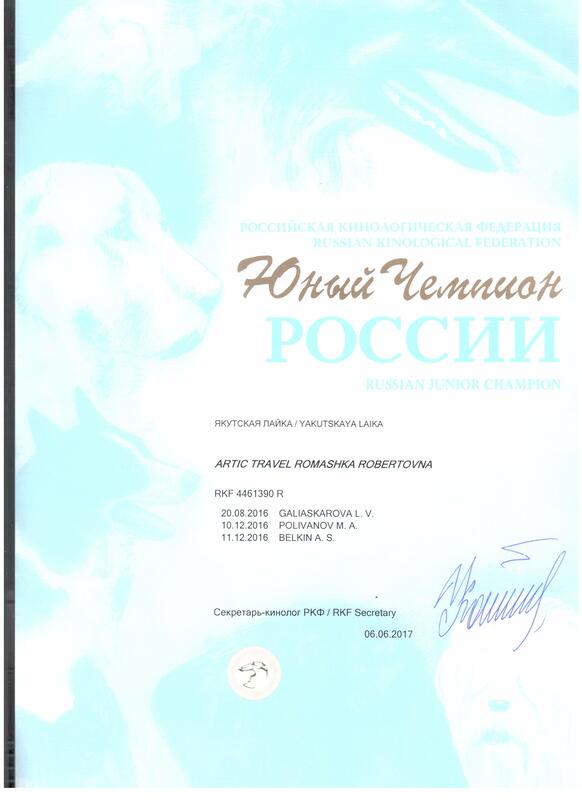 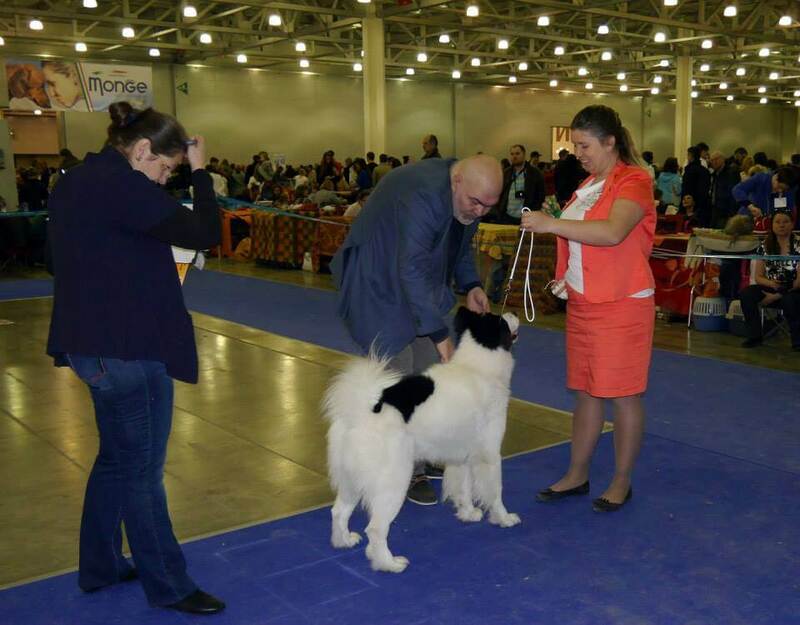 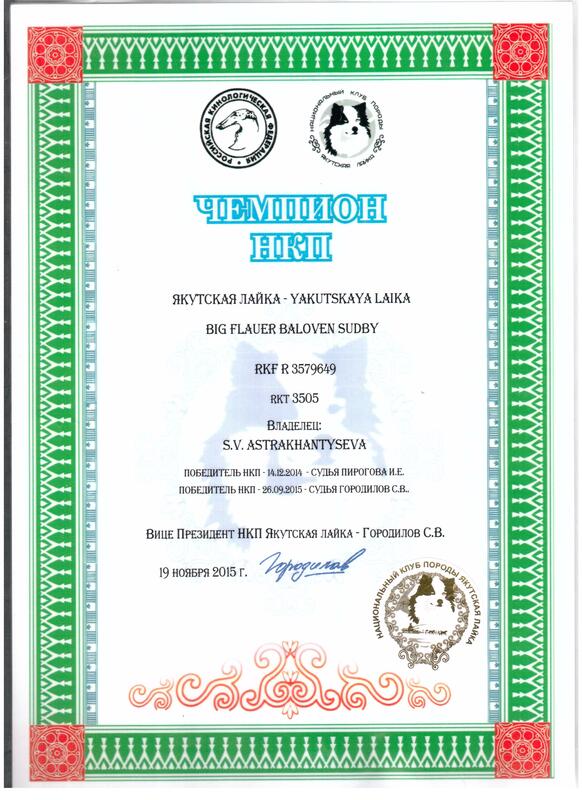 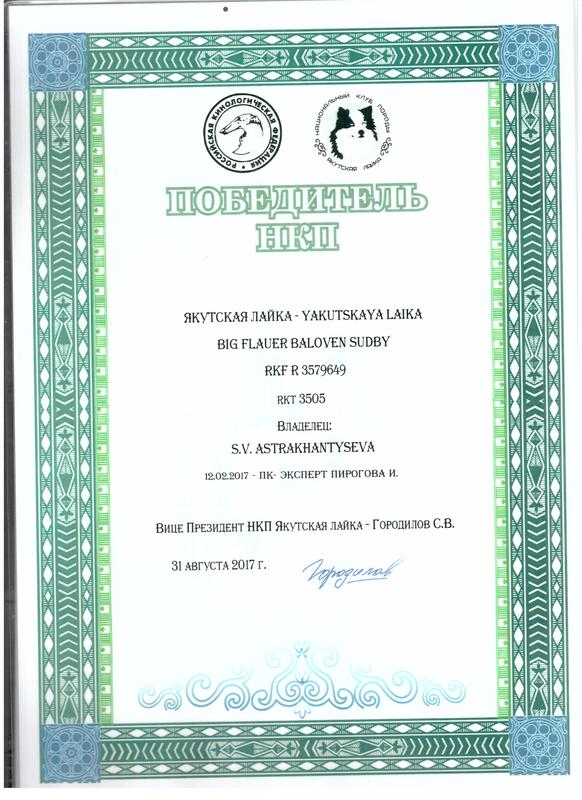 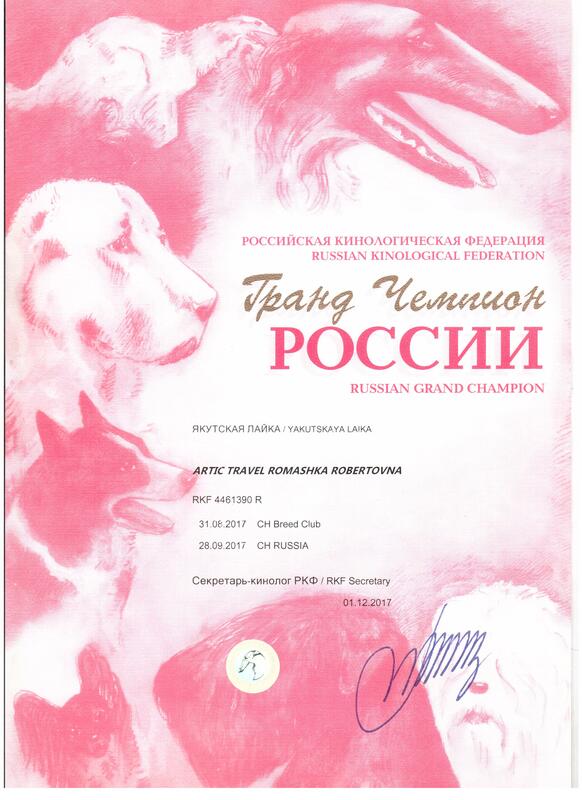 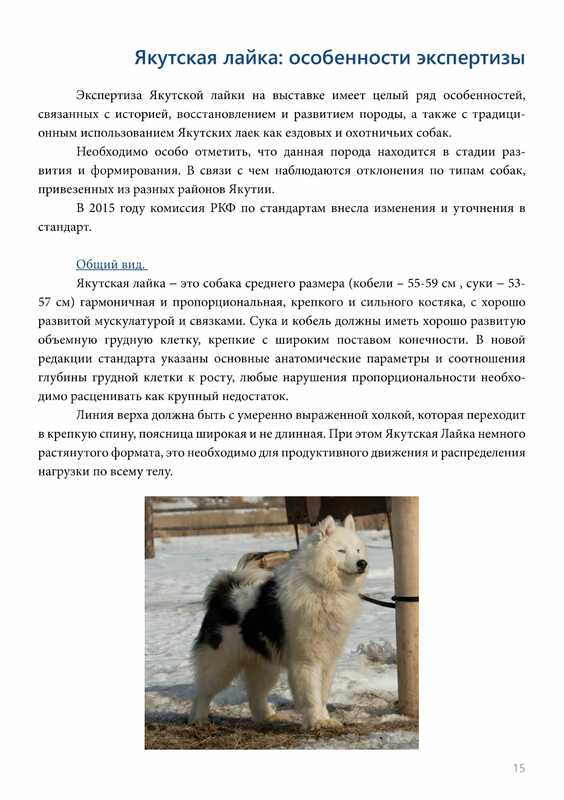 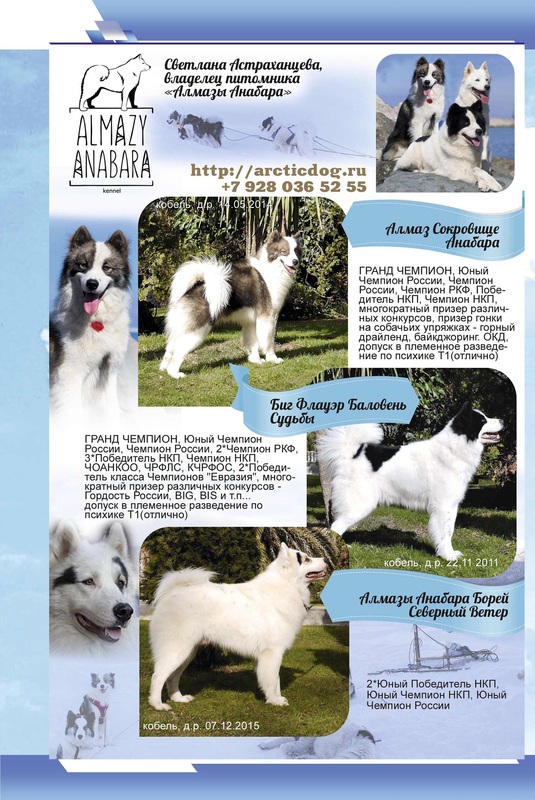 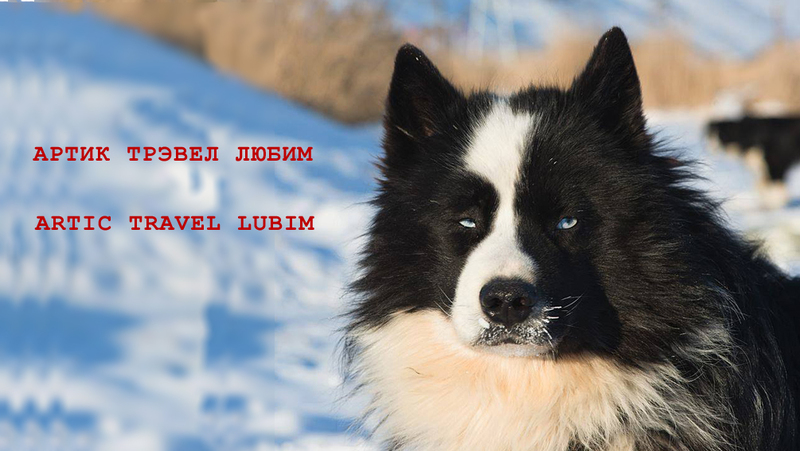 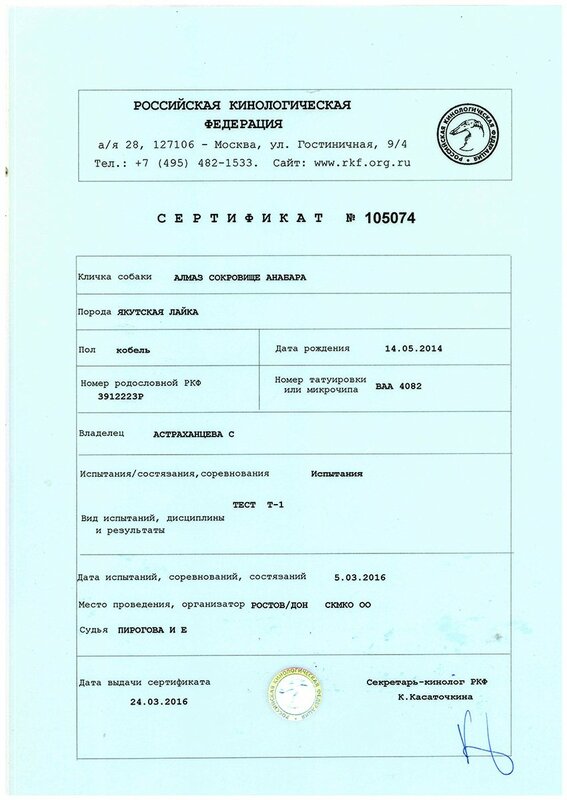 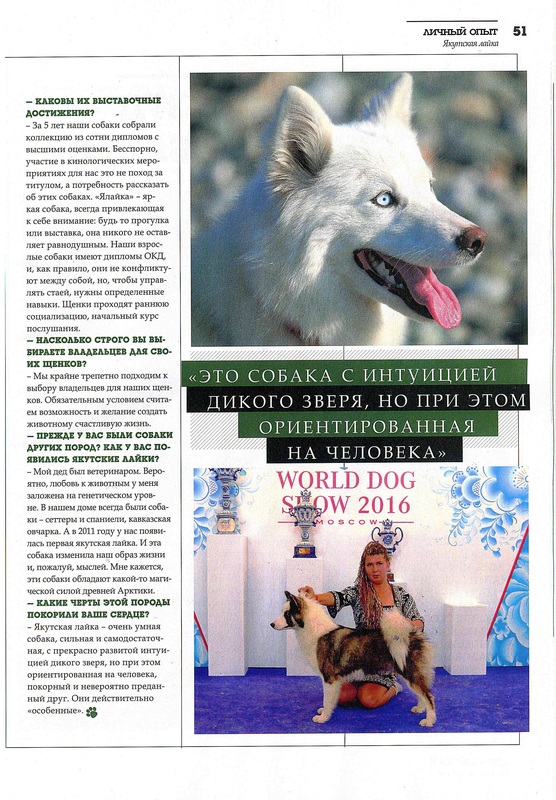 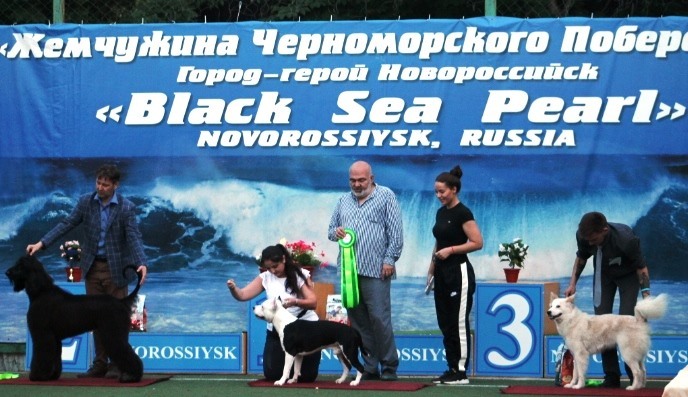 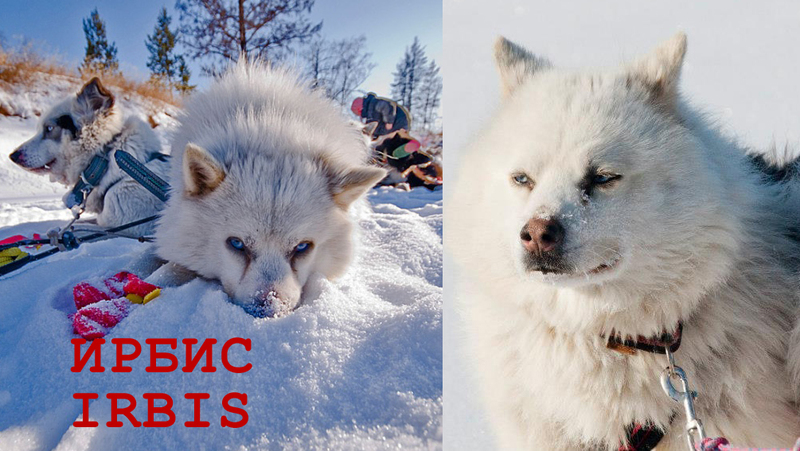 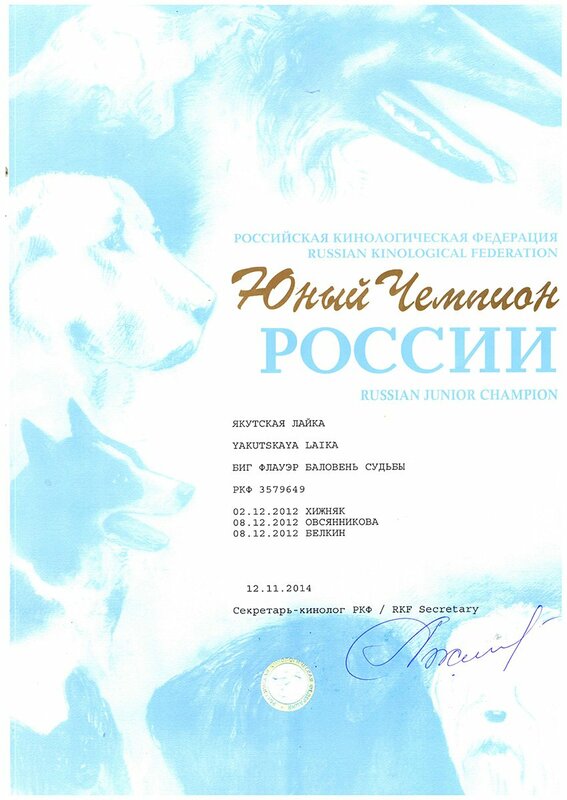 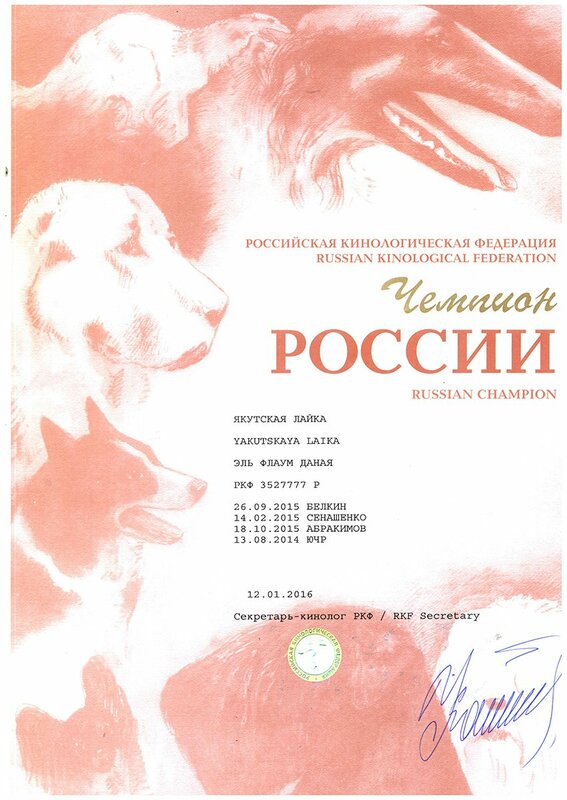 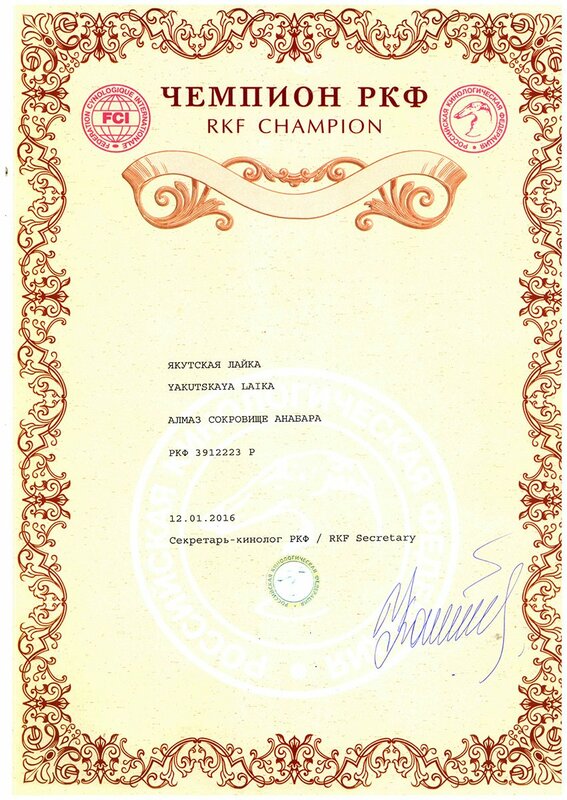 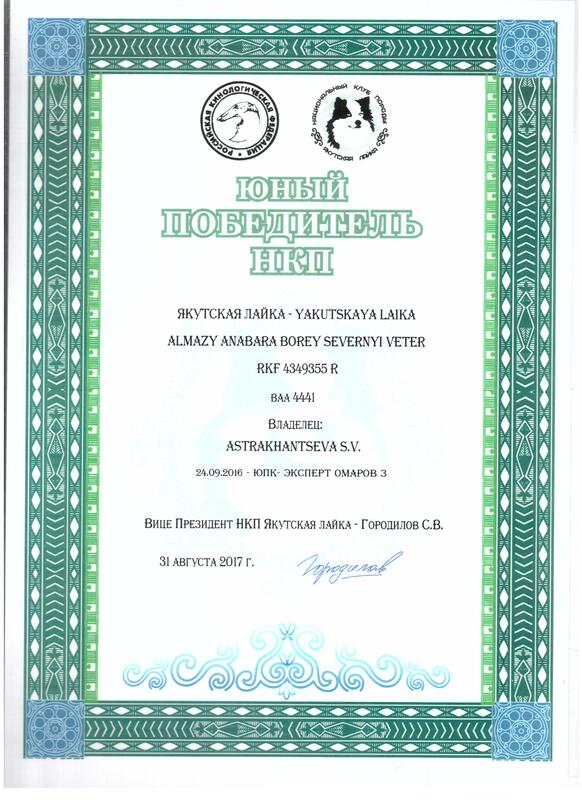 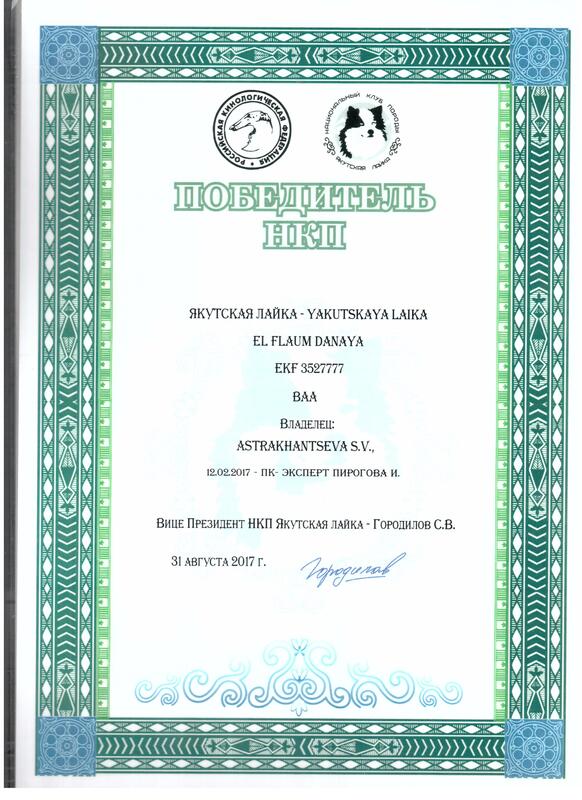 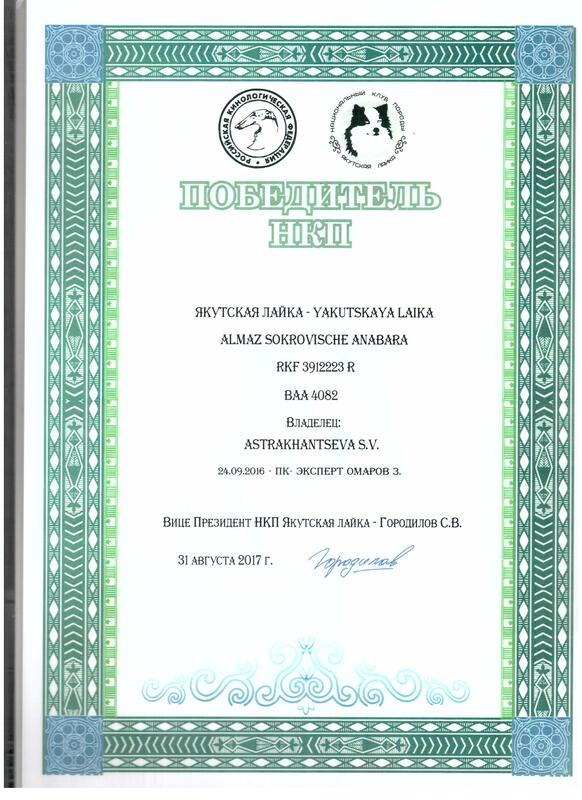 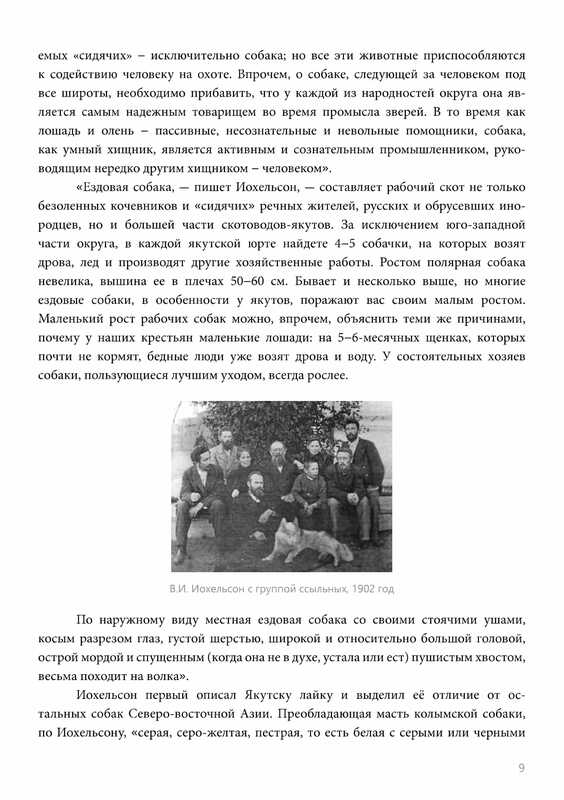 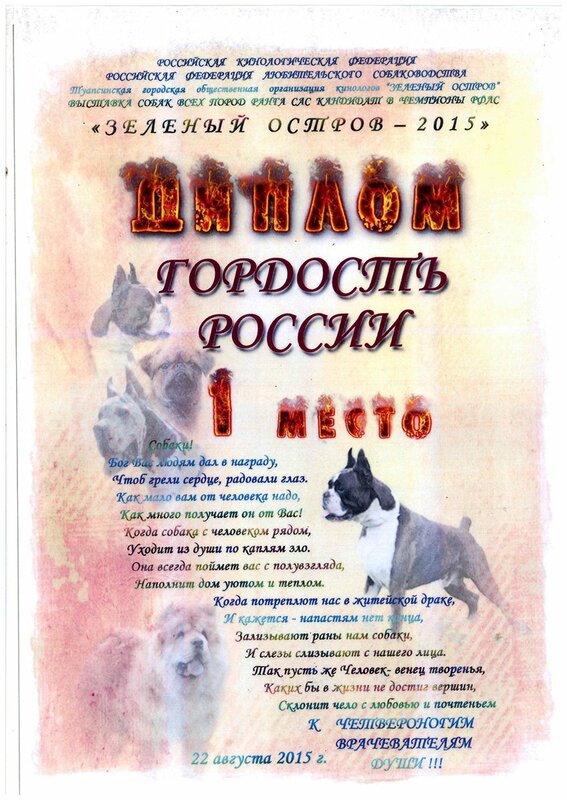 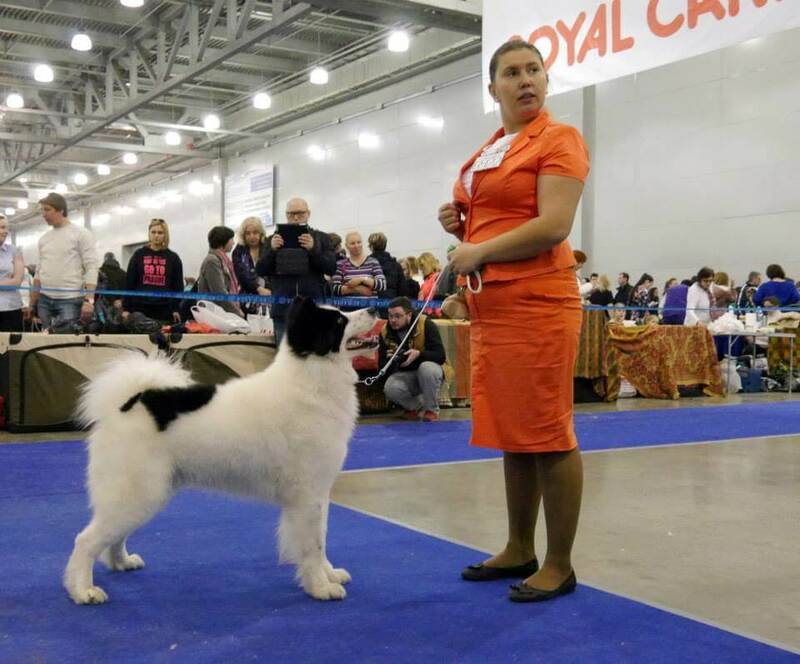 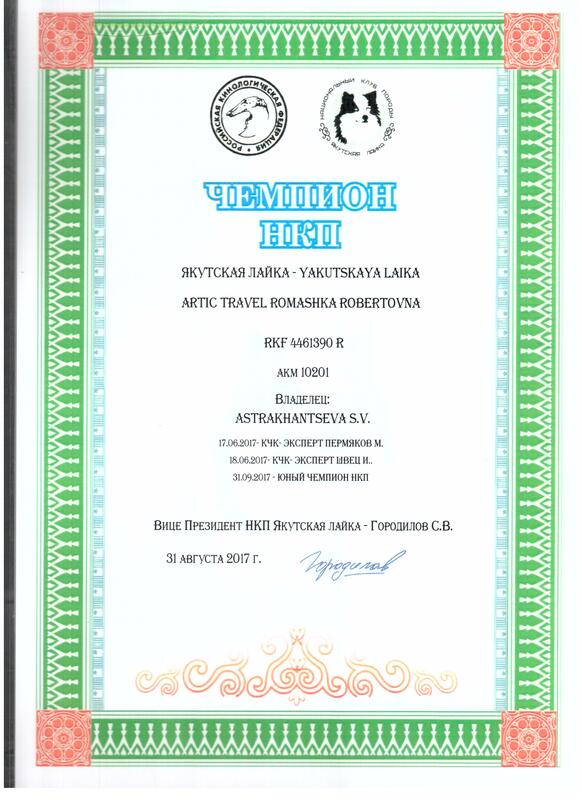 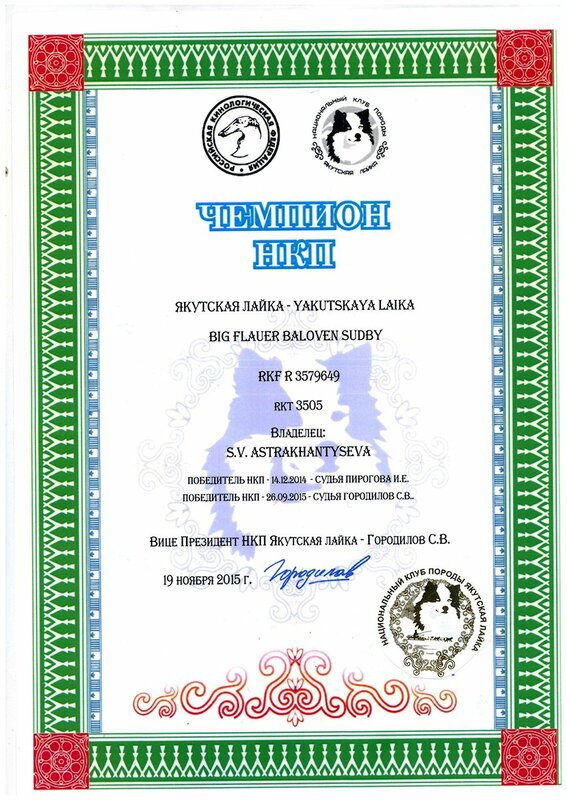 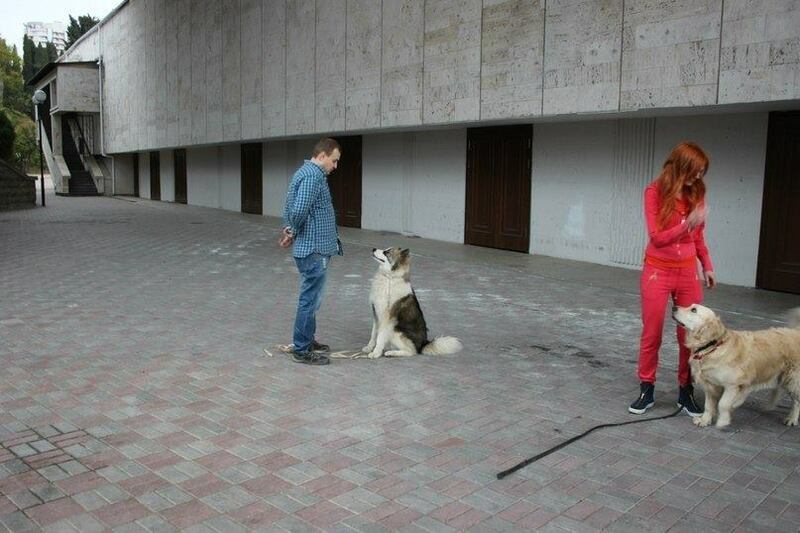 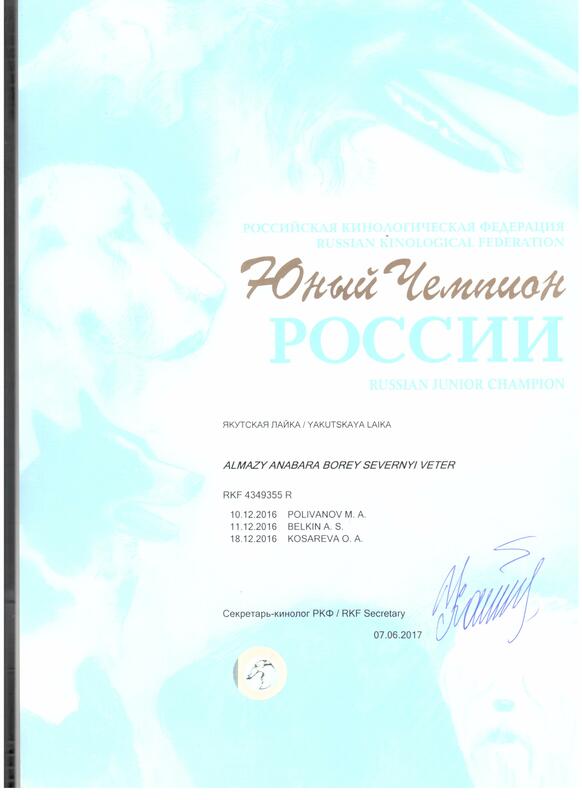 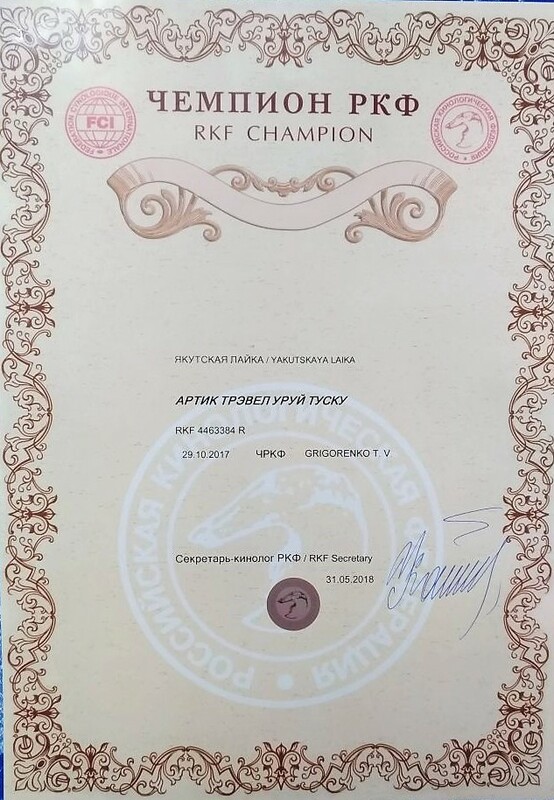 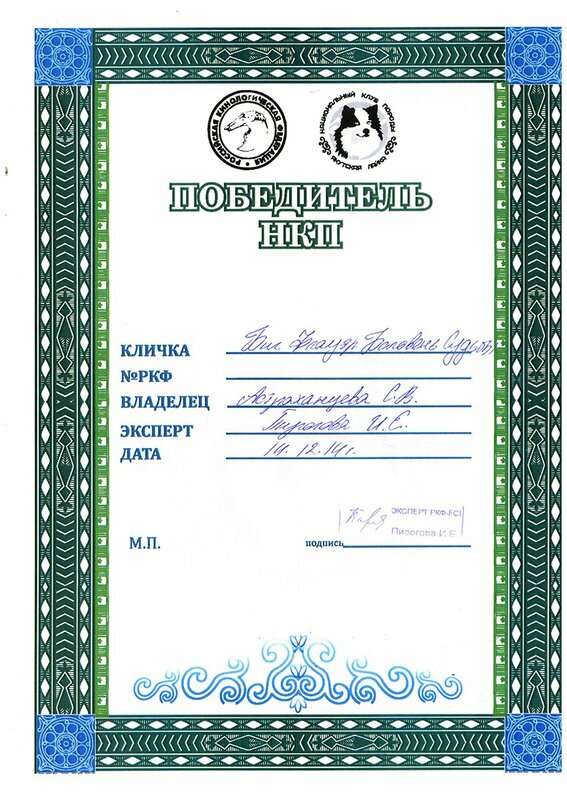 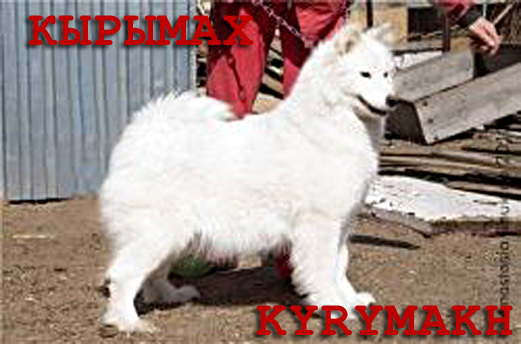 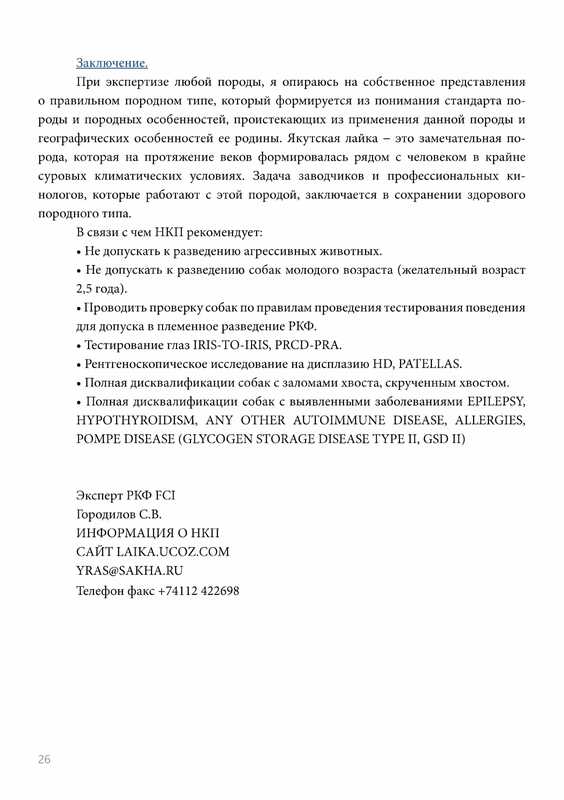 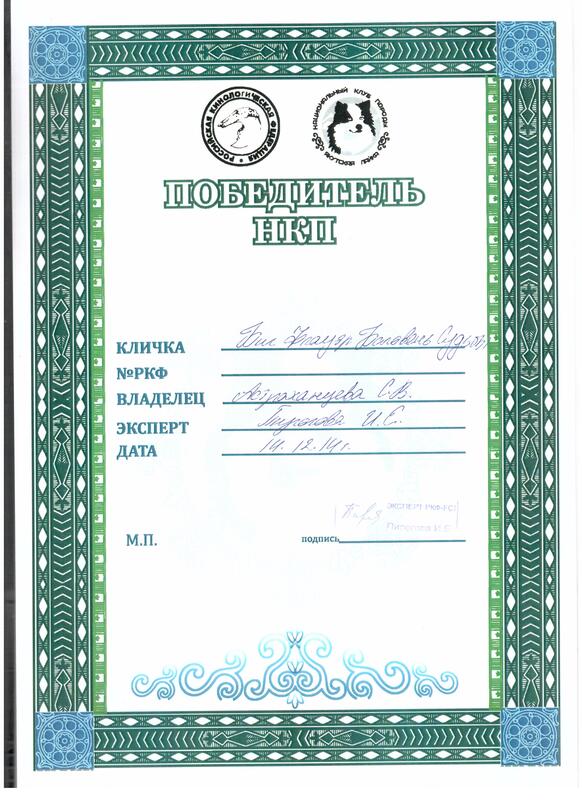 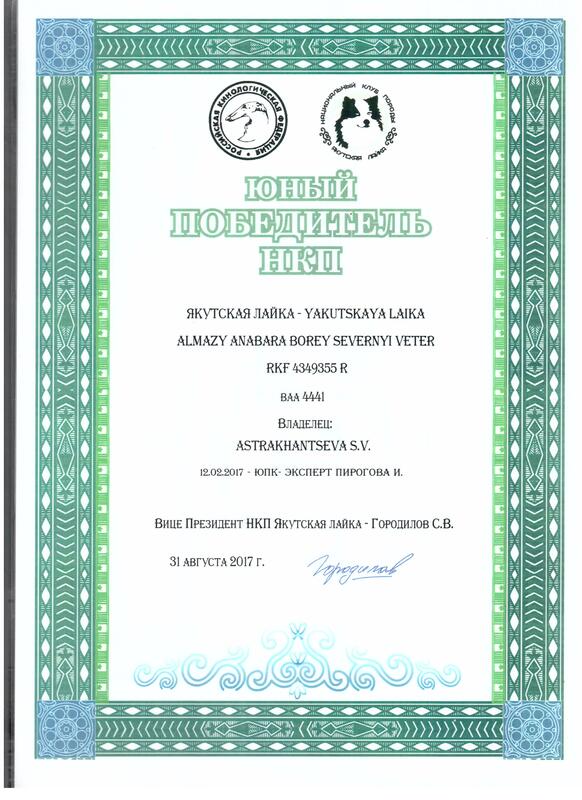 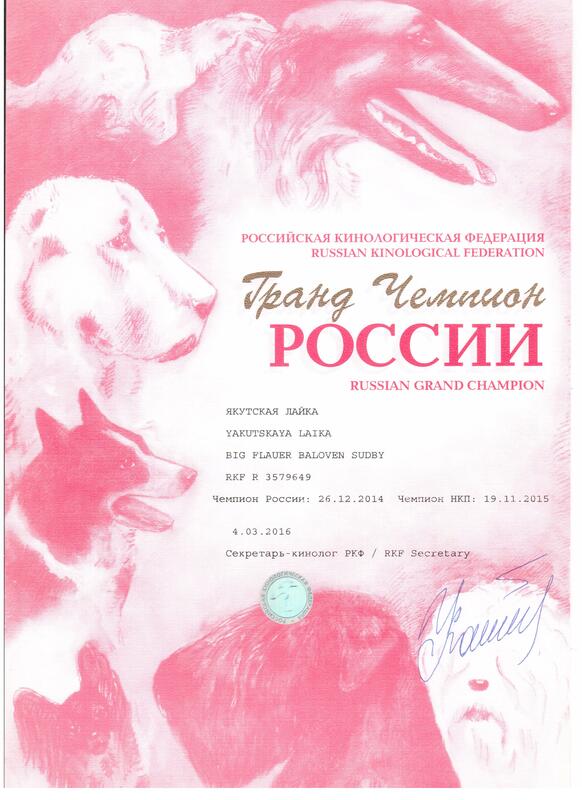 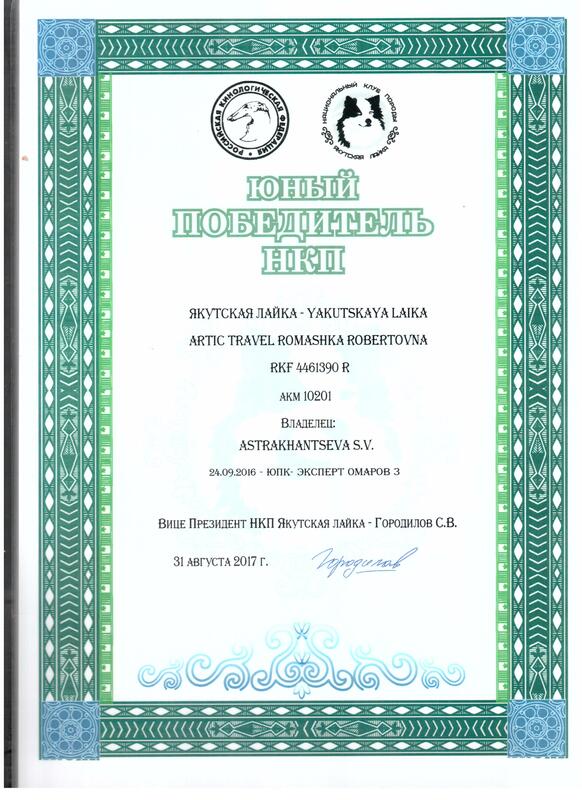 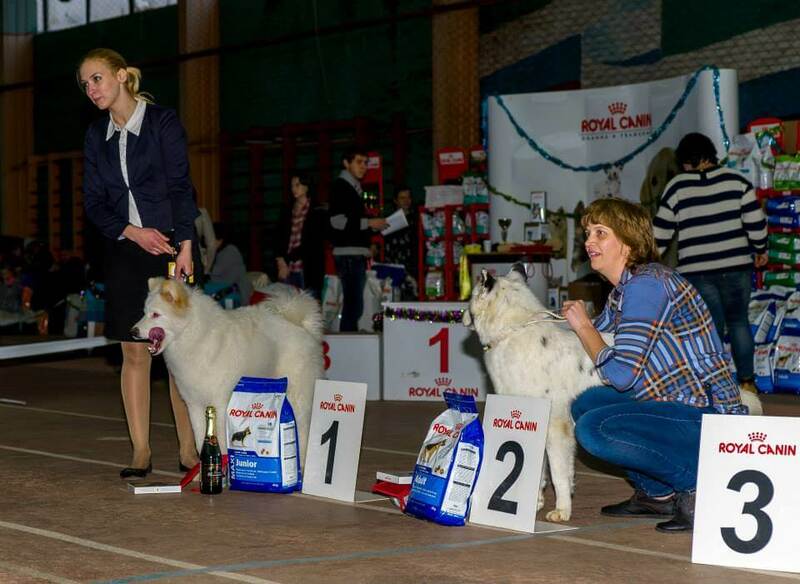 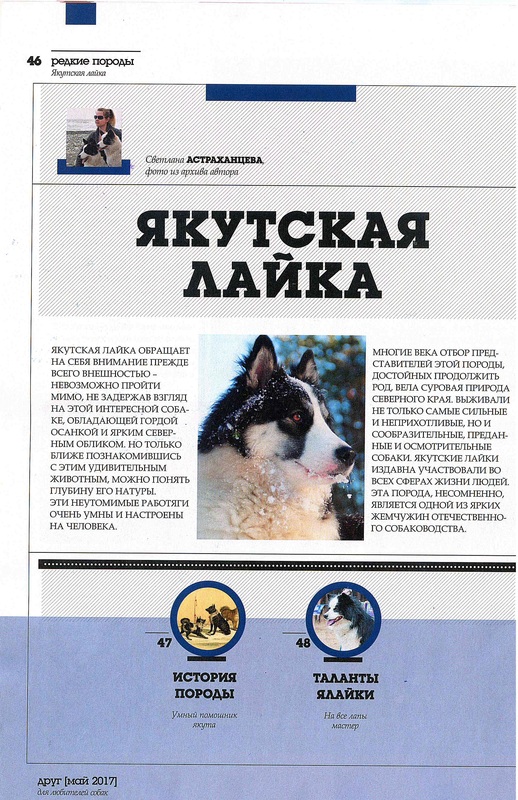 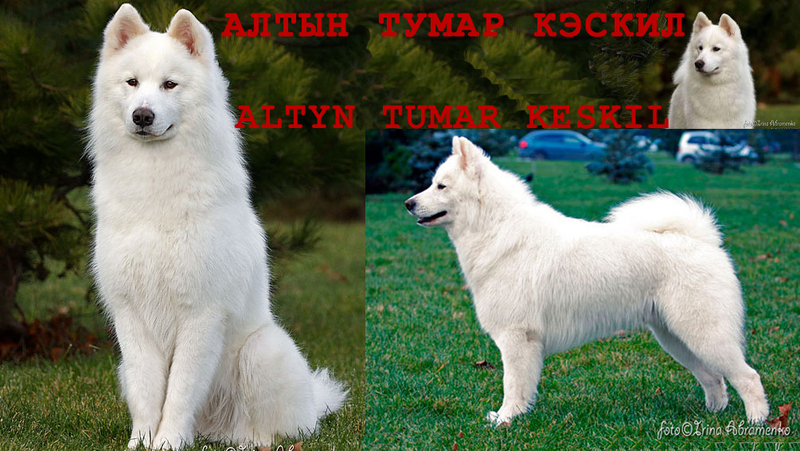 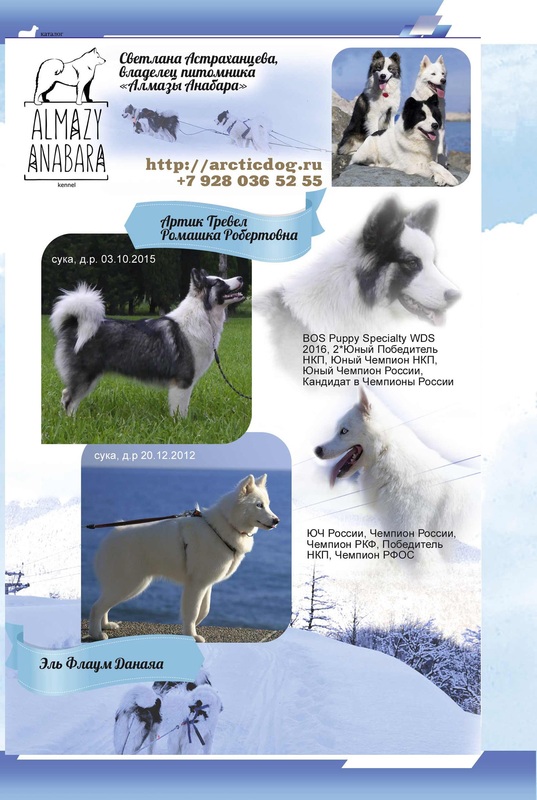 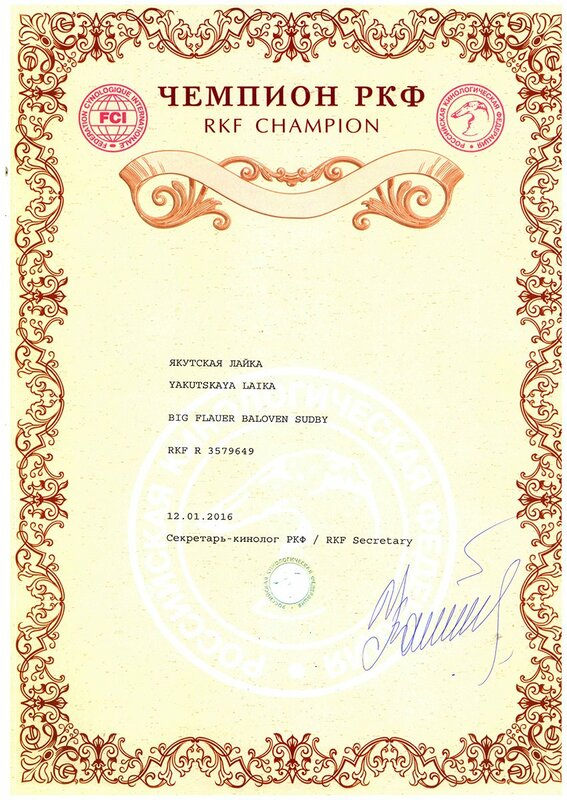 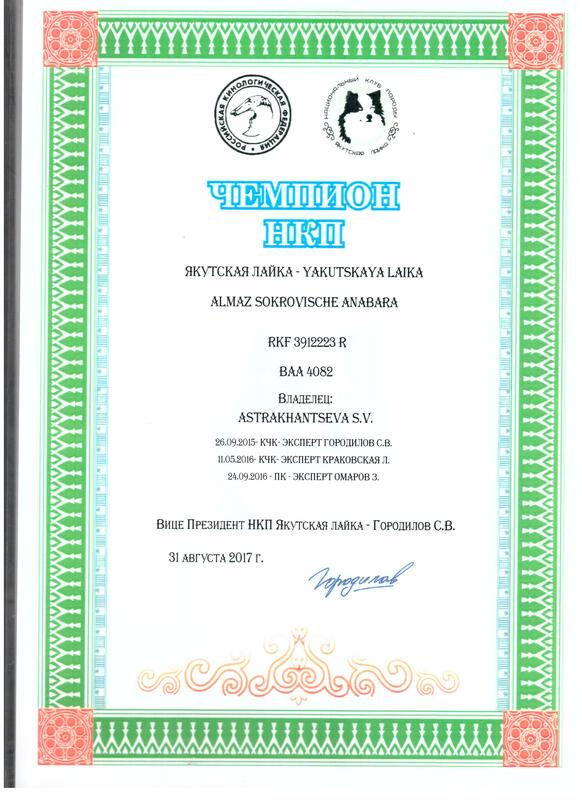 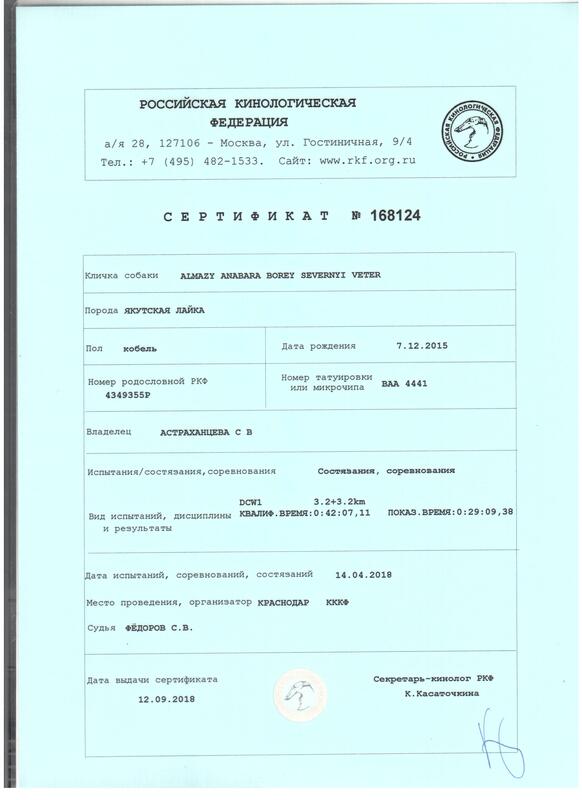 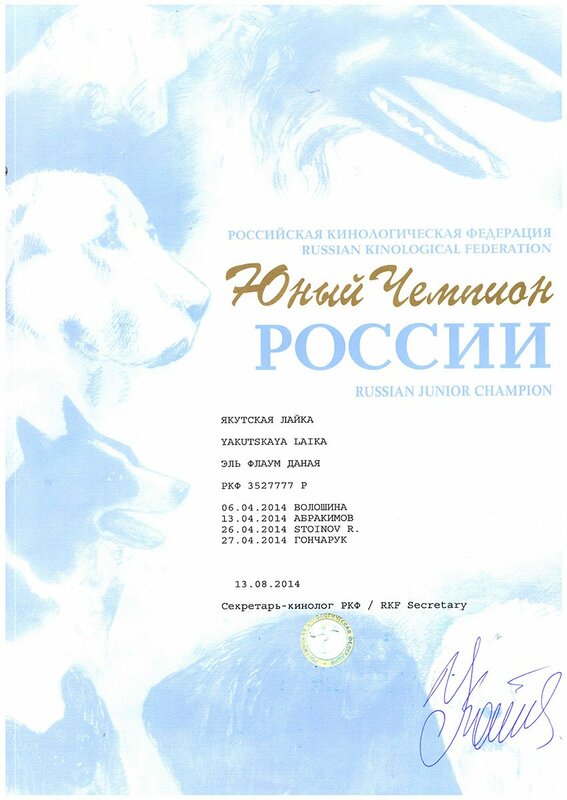 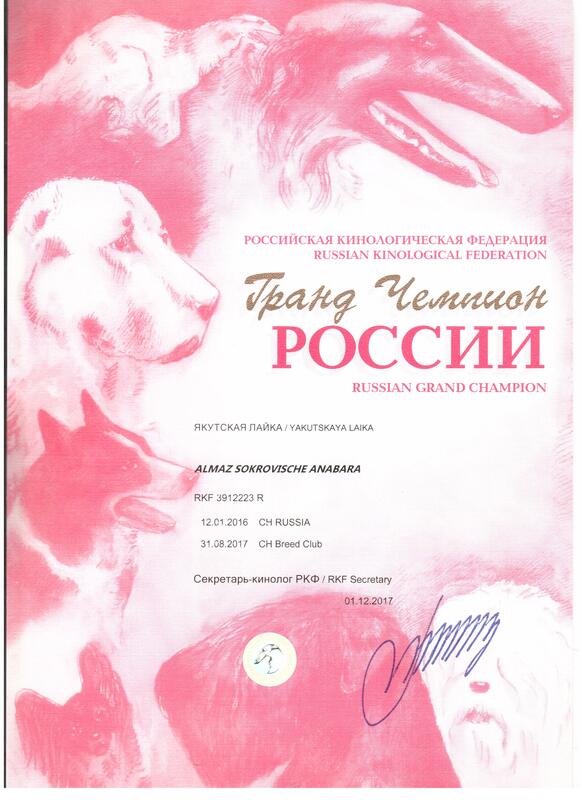 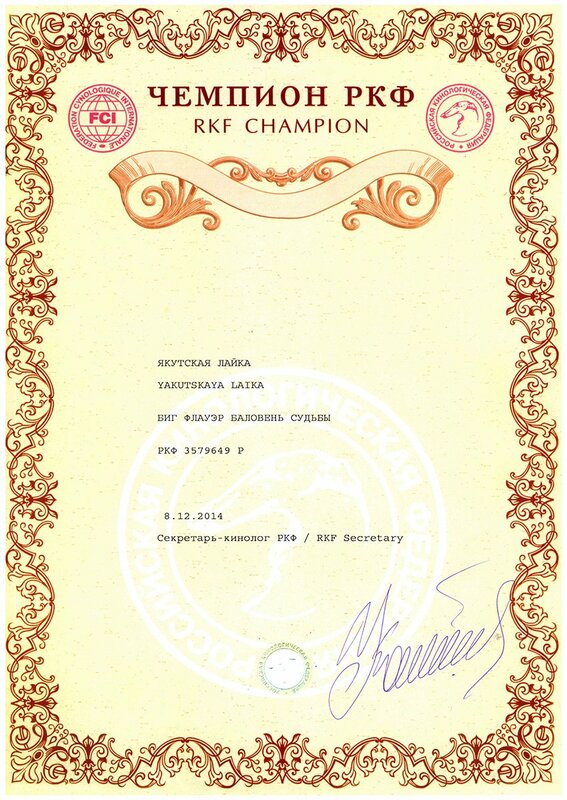 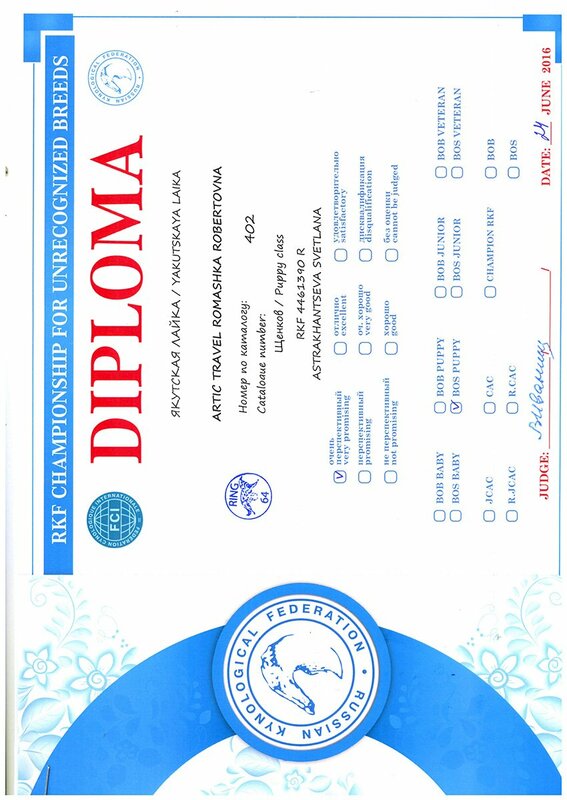 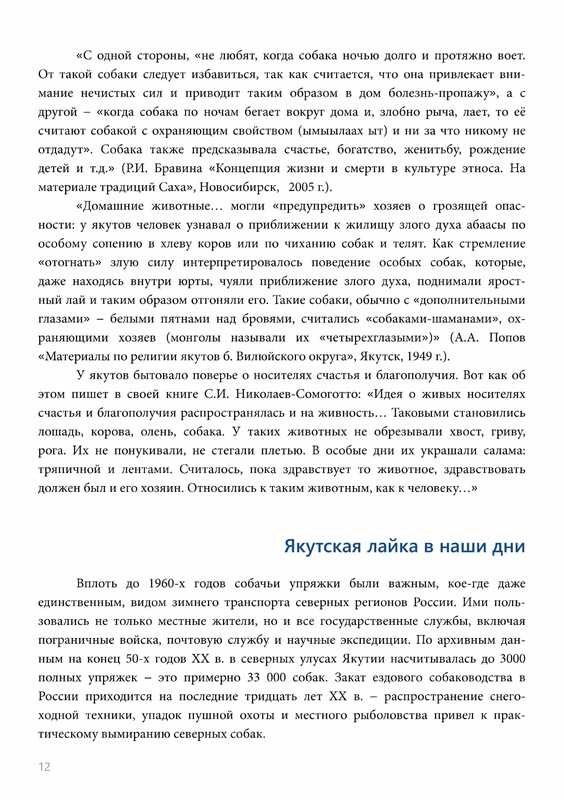 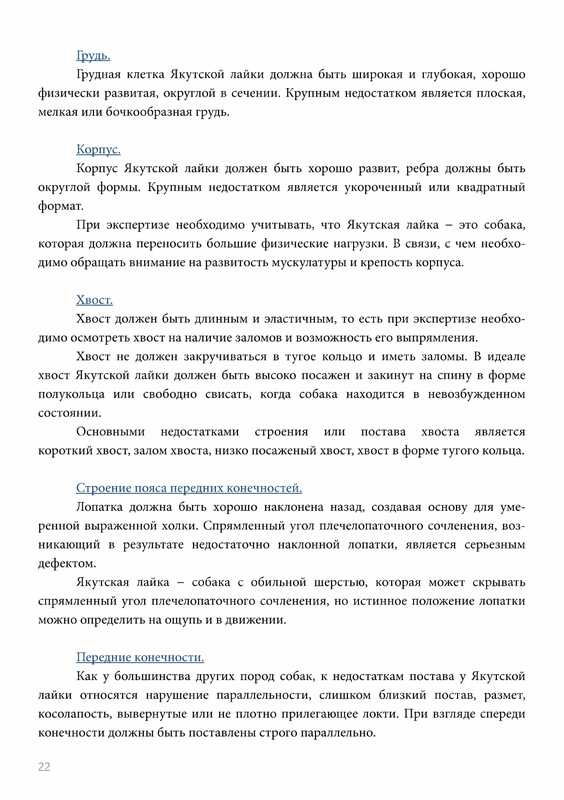 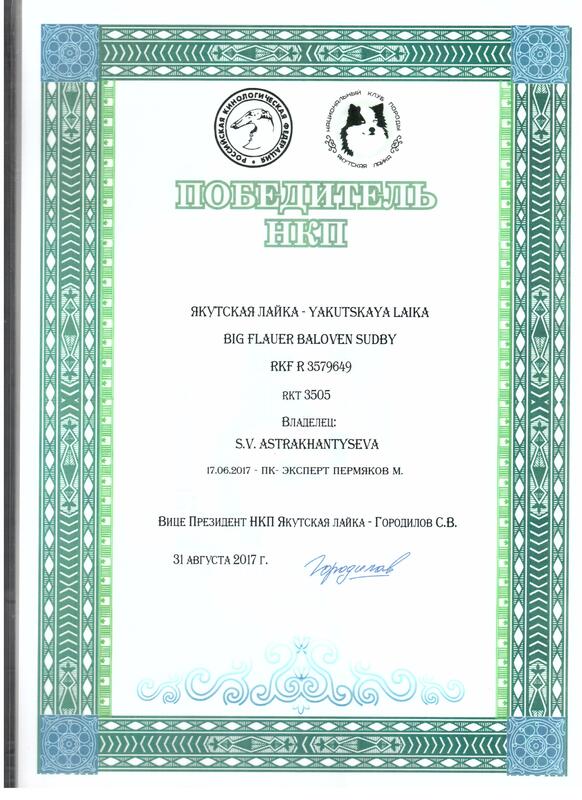 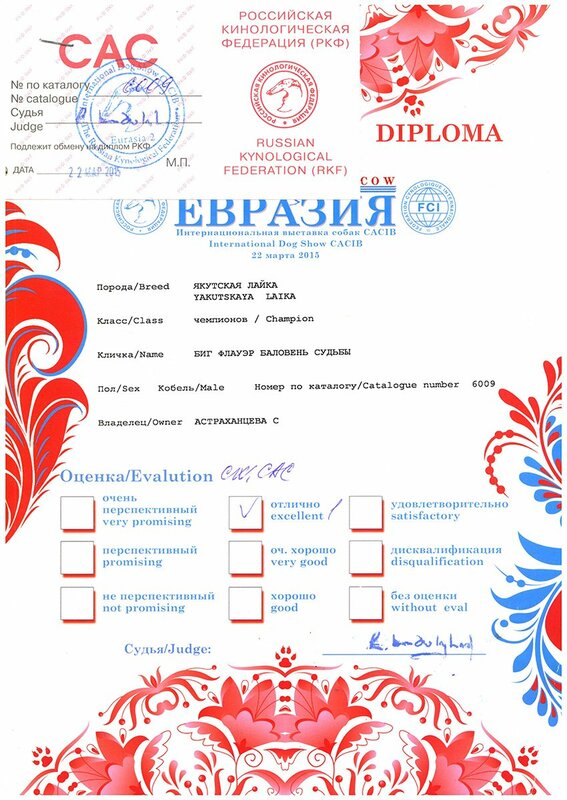 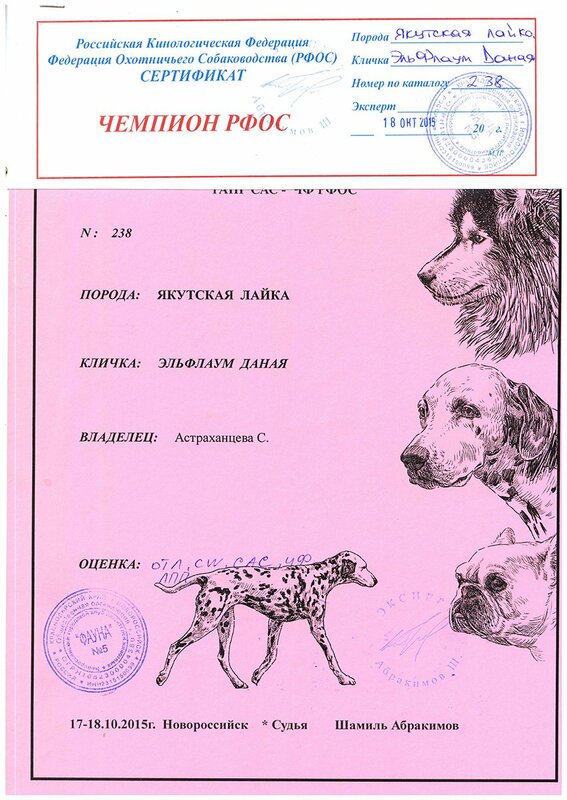 Yakutian Laikas of our breeding live in the best kennels of Russia and Europe (Poland, France, Spain, Netherlands, Norway, Finland, Czech Republic, United States). 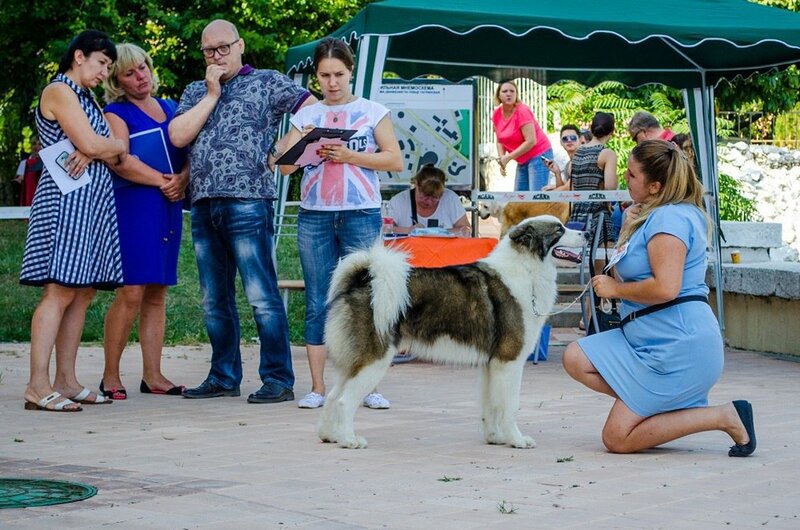 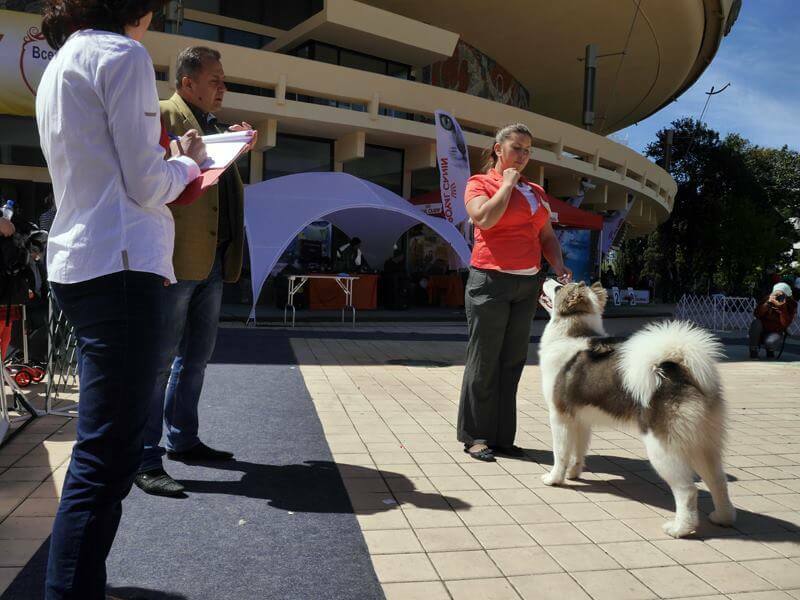 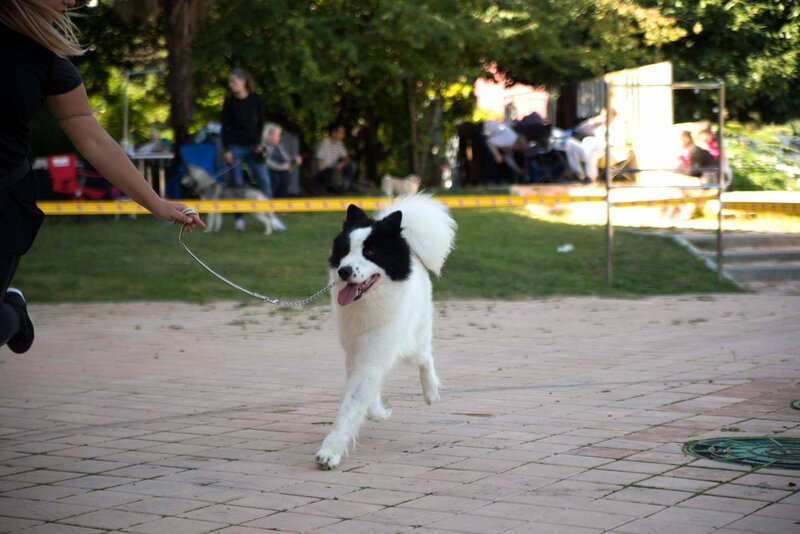 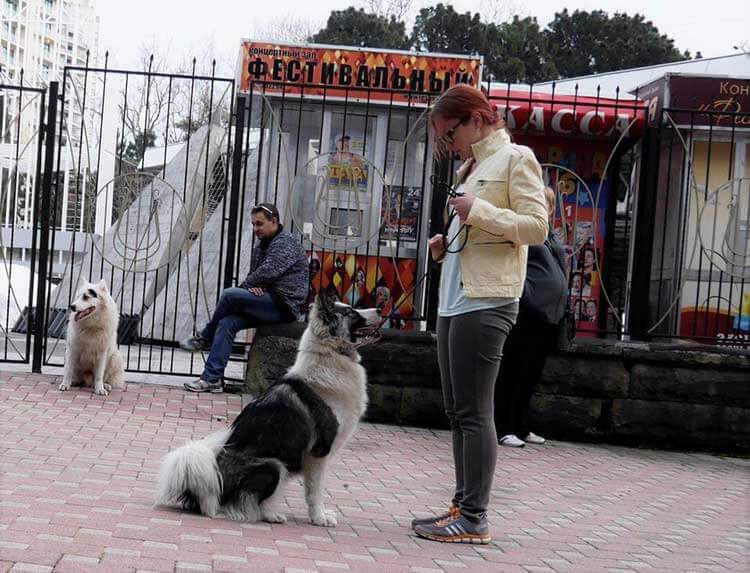 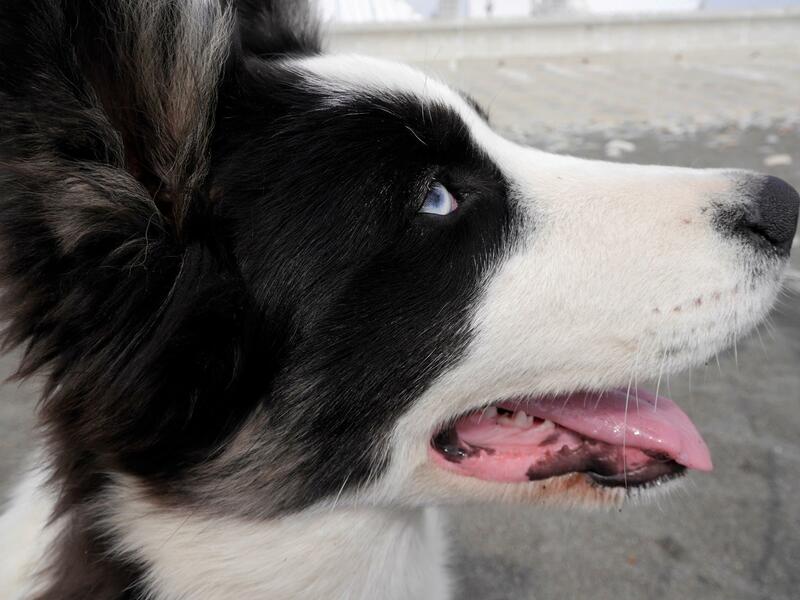 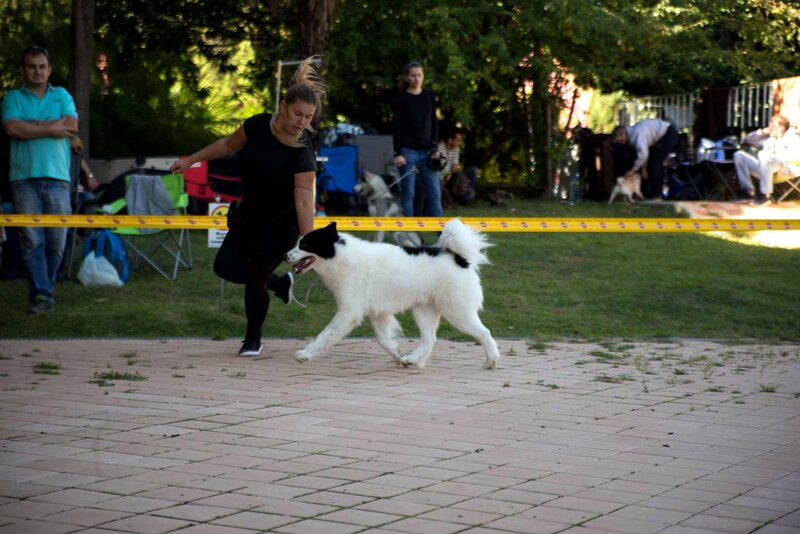 All our adult dogs have passed the general course of training, successfully exhibited at exhibitions of various levels. 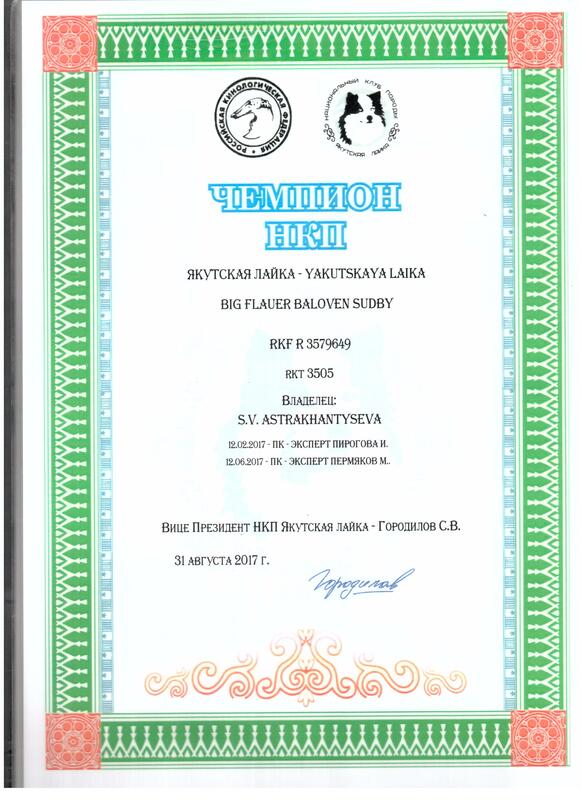 The main manufacturer of the nursery is BF Favorite of Fortune (Balu). 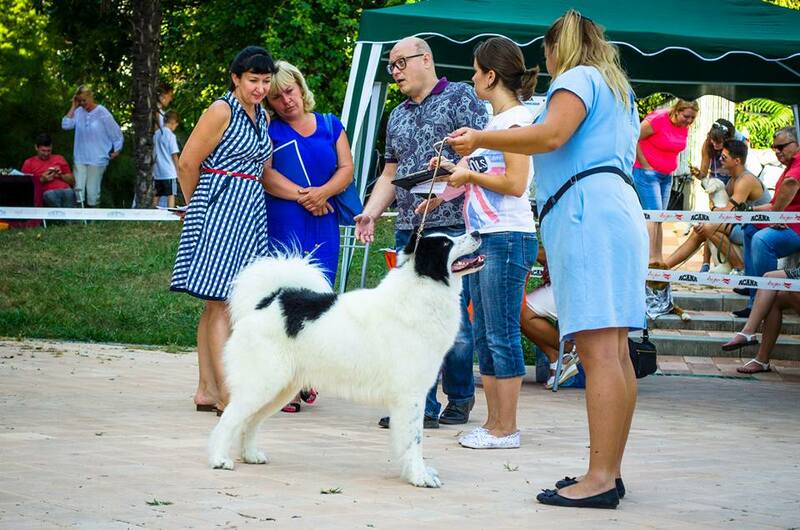 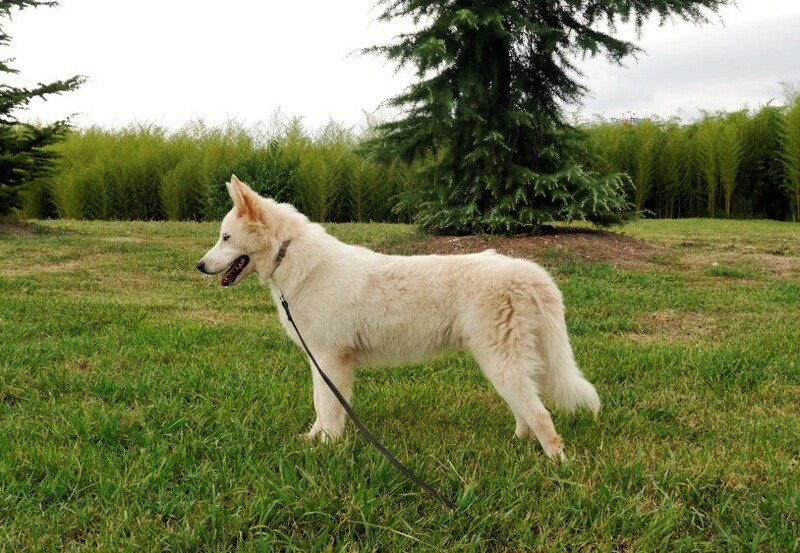 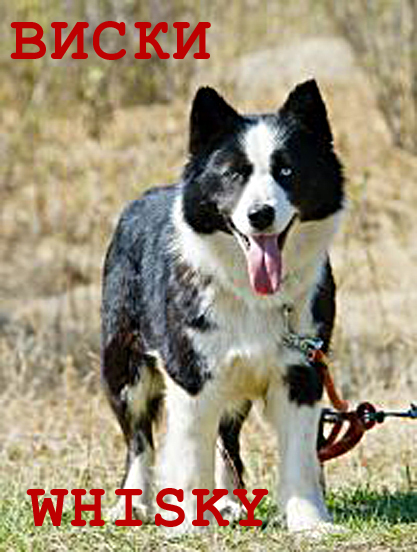 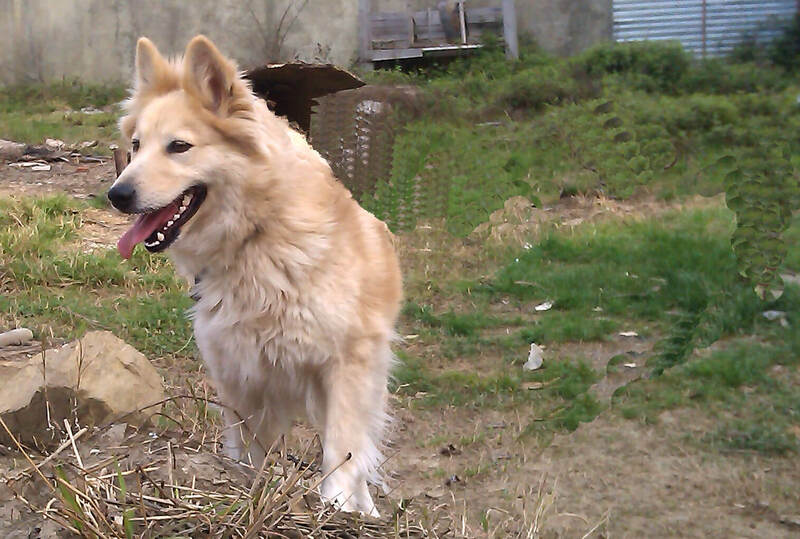 Balu is one of the most titled dogs in the breed today. 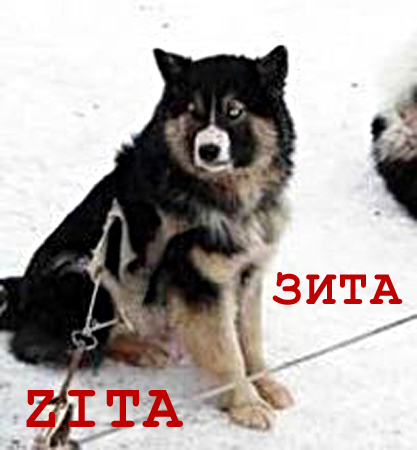 So, get acquainted! 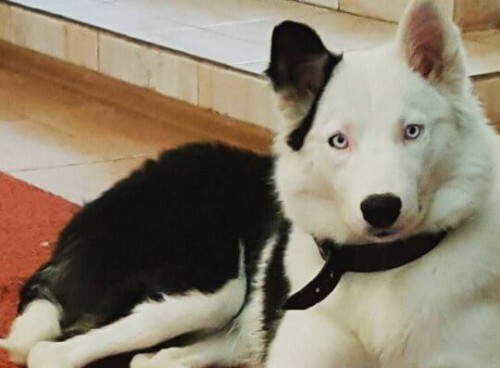 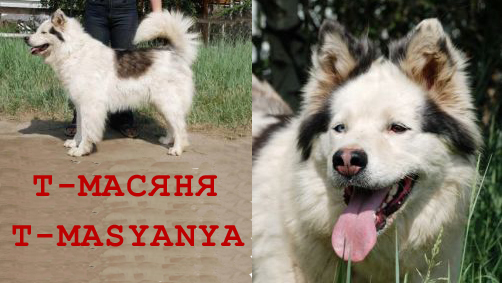 Do you dream about friendly dog with an amazing appearance? 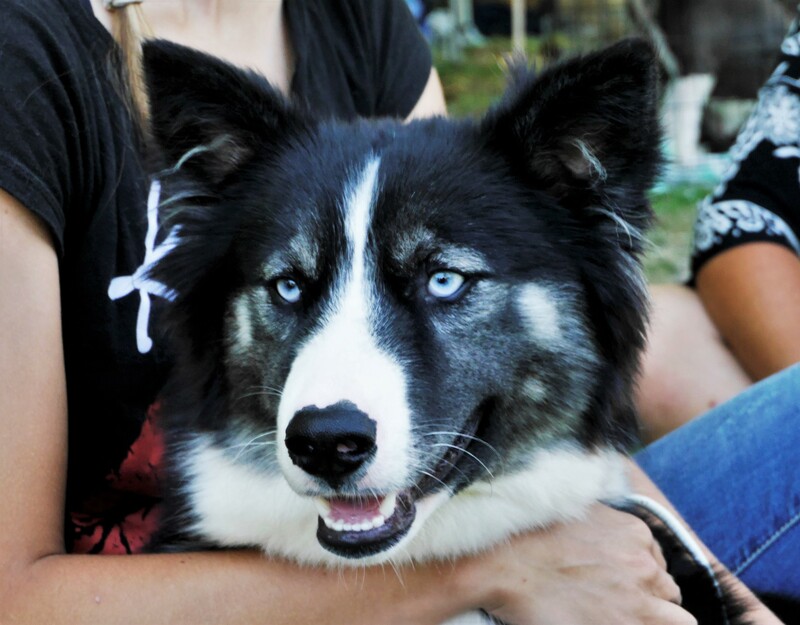 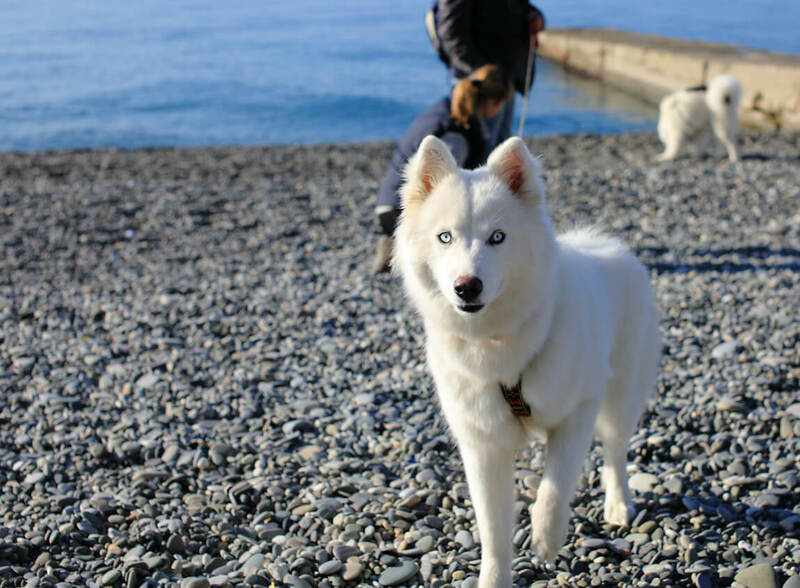 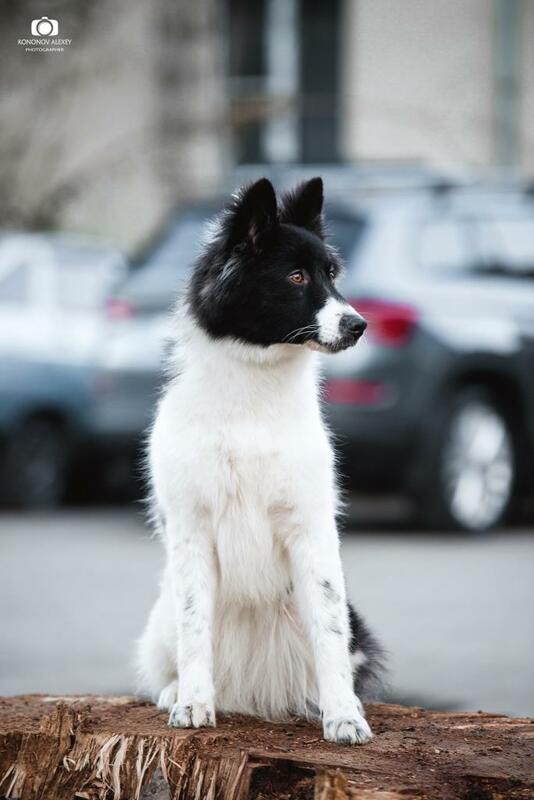 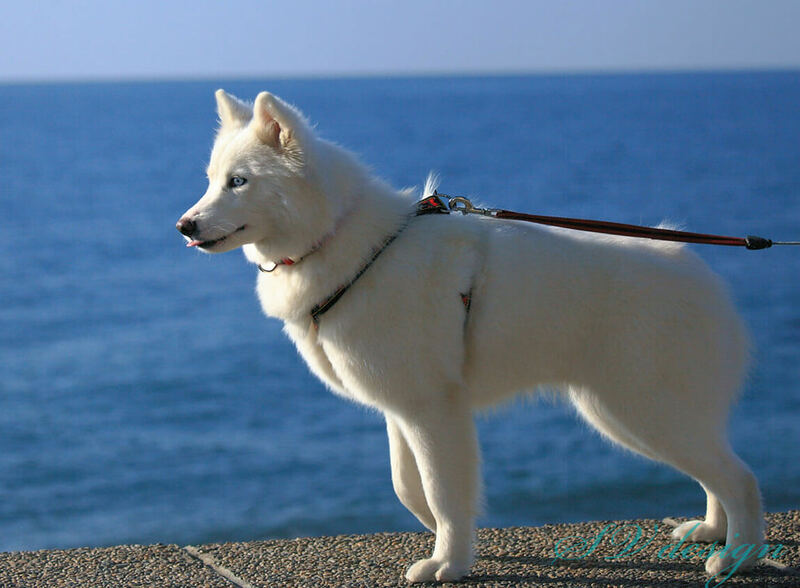 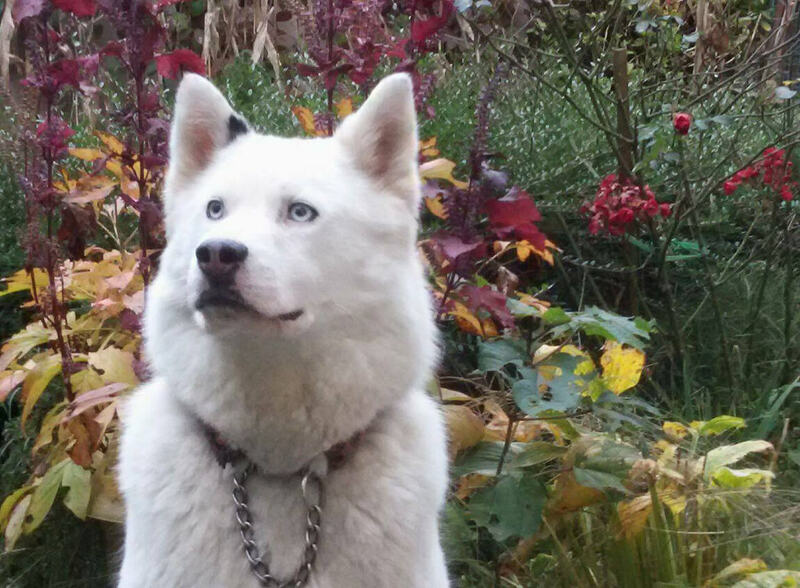 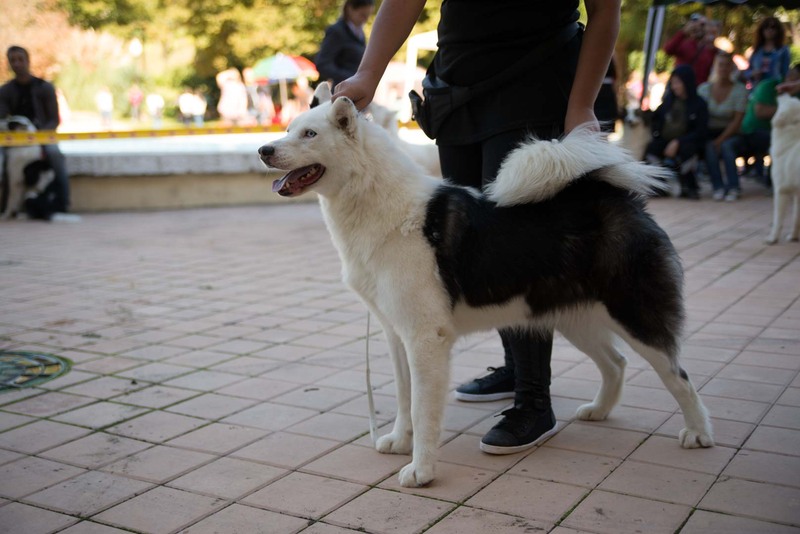 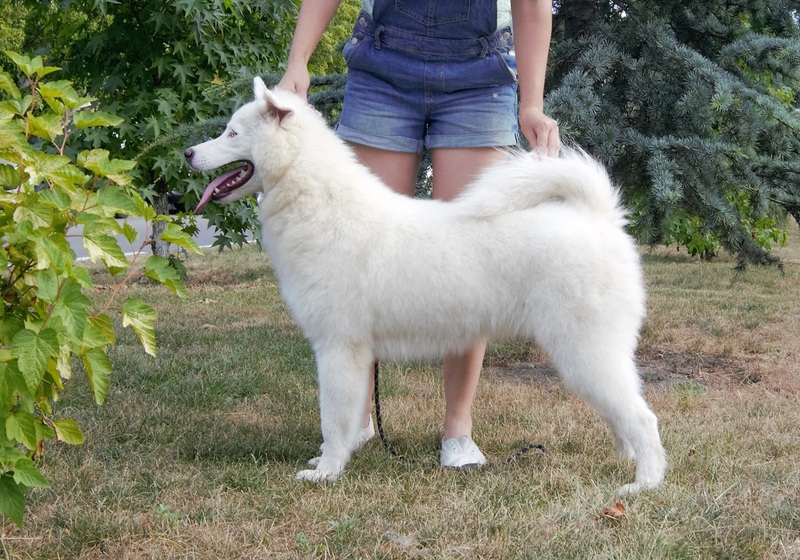 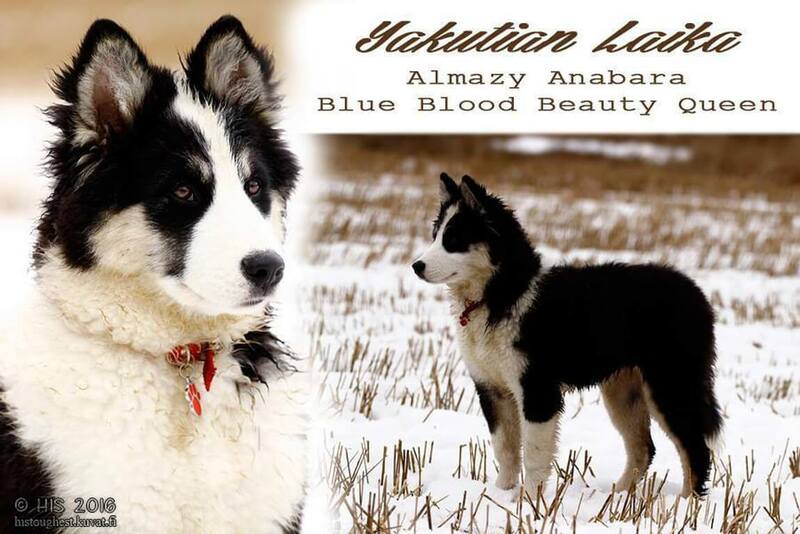 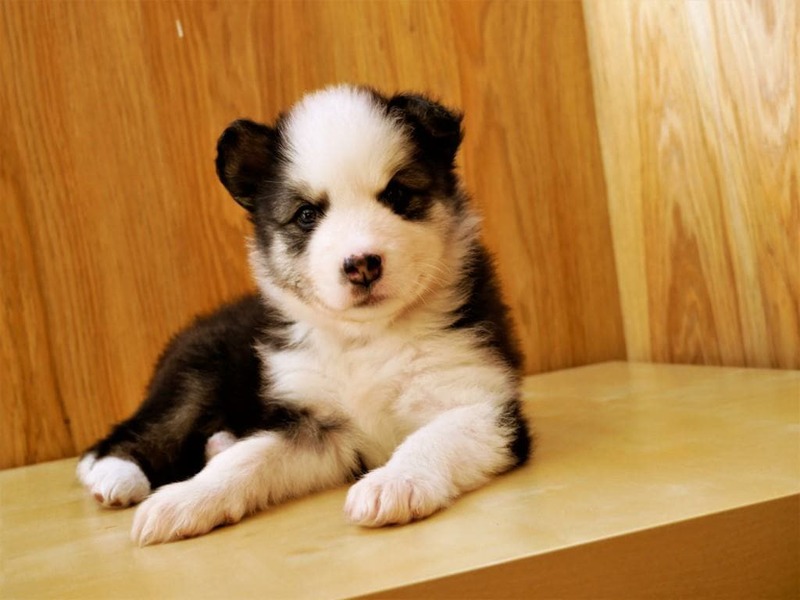 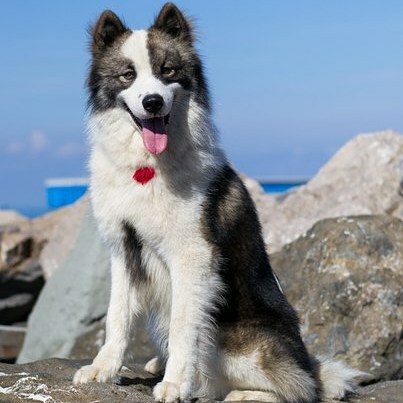 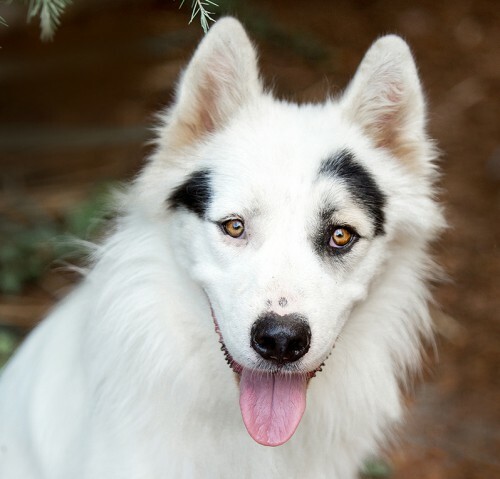 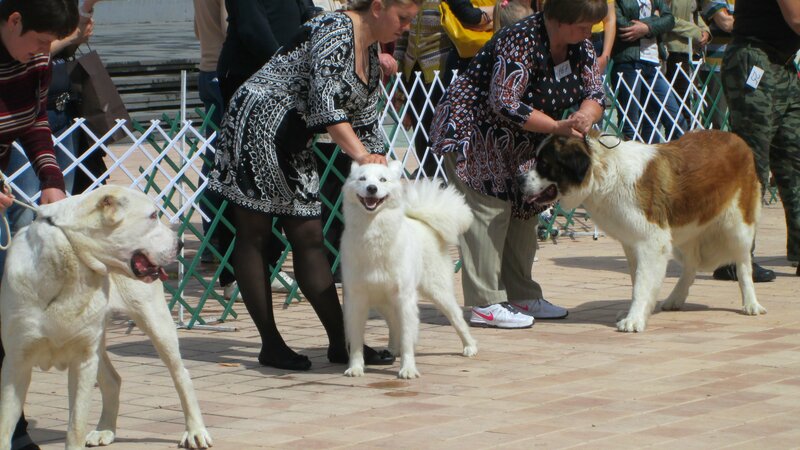 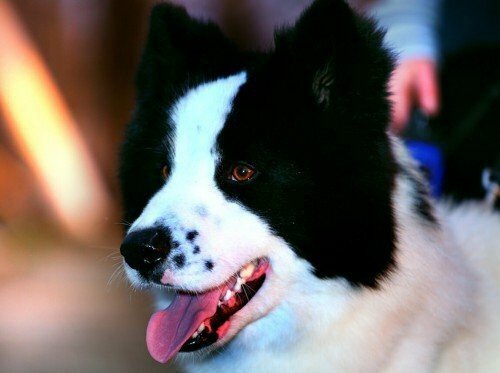 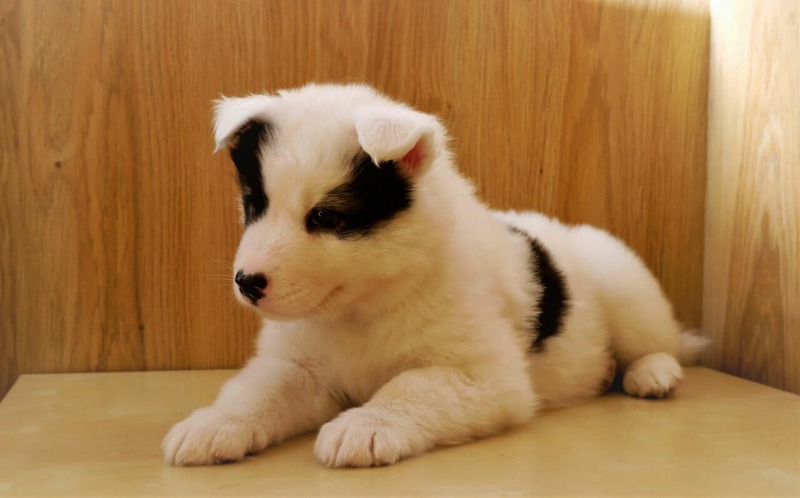 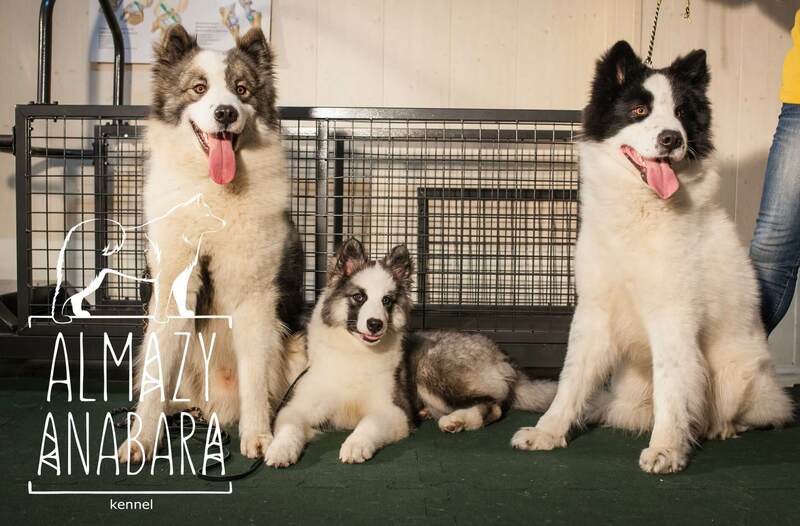 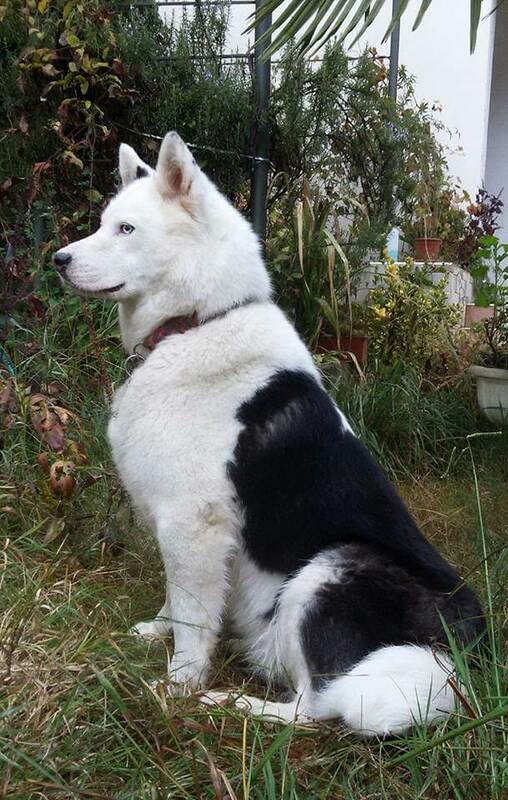 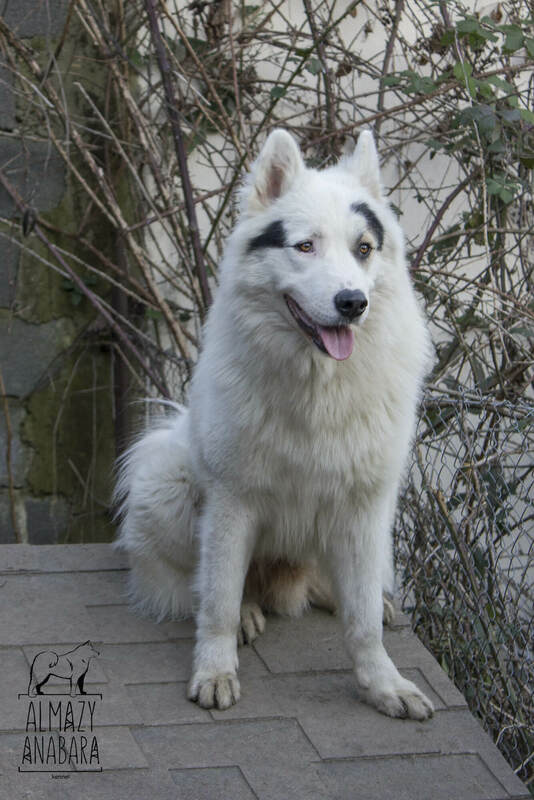 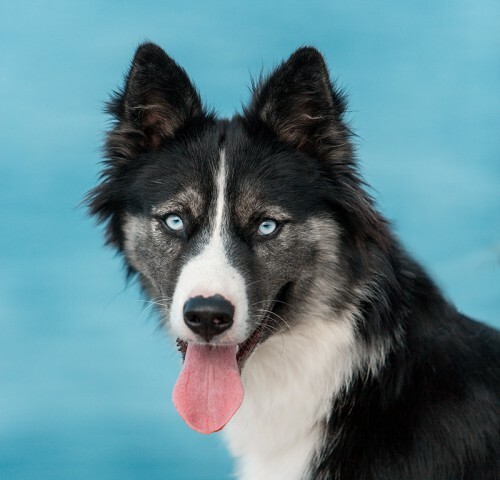 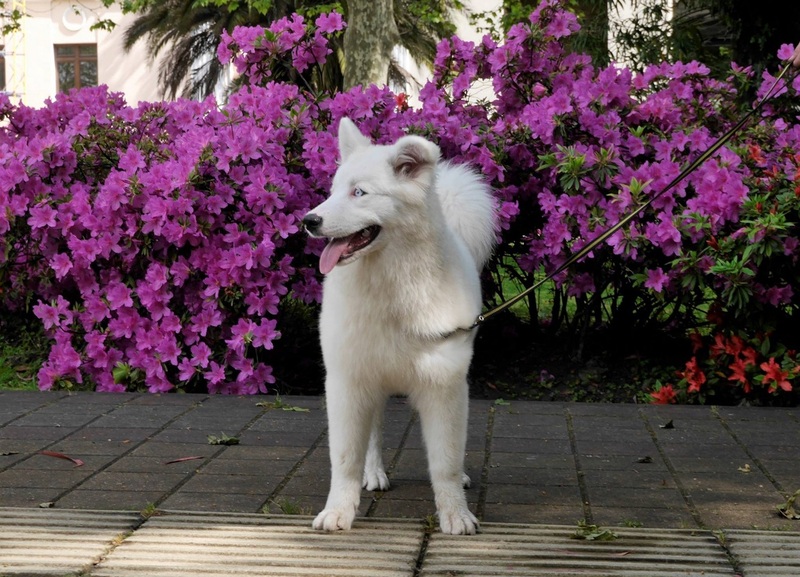 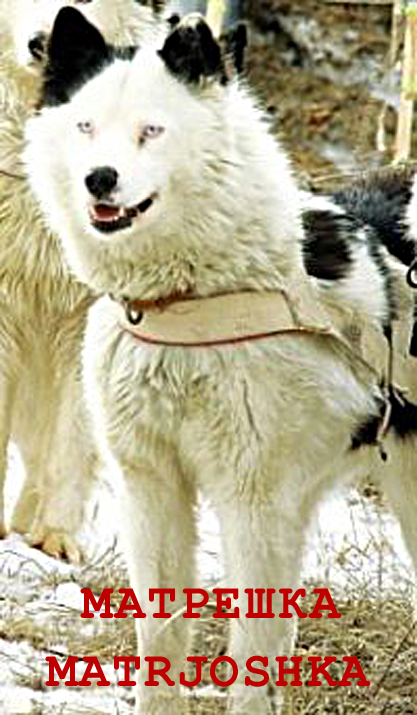 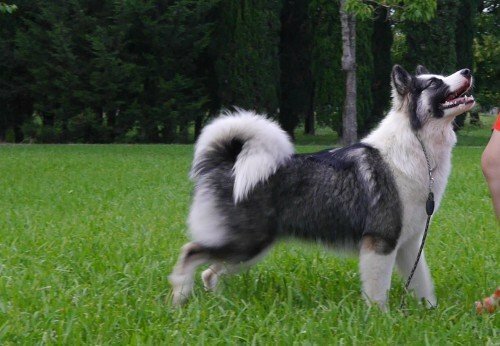 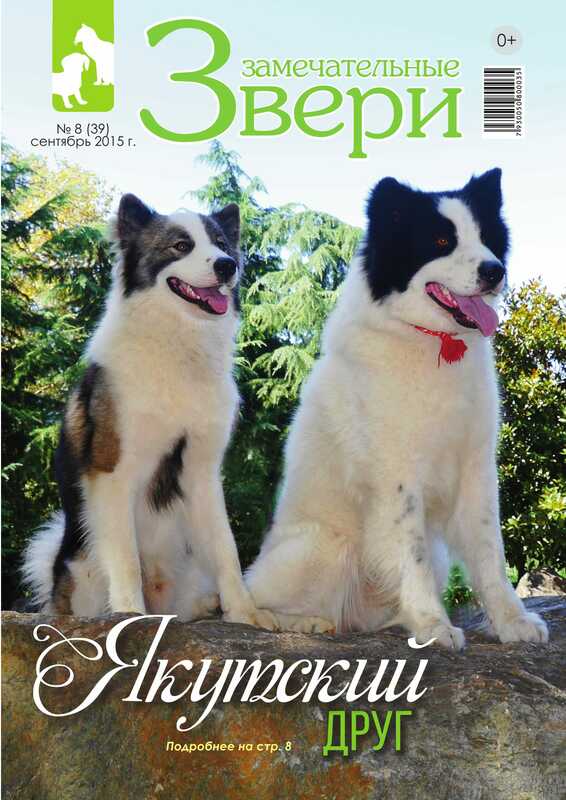 If so, Yakutian Laika breed is right for you. 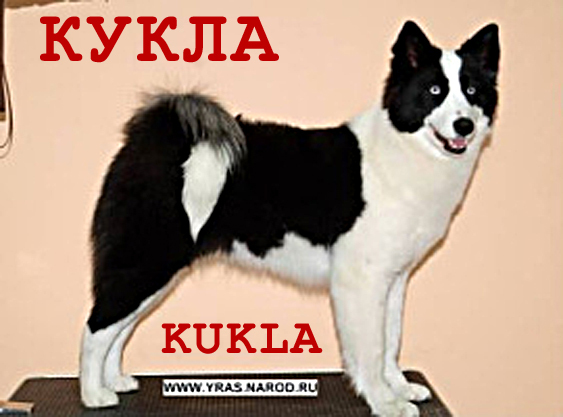 Curious representatives of our kennel differ with sweet temper, totally devoid of aggression towards people, sociable, playful, nimble, agile, persistent and venturesome. 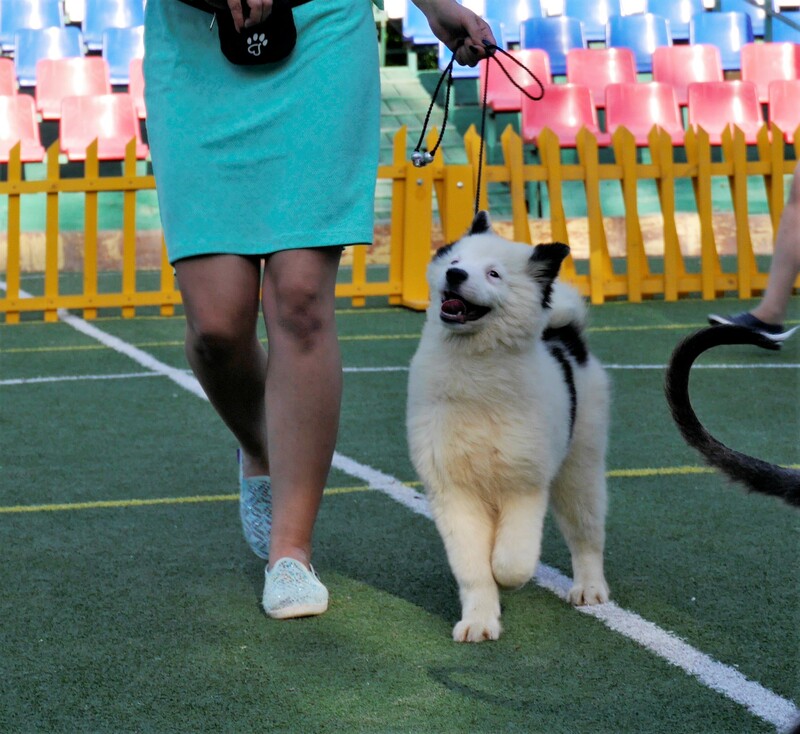 They are smart, have an innate desire to communicate with people, caring, patient, also they are endowed with excellent vision, sense of smell and hearing. 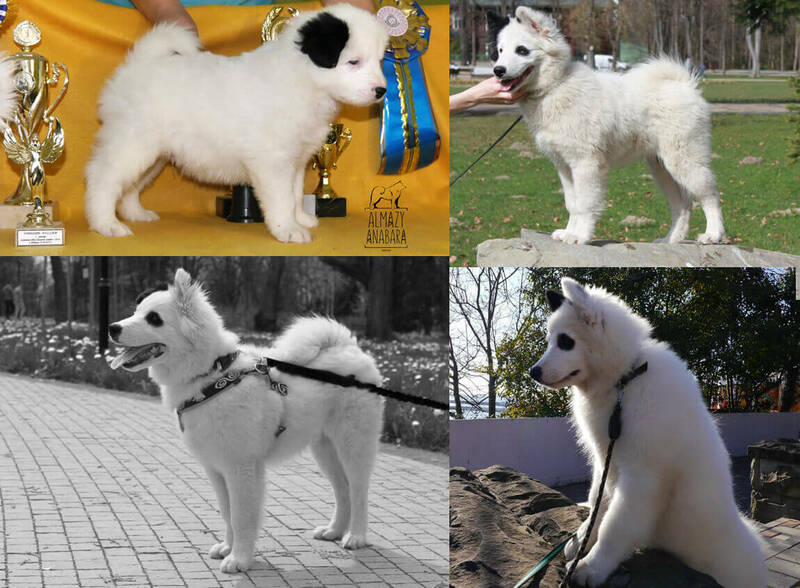 History of breed development has left their mark - they are absolutely devoted to the owner, carefully treat the children and become an adoring babysitters. 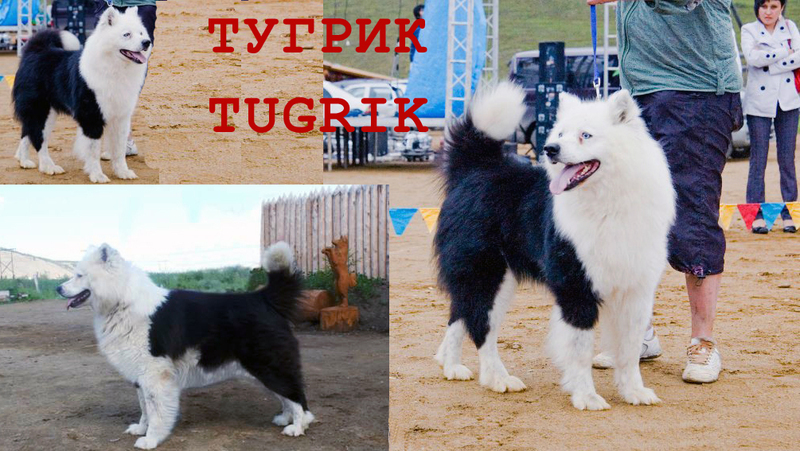 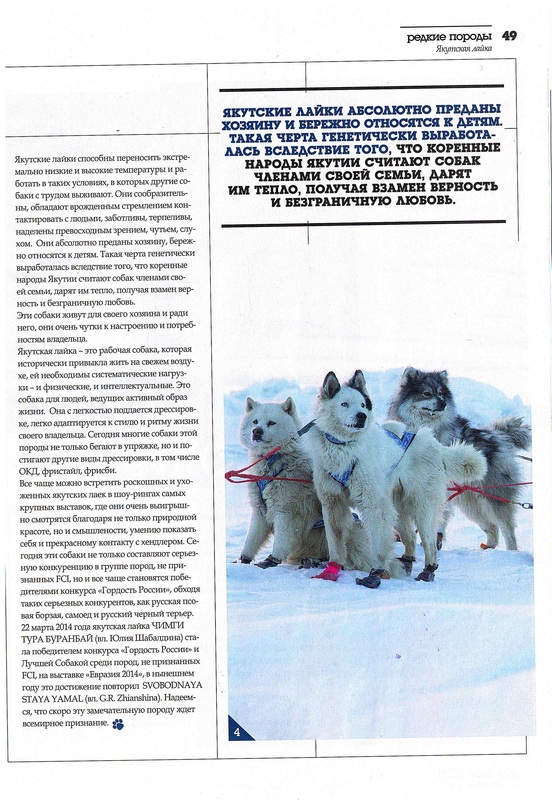 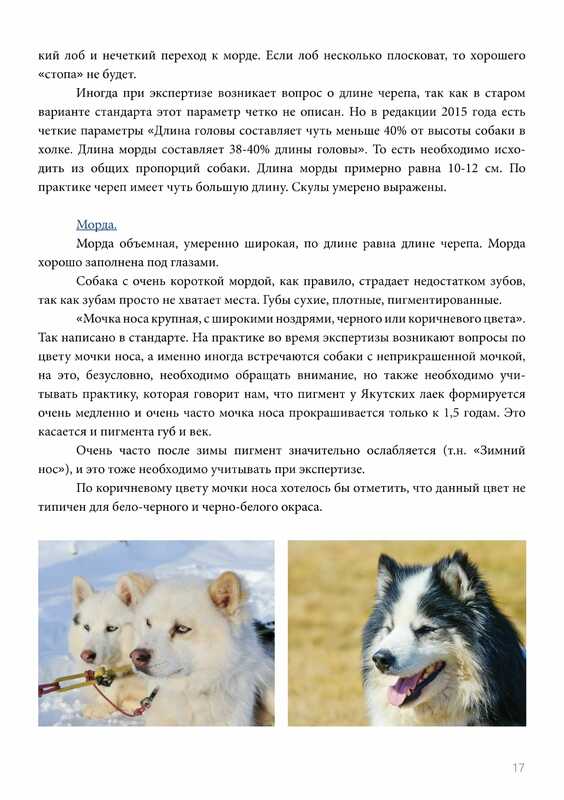 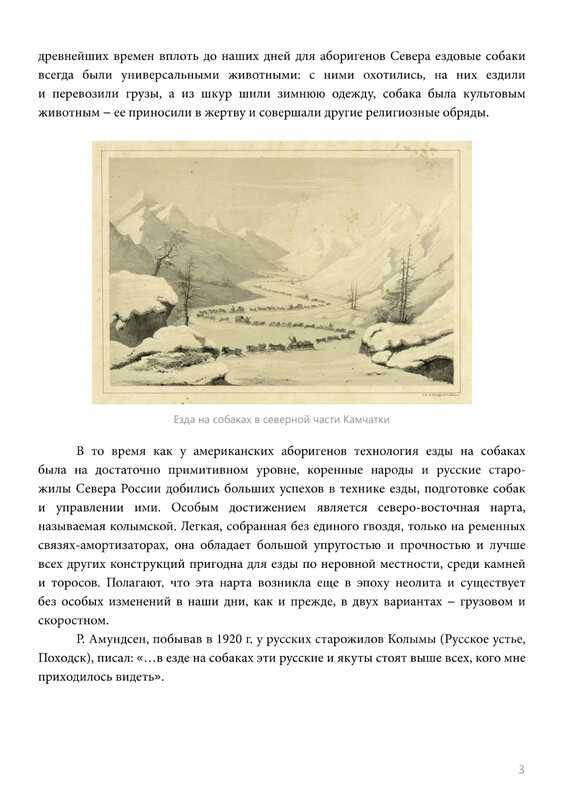 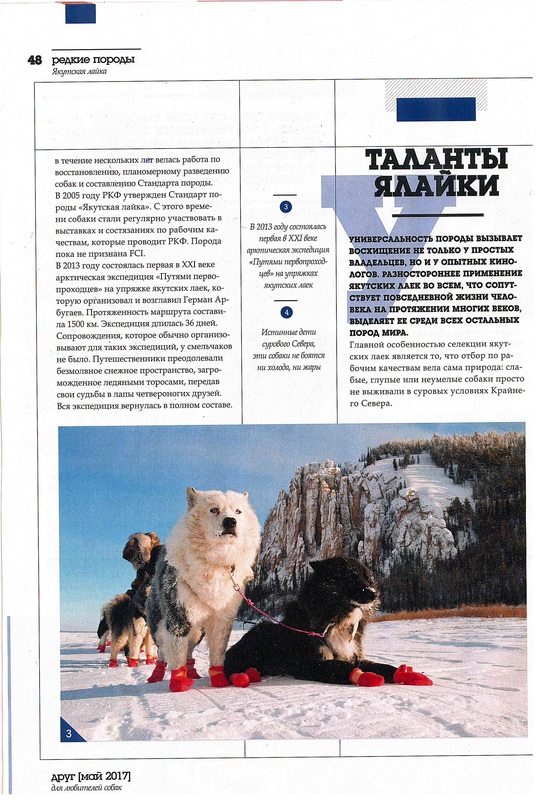 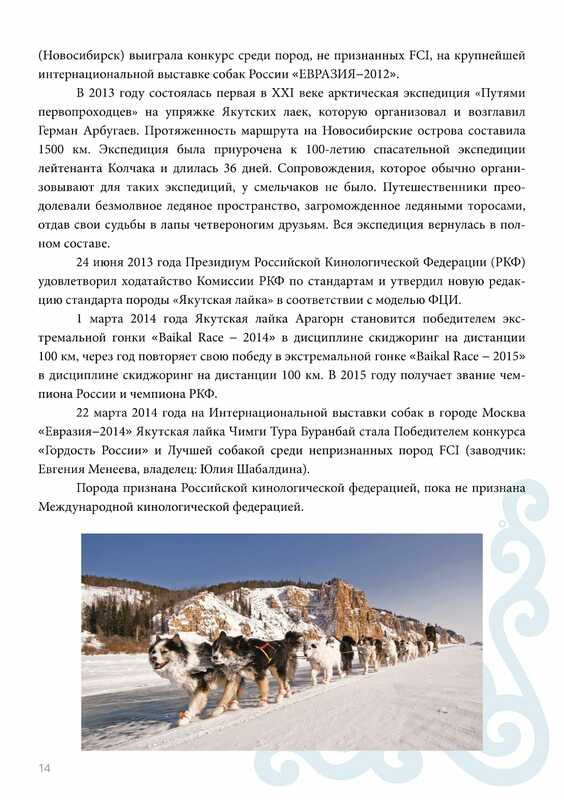 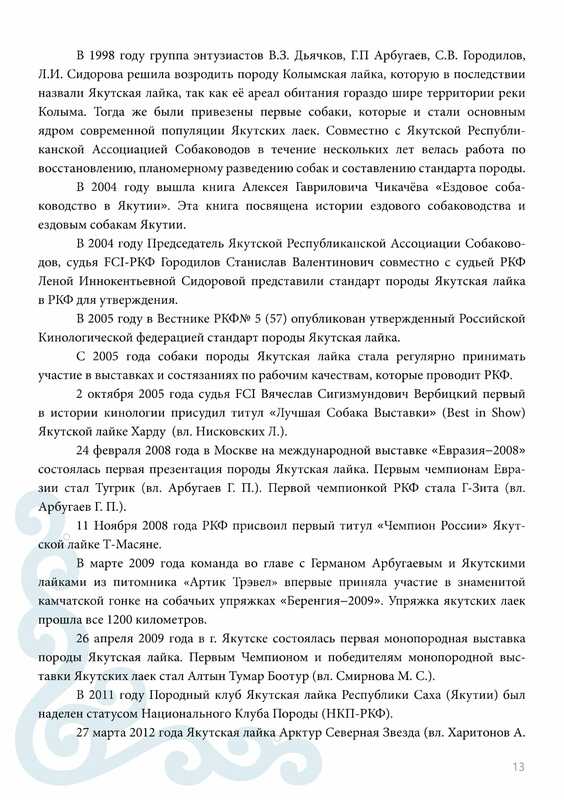 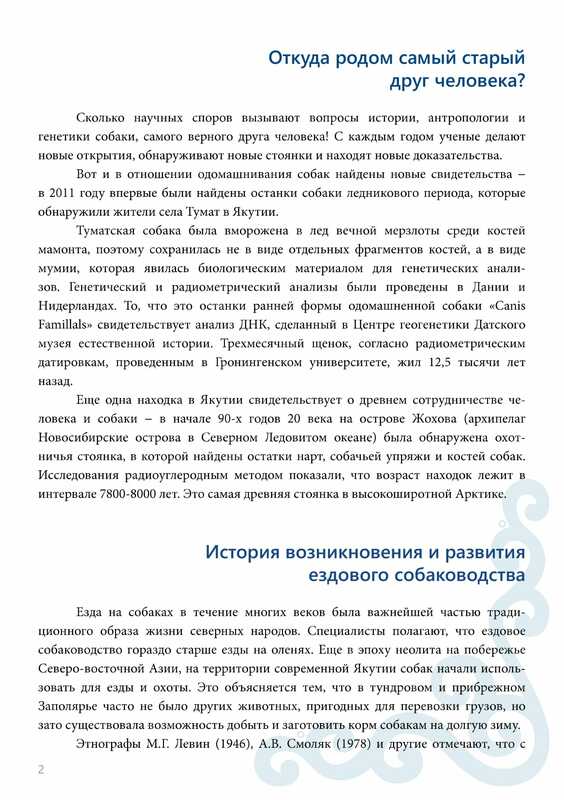 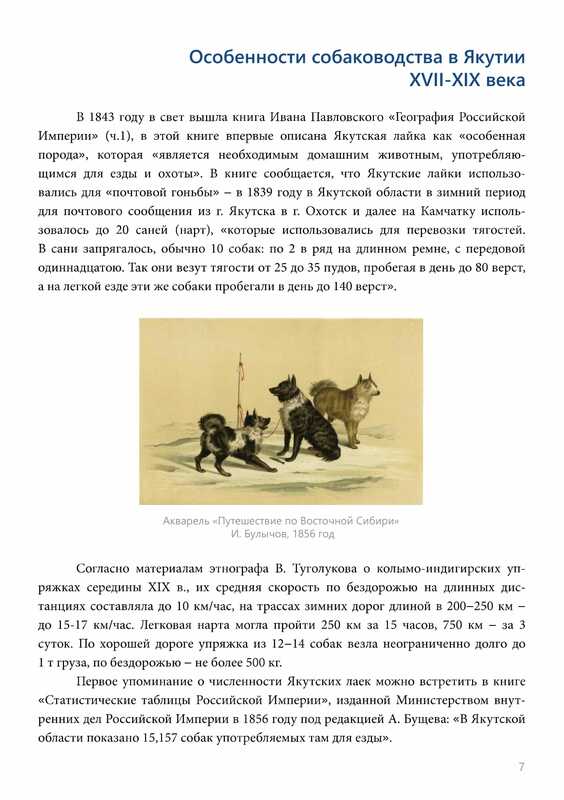 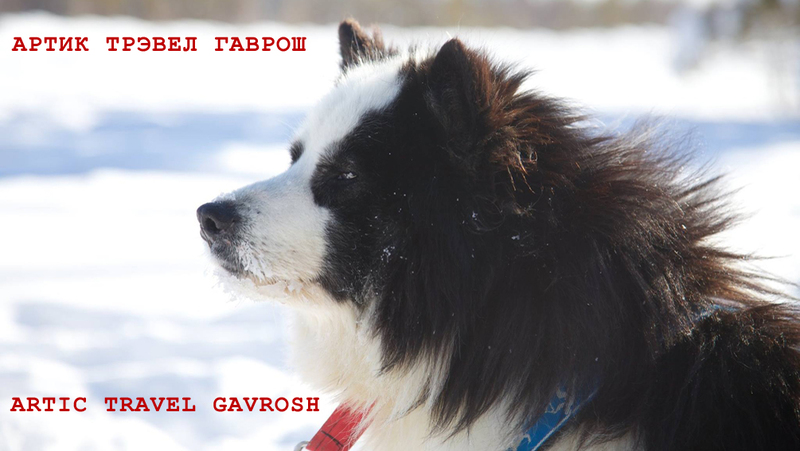 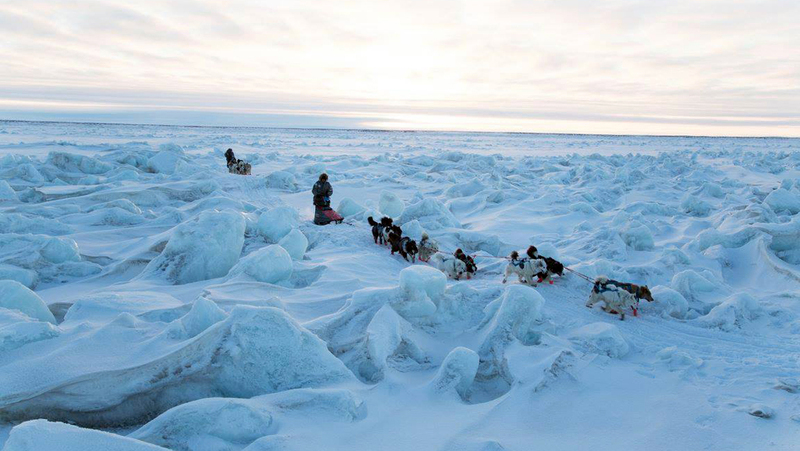 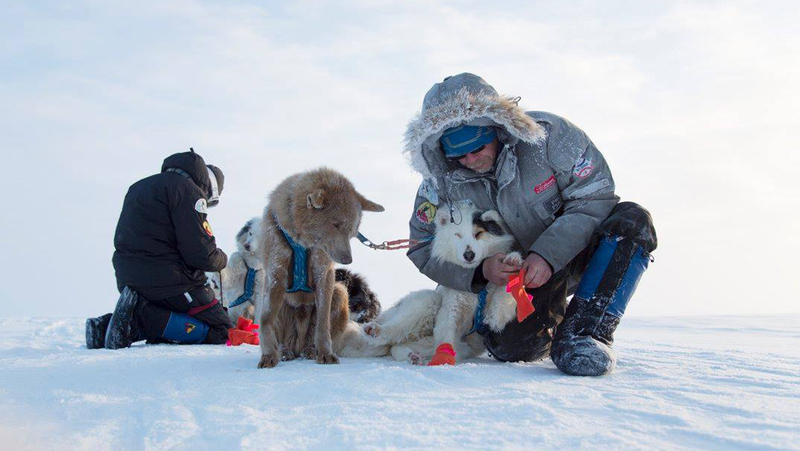 This trait is genetically developed as a consequence of the fact that the dogs were considered as family members the indigenous peoples of Yakutia, they gave warmth to dogs in return for the faithfulness and boundless confidence. 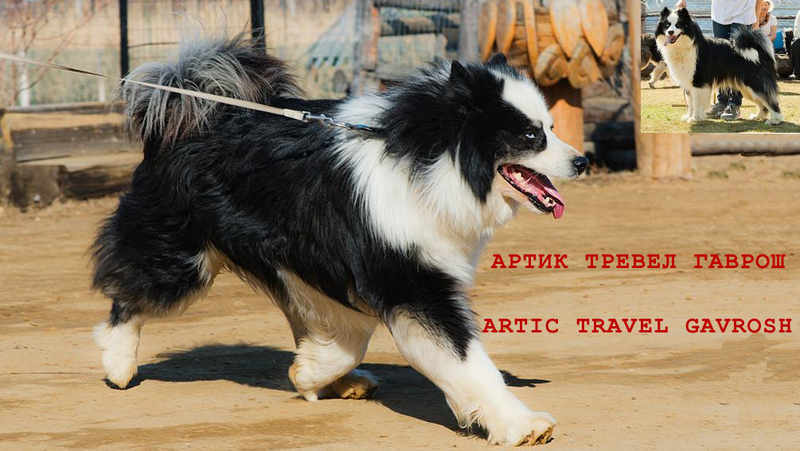 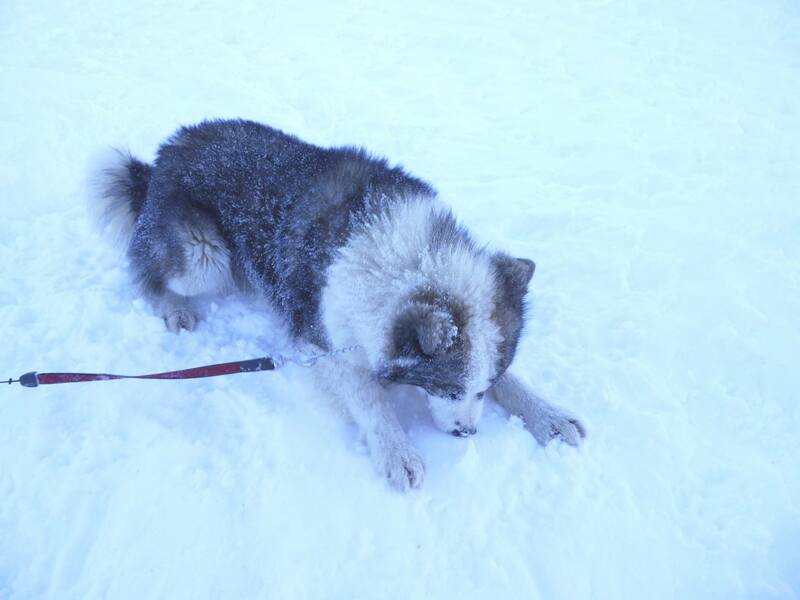 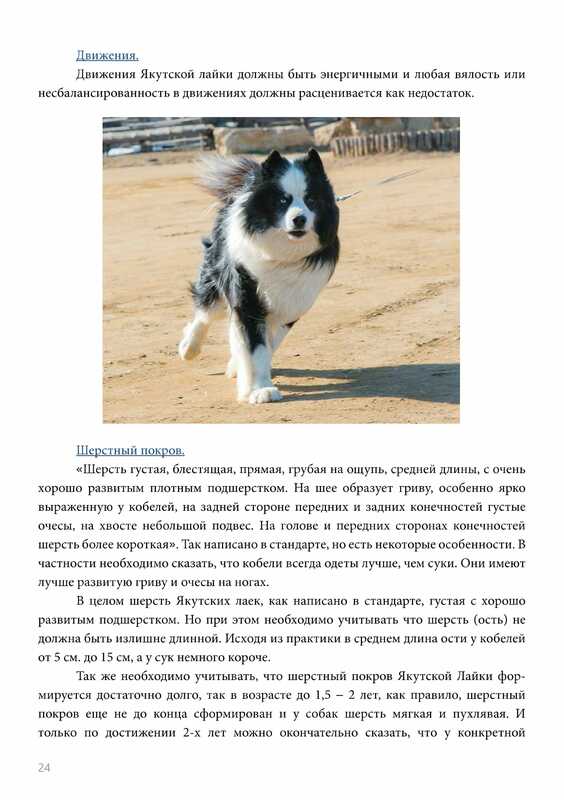 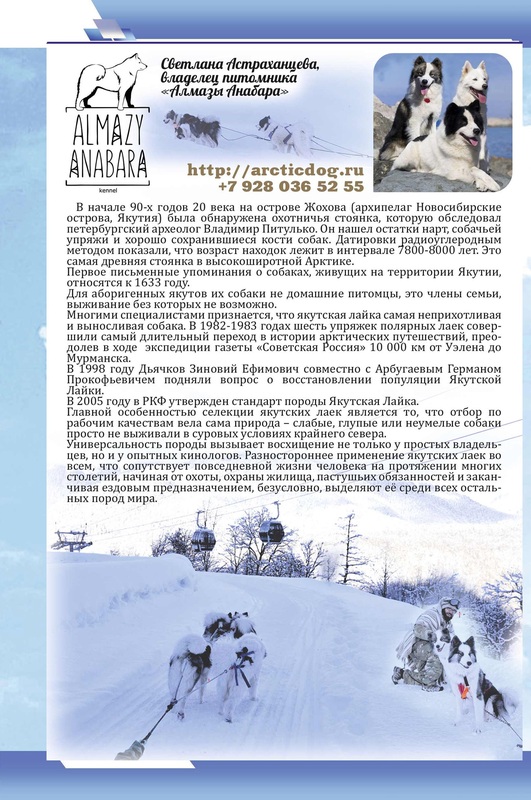 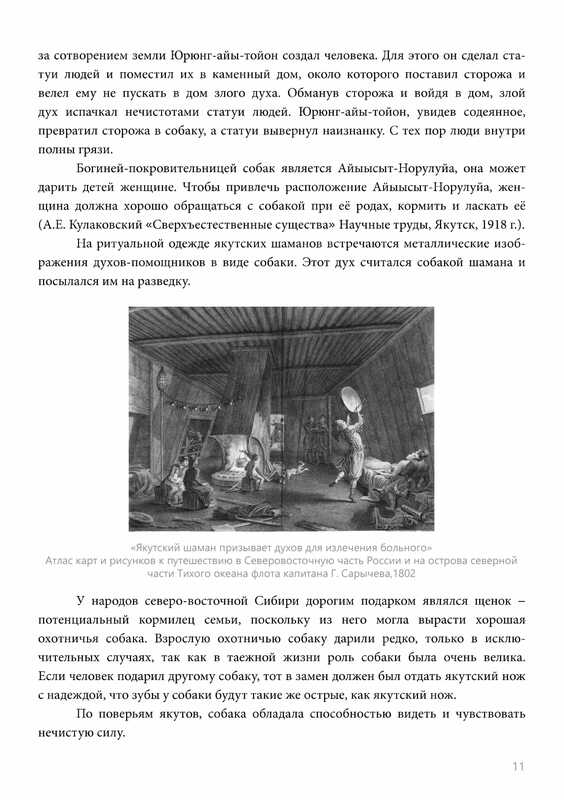 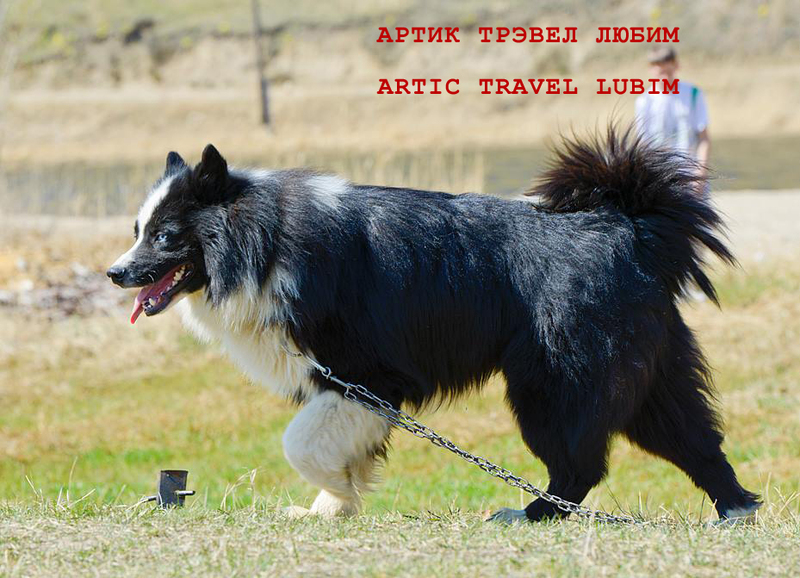 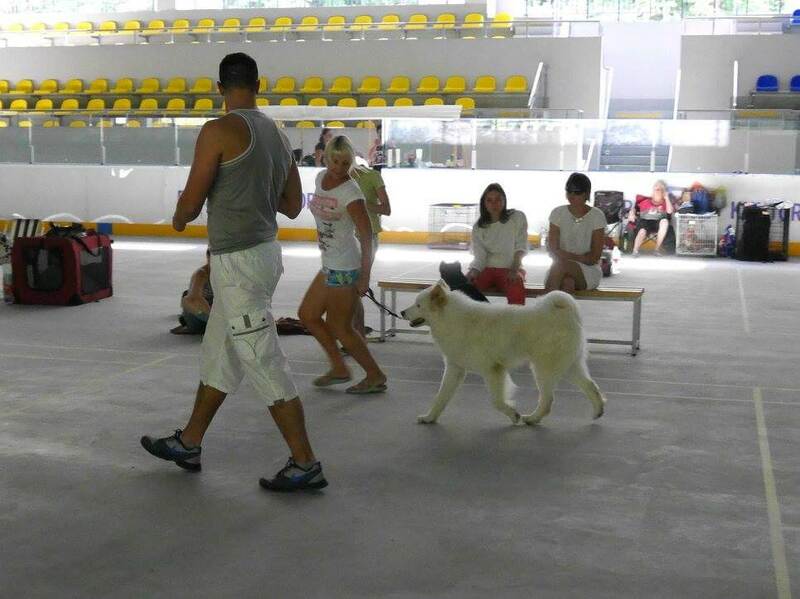 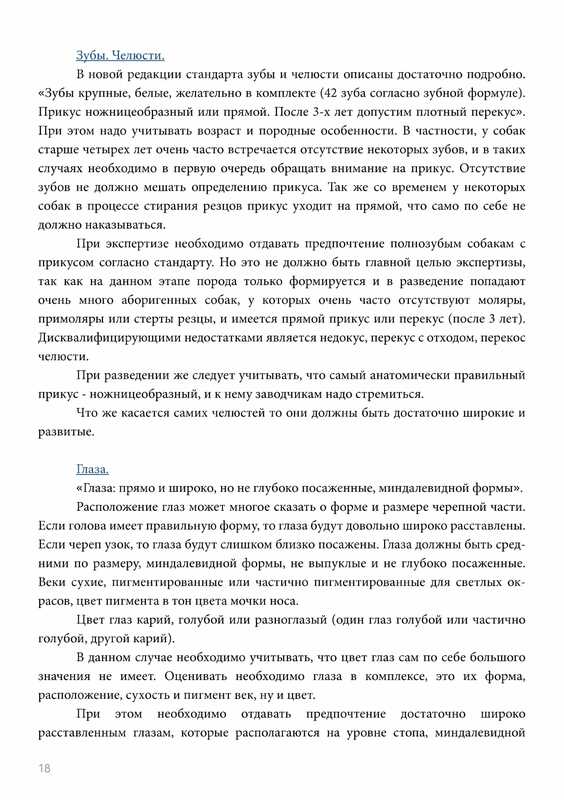 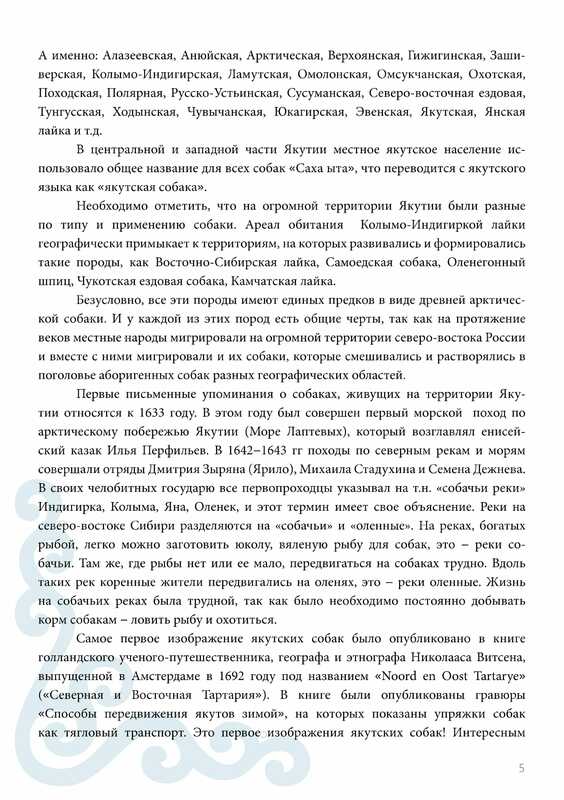 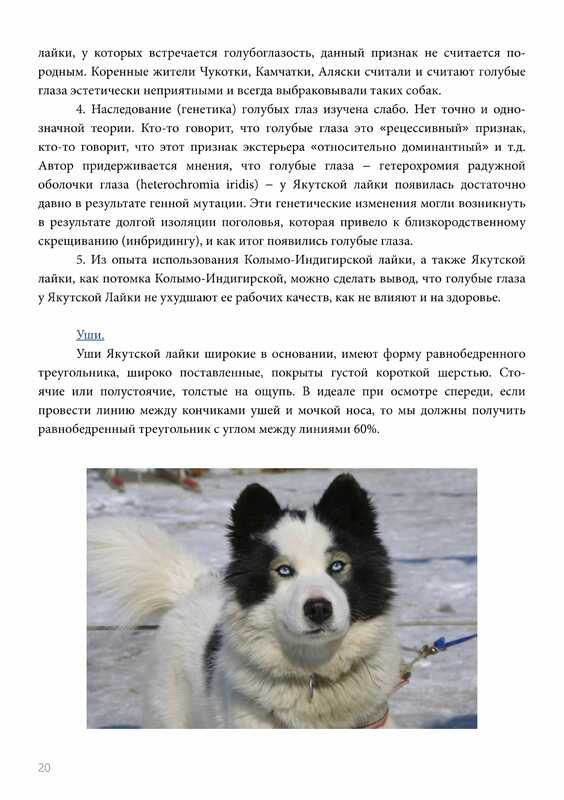 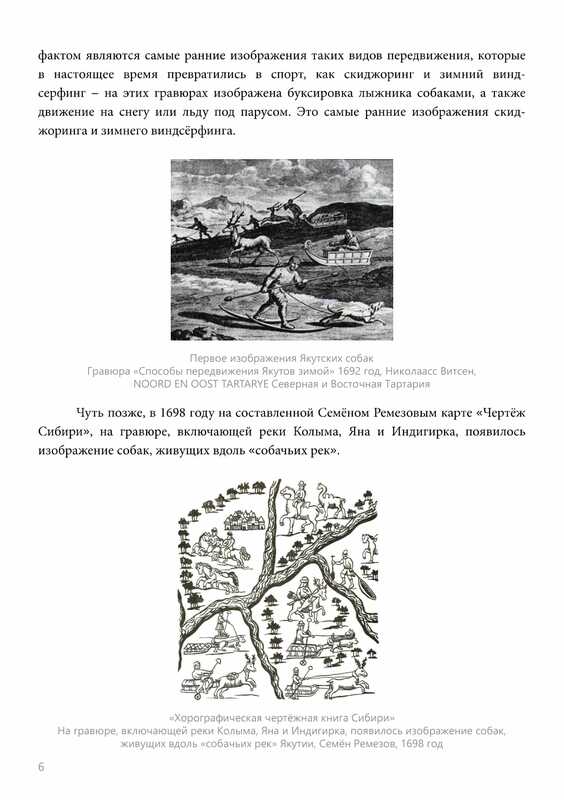 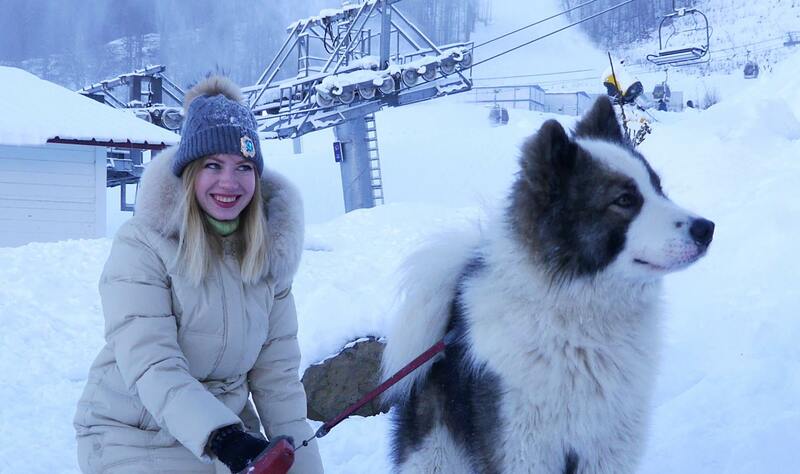 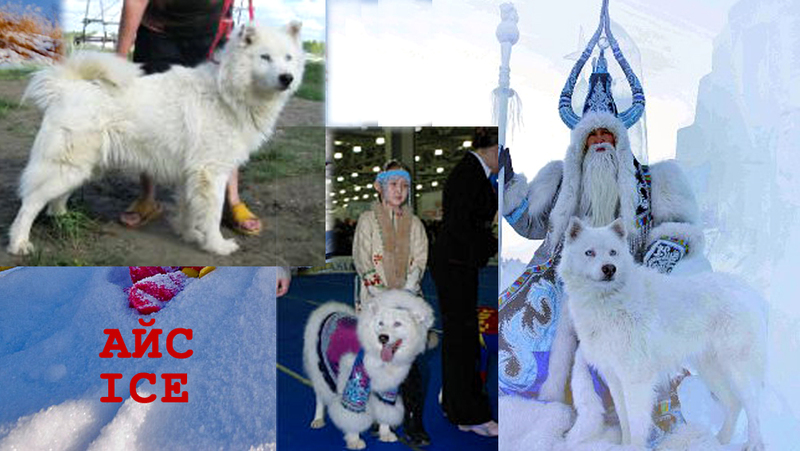 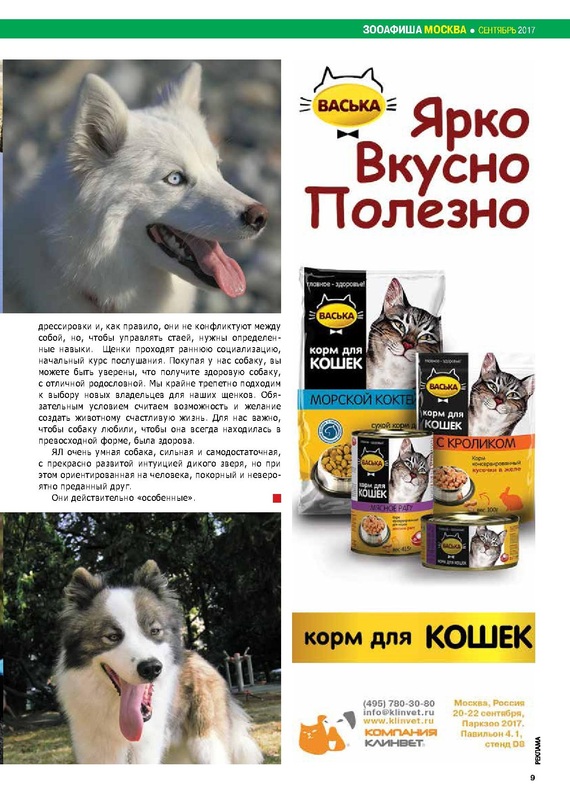 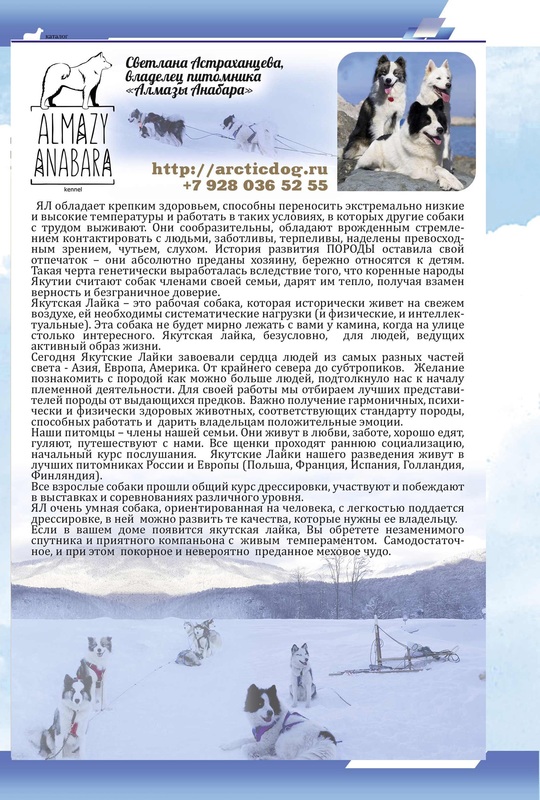 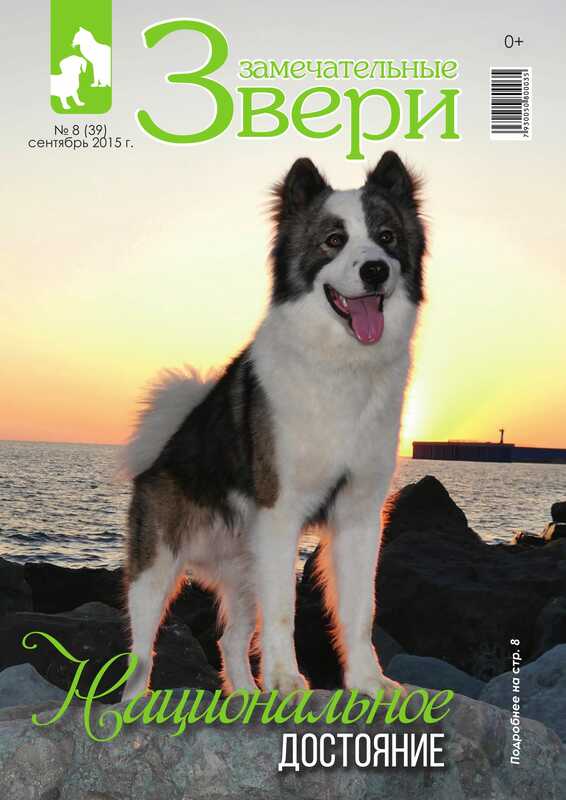 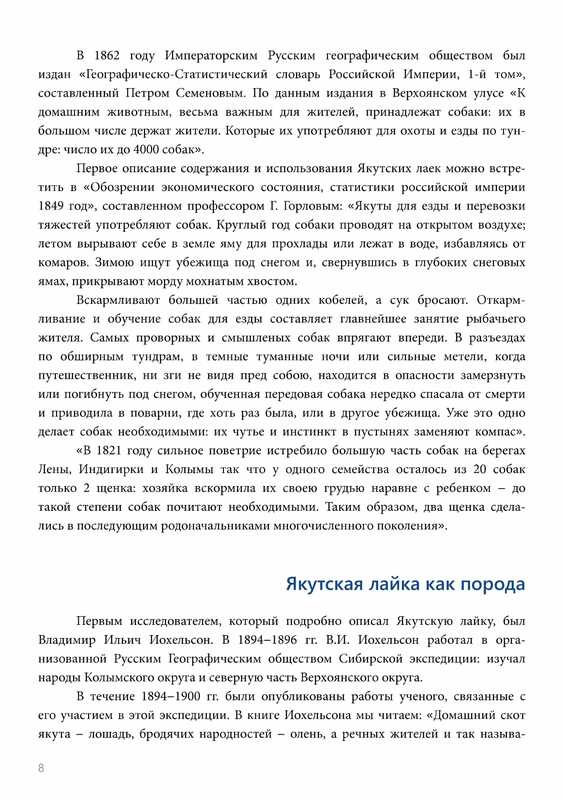 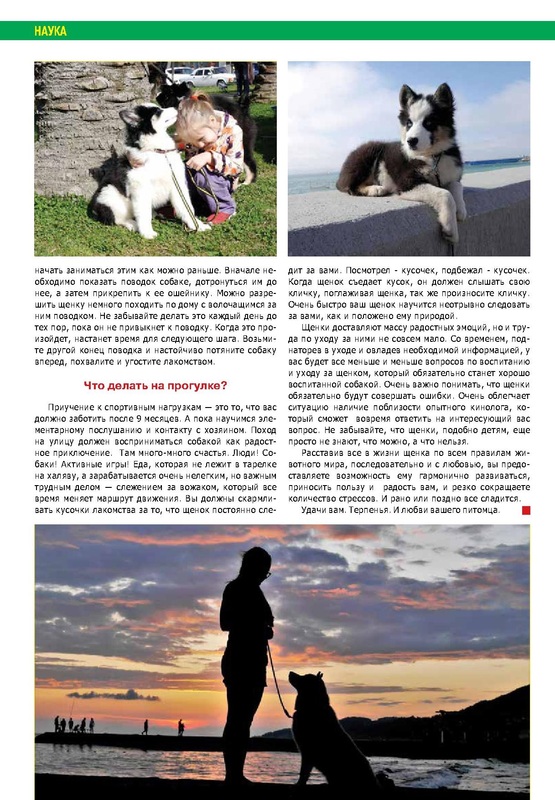 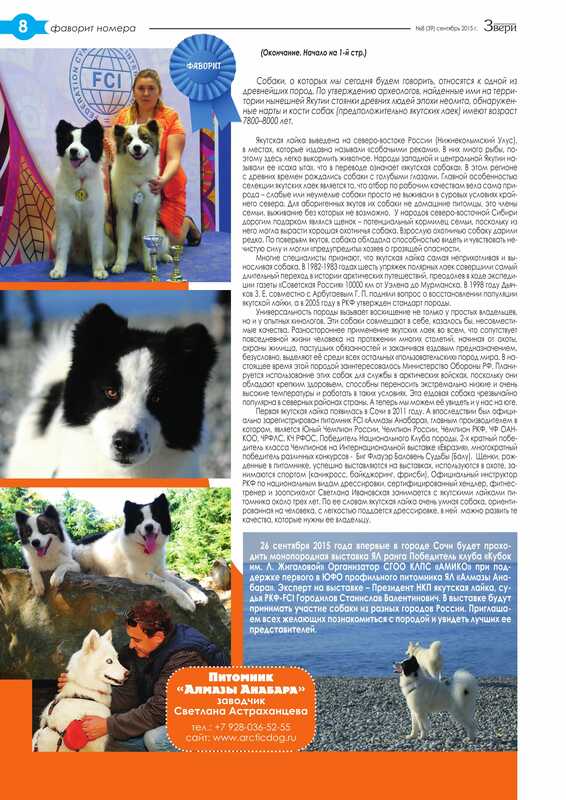 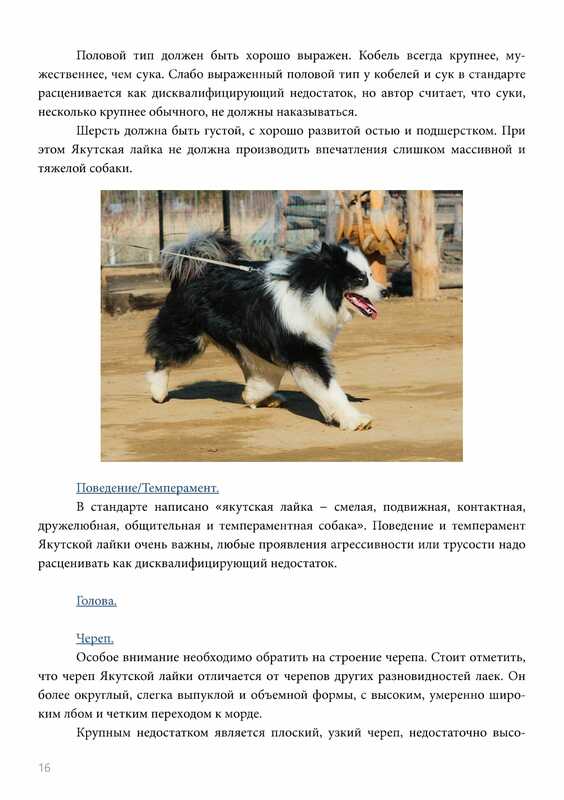 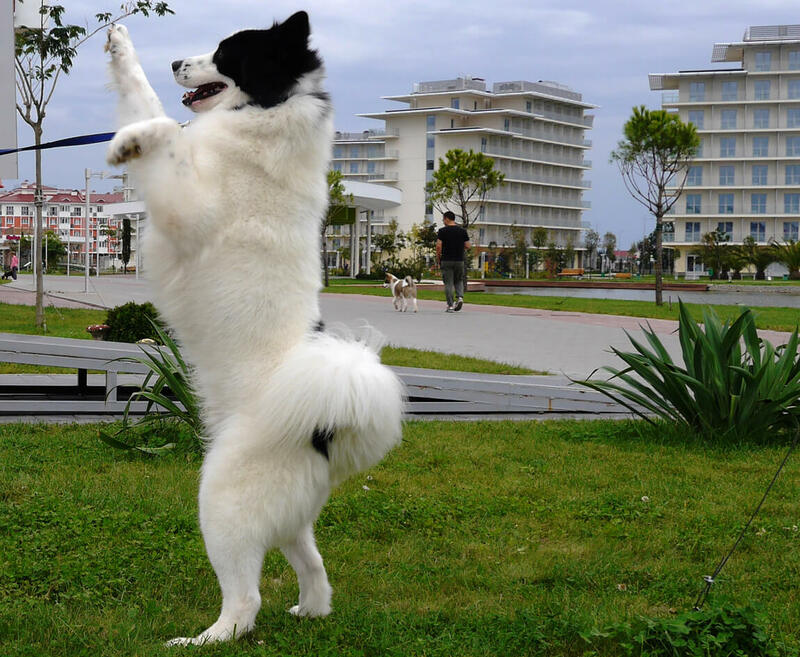 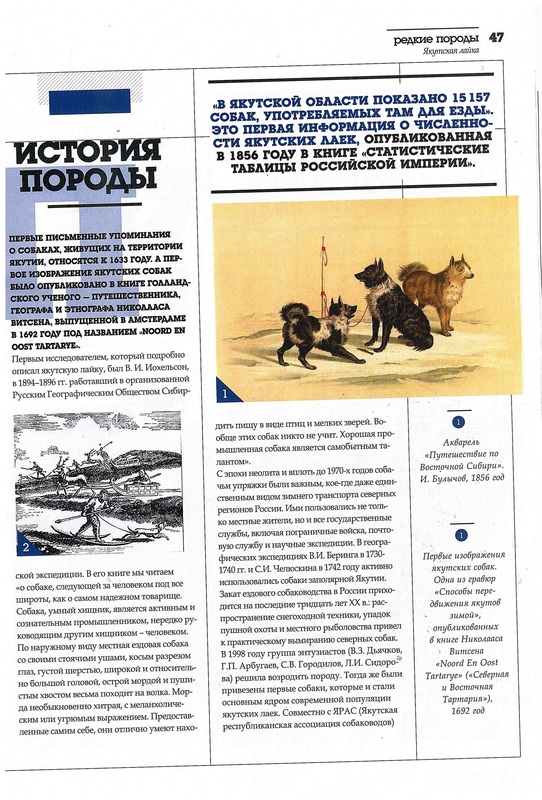 Buy Yakutian Laika means be sure that you can teach the dog to various types of services. 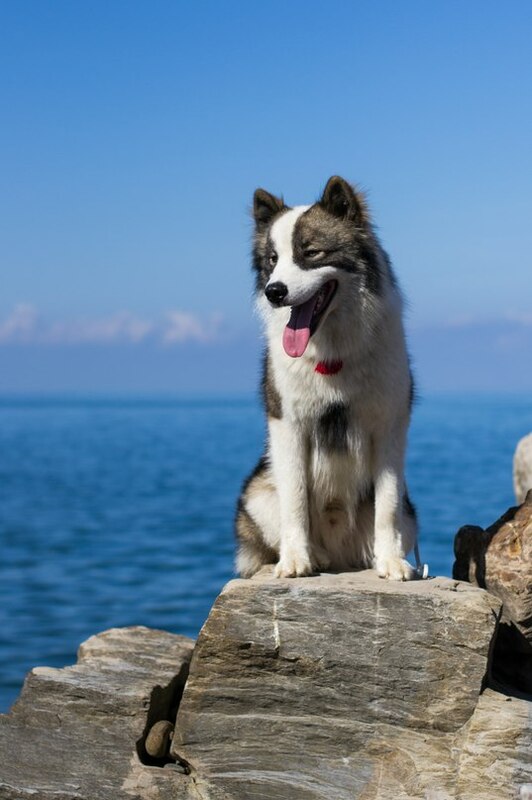 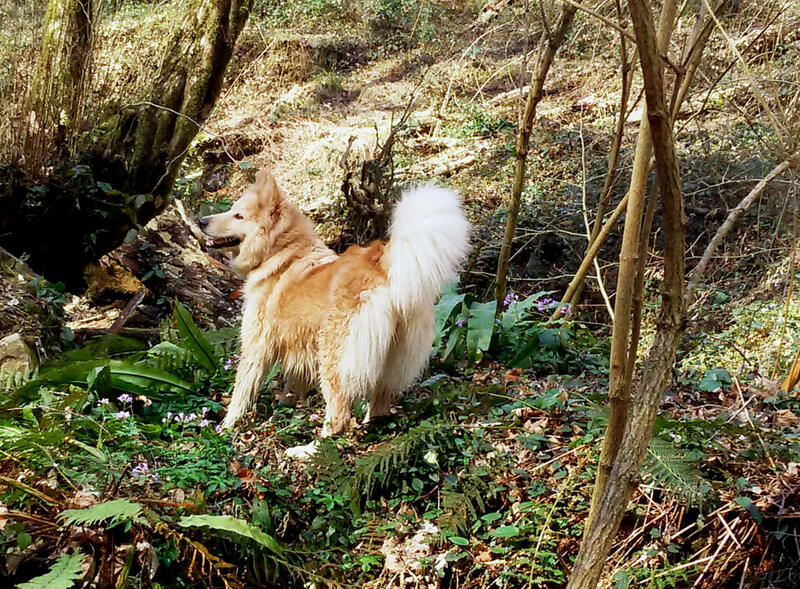 Due to a lively temperament and intellect of pet, you will get an indispensable companion during a hike or walk and a pleasant companion at home. 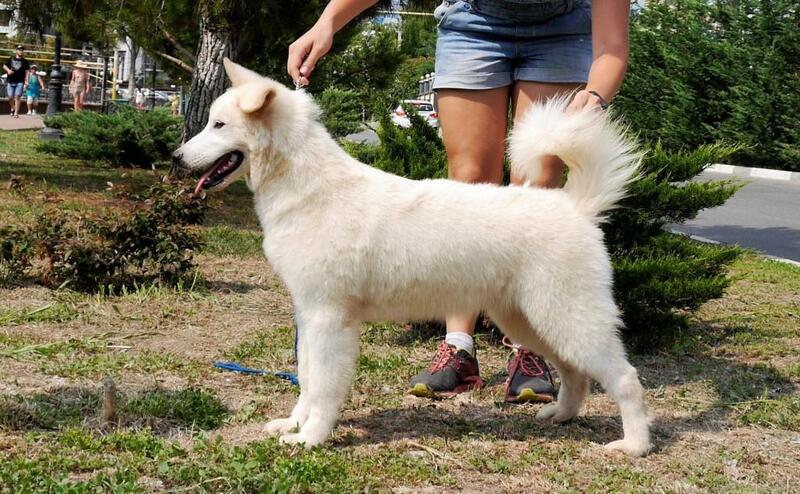 Freedom-loving, but dedicated, self-sufficient, but submissive furry miracle from our kennel will present you wonderful moments of communication. 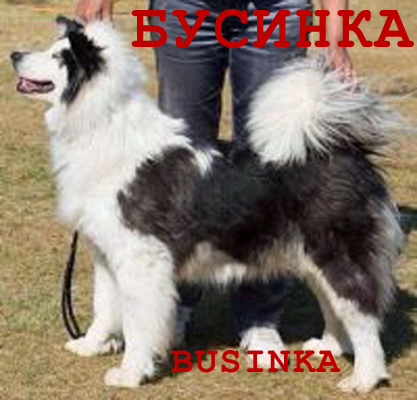 • Coat: shiny, thick, straight, coarse to the touch, of medium length. 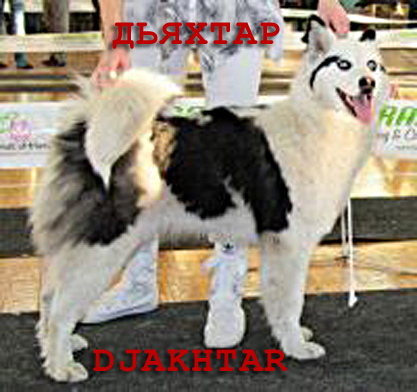 Undercoat is well-developed. 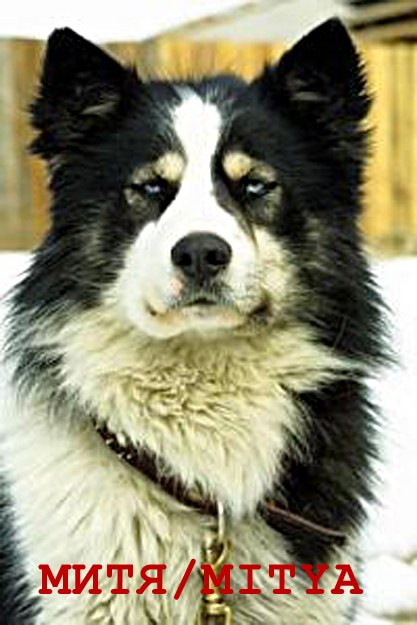 Expressive mane is observed especially in males. 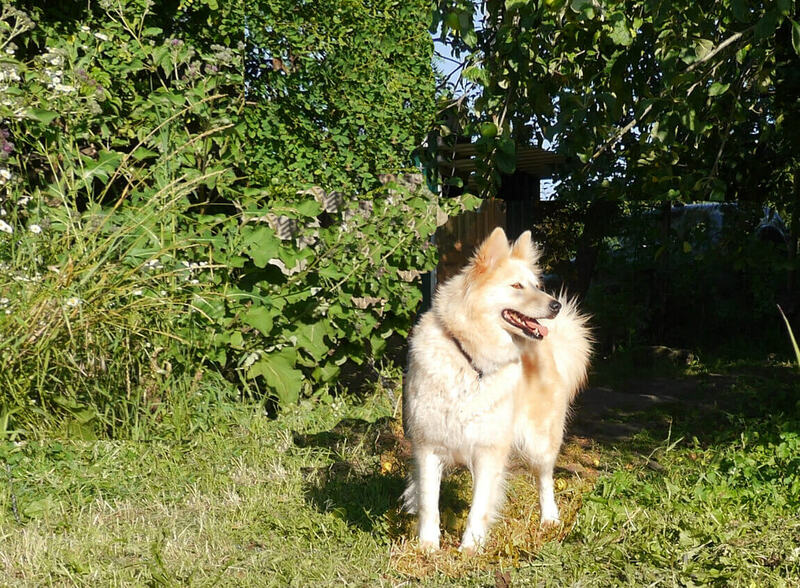 On the rear side of the limbs there are thick feathers. 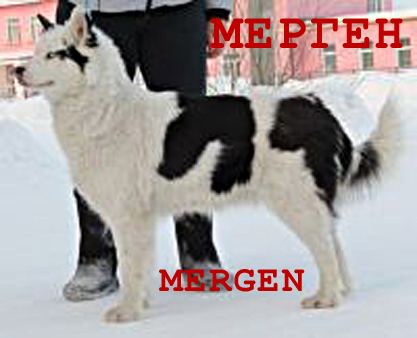 • Movement: elastic, fast gallop, energetic trot. 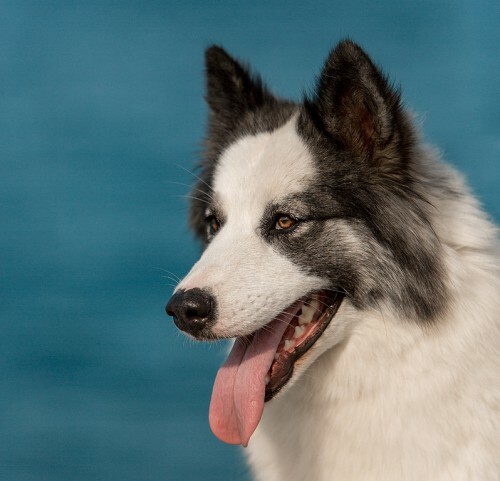 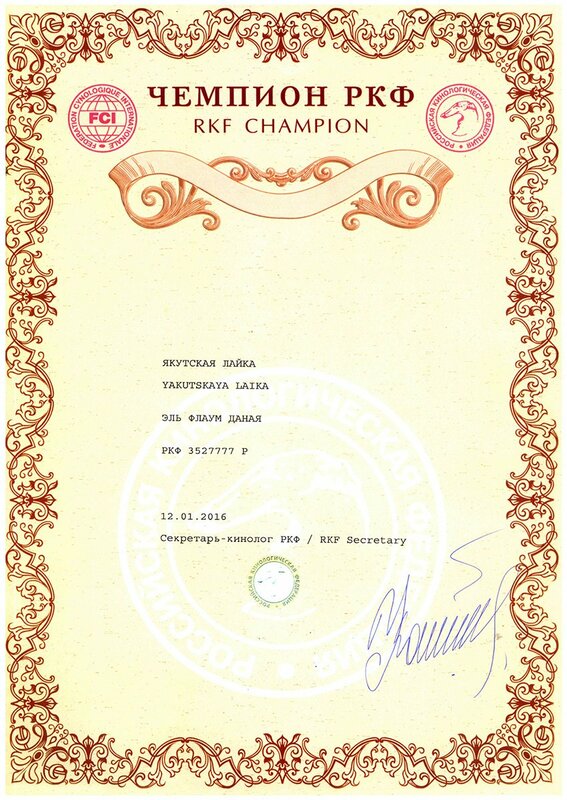 A detailed description of the breed standard read here. 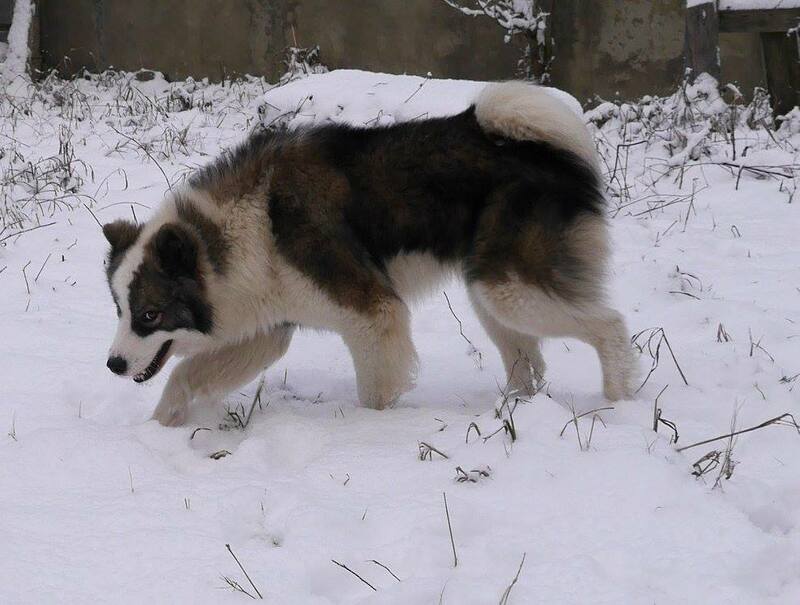 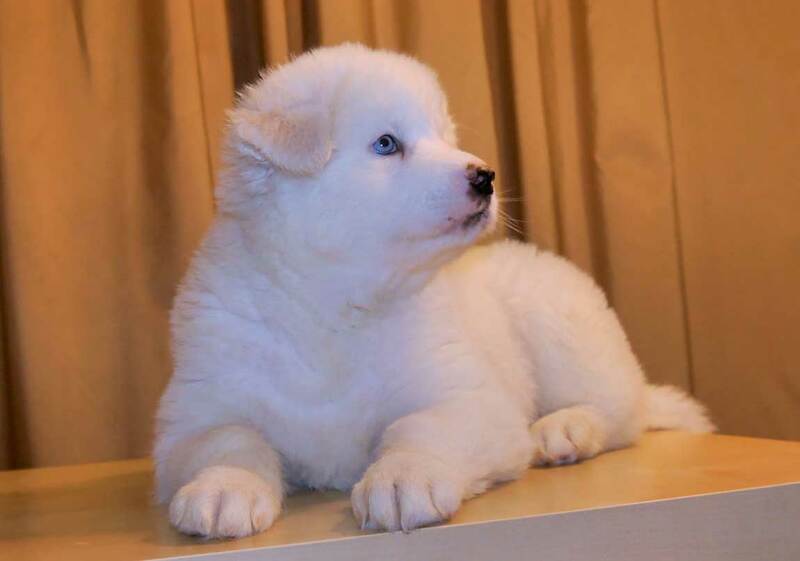 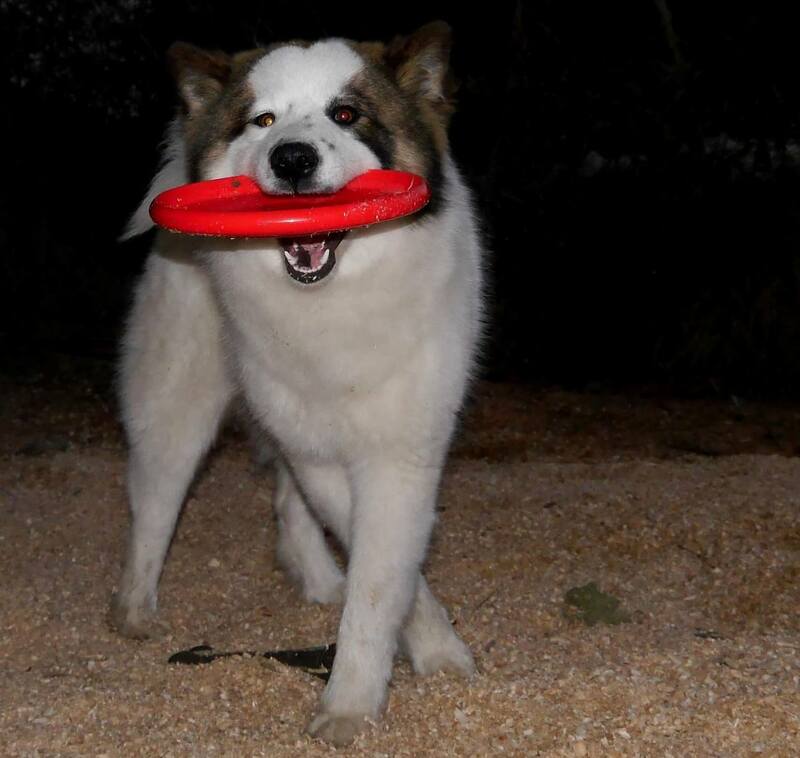 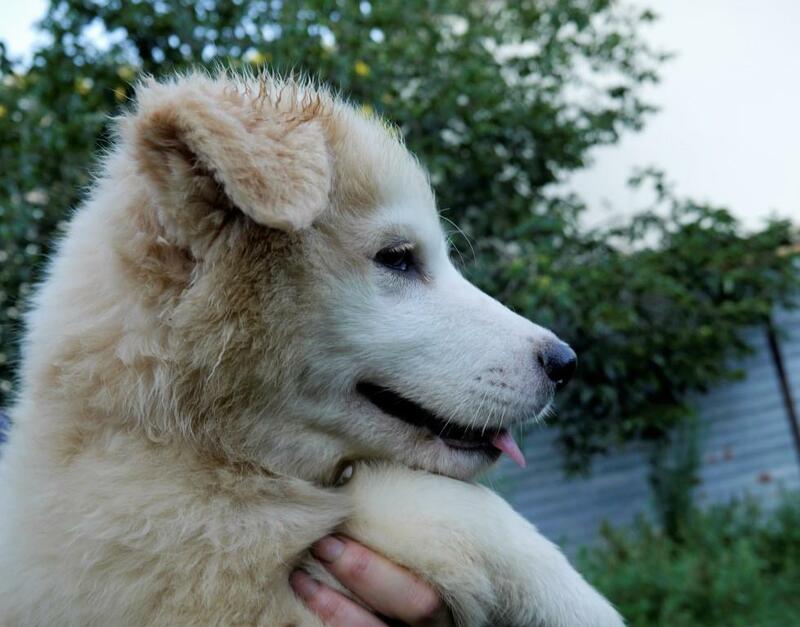 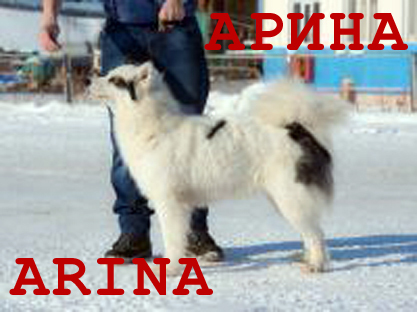 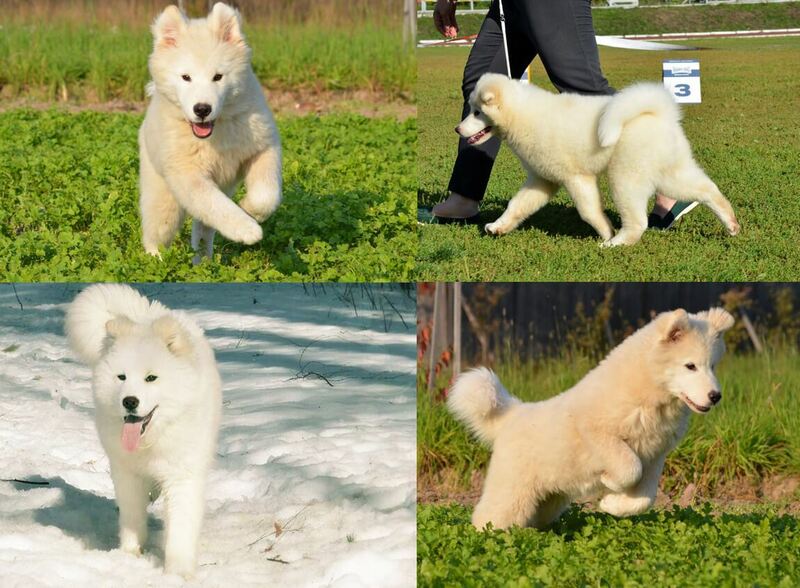 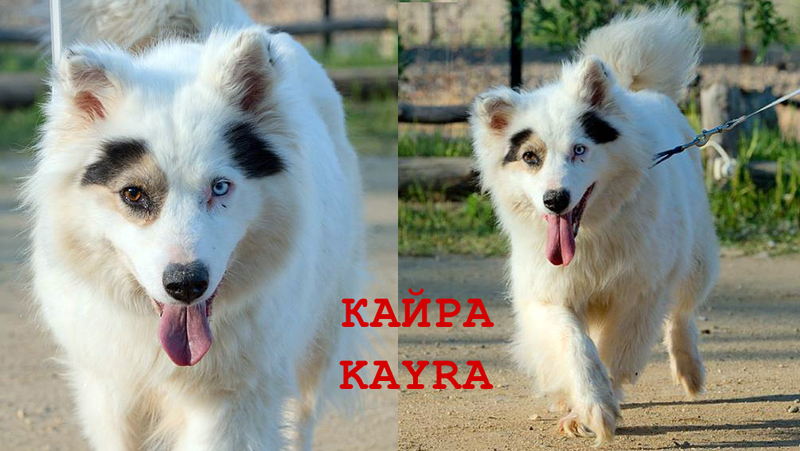 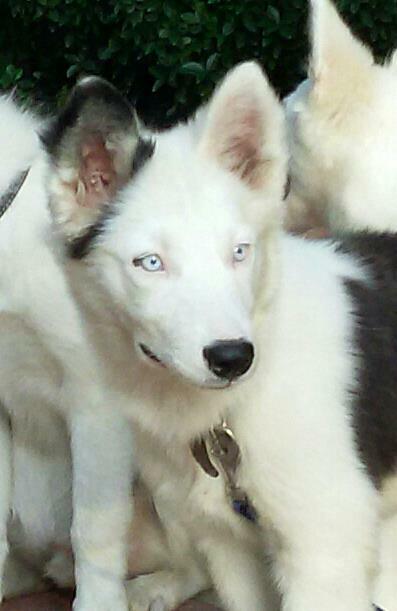 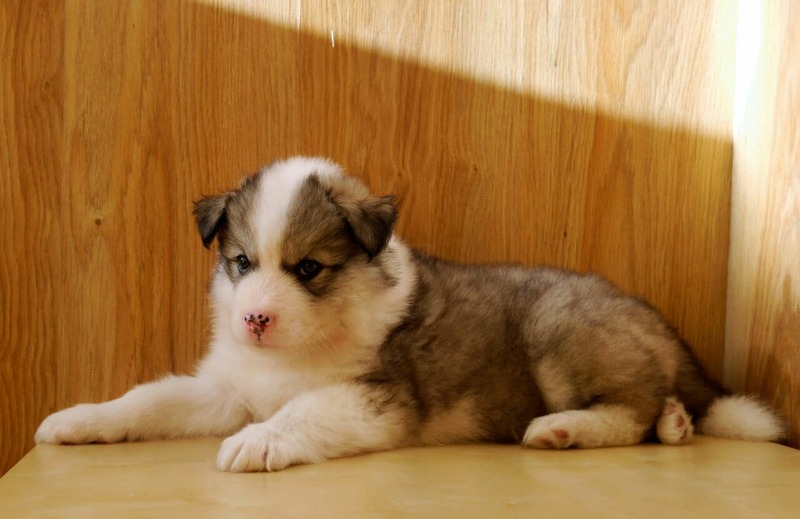 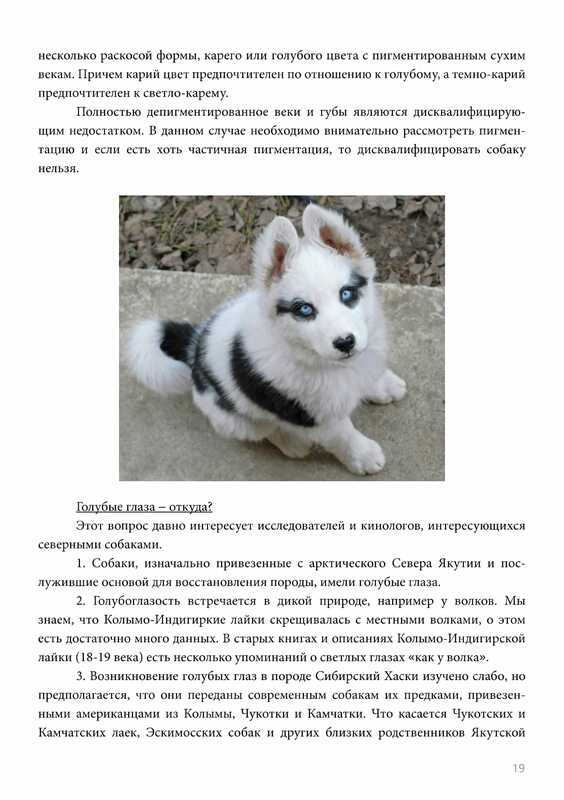 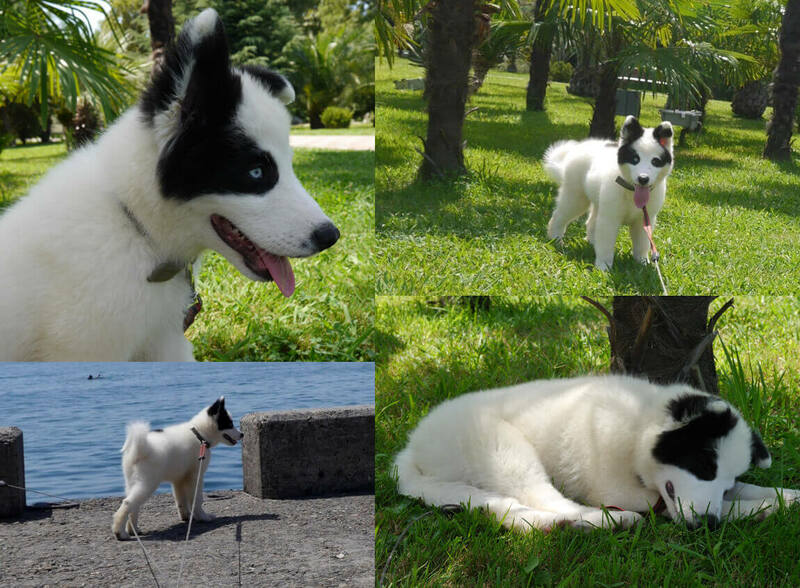 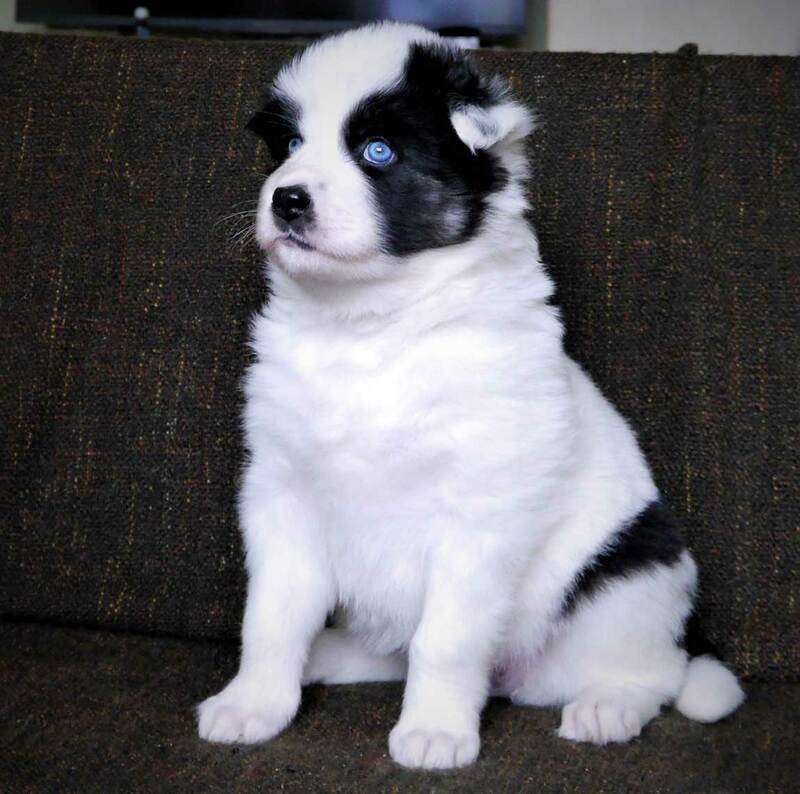 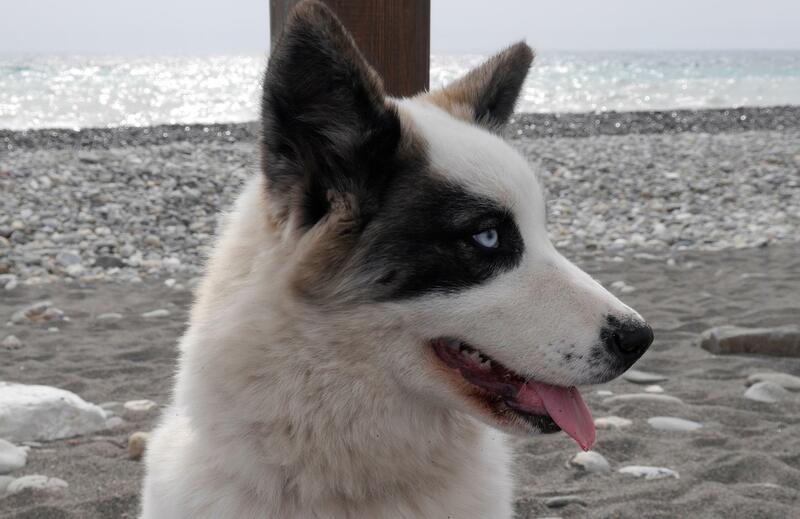 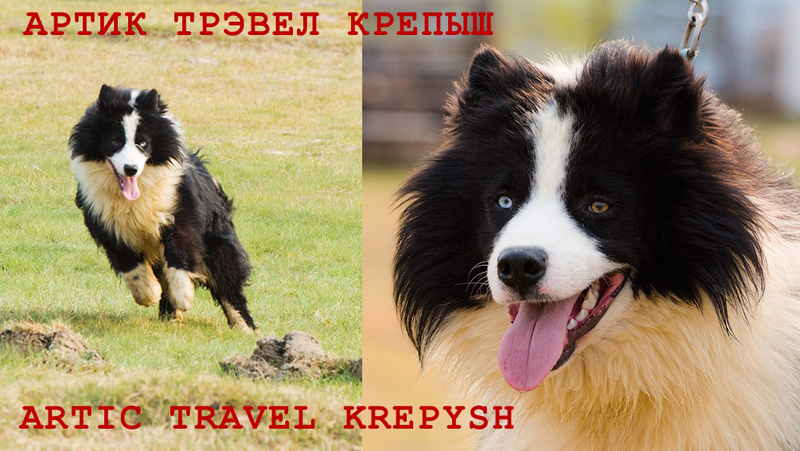 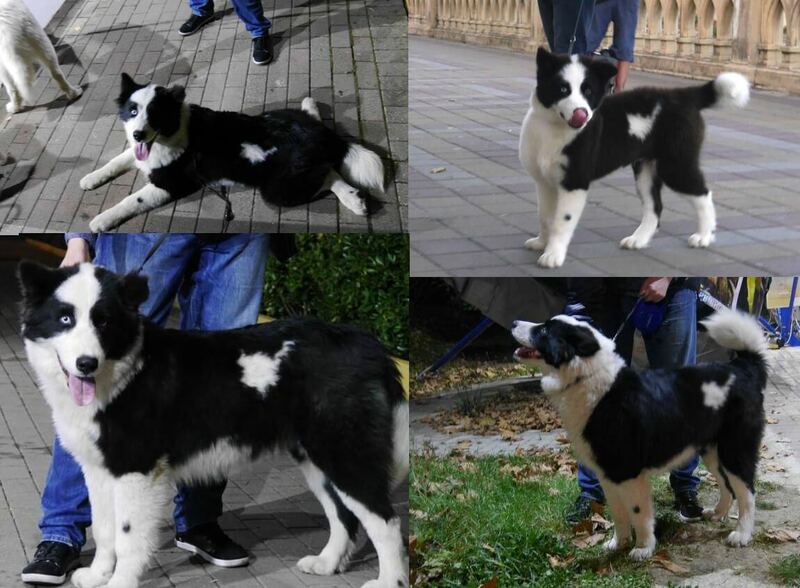 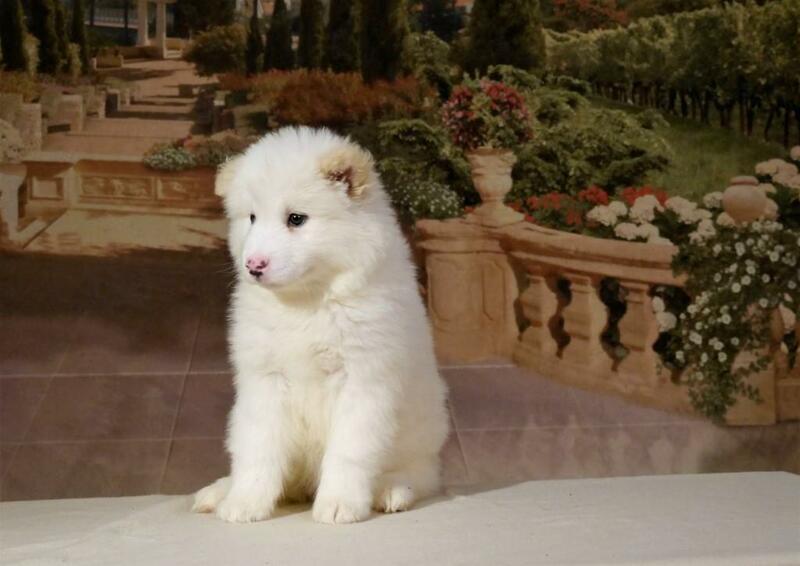 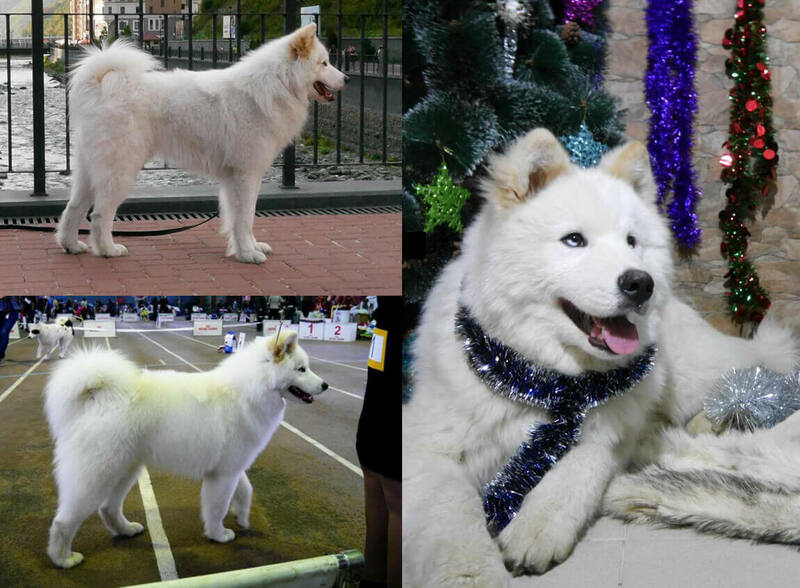 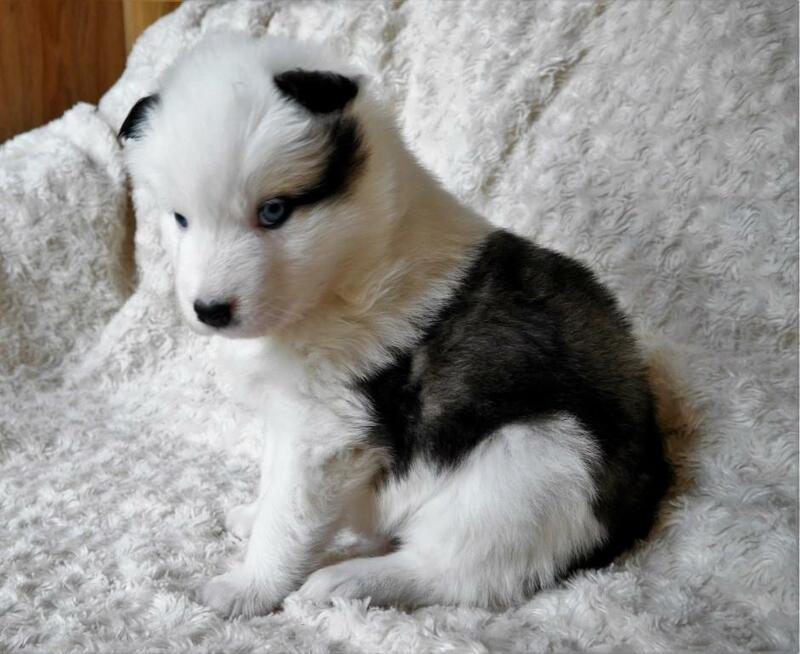 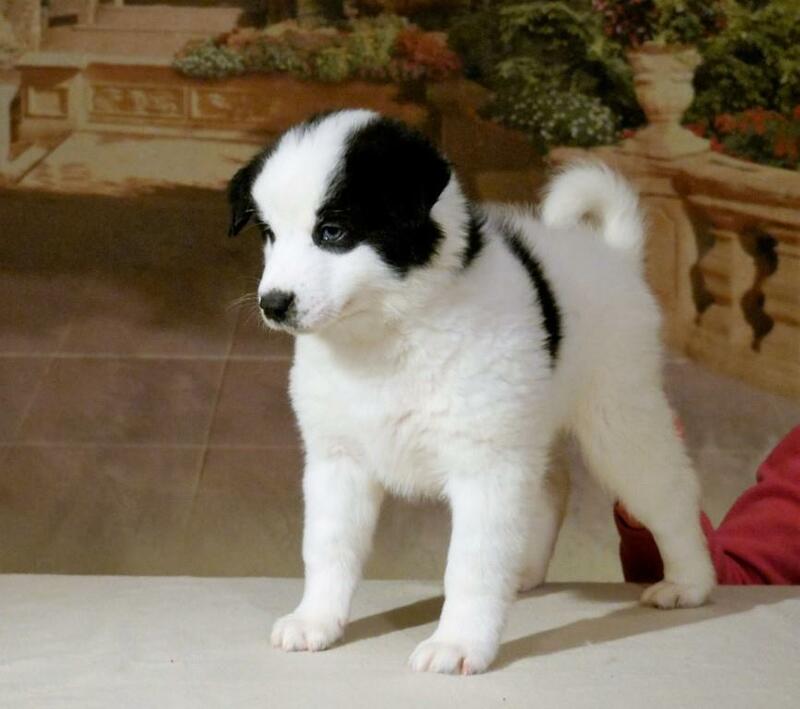 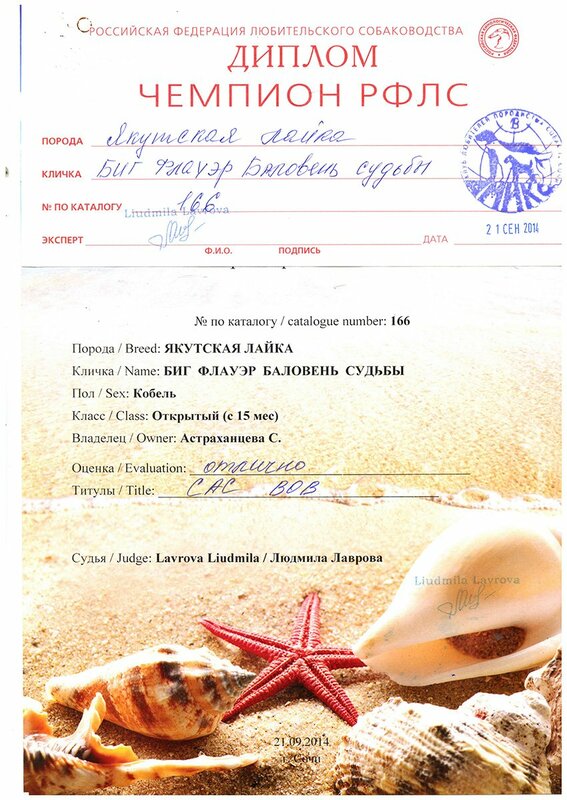 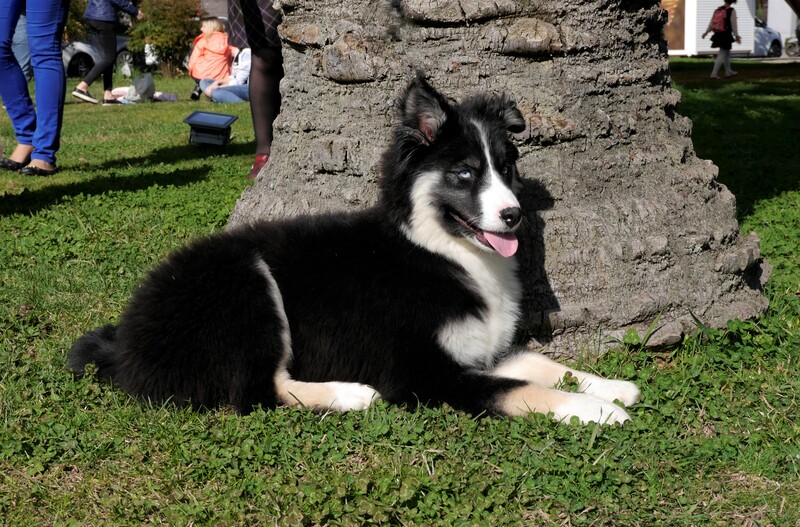 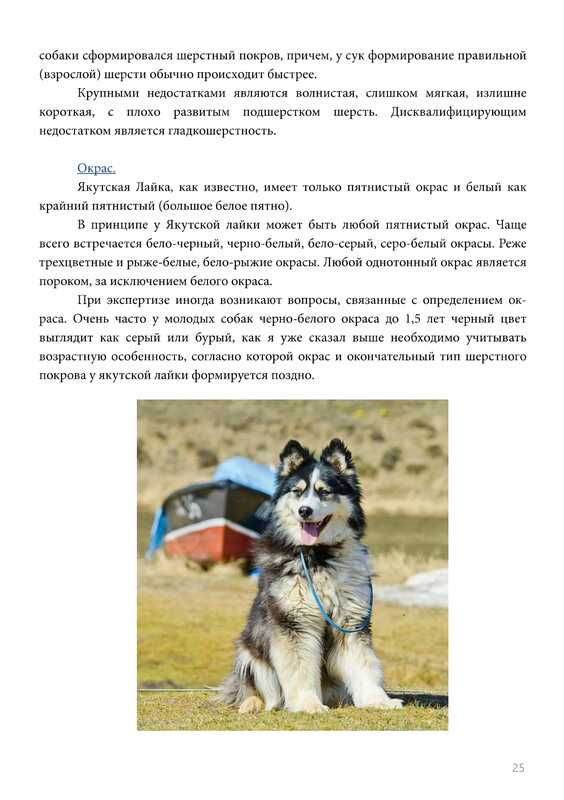 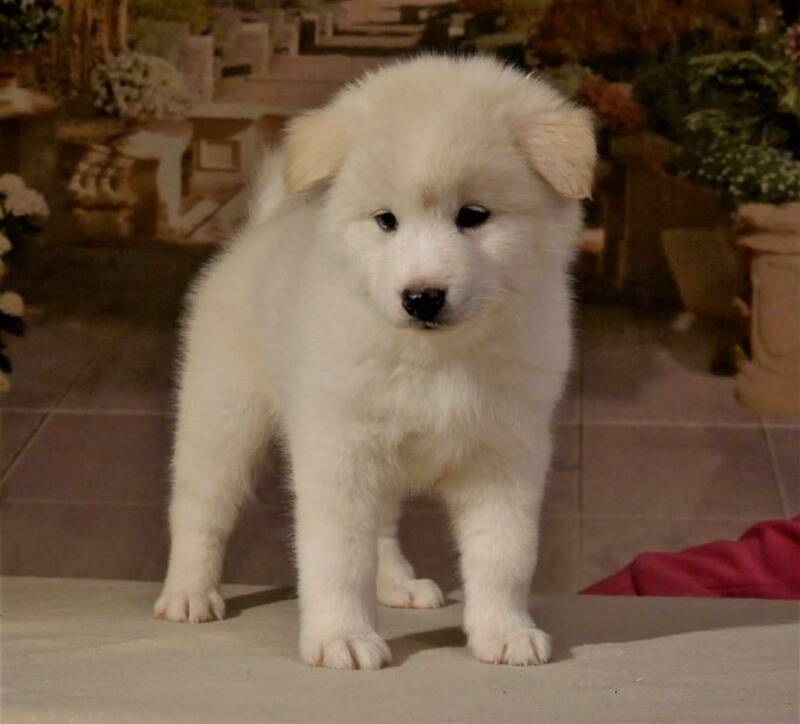 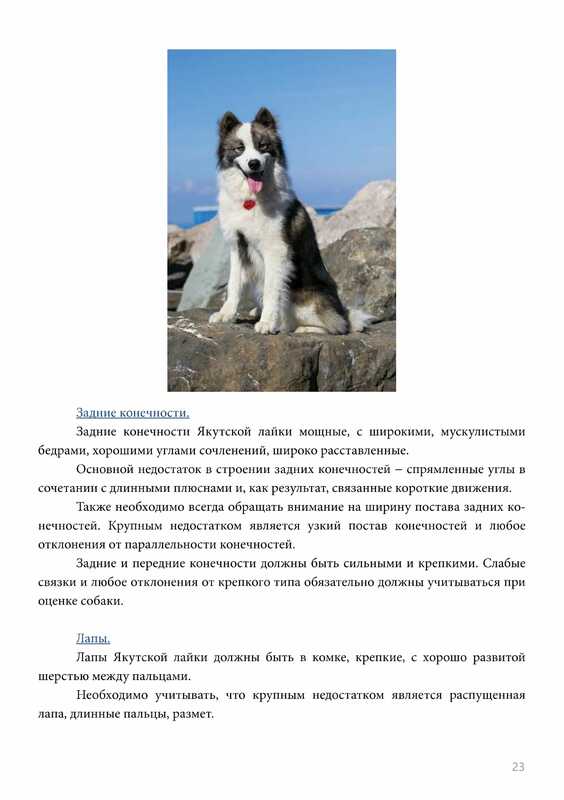 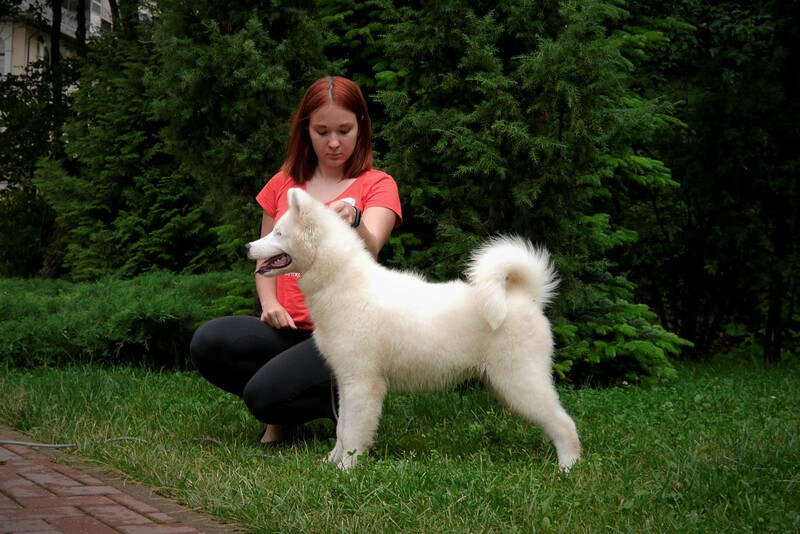 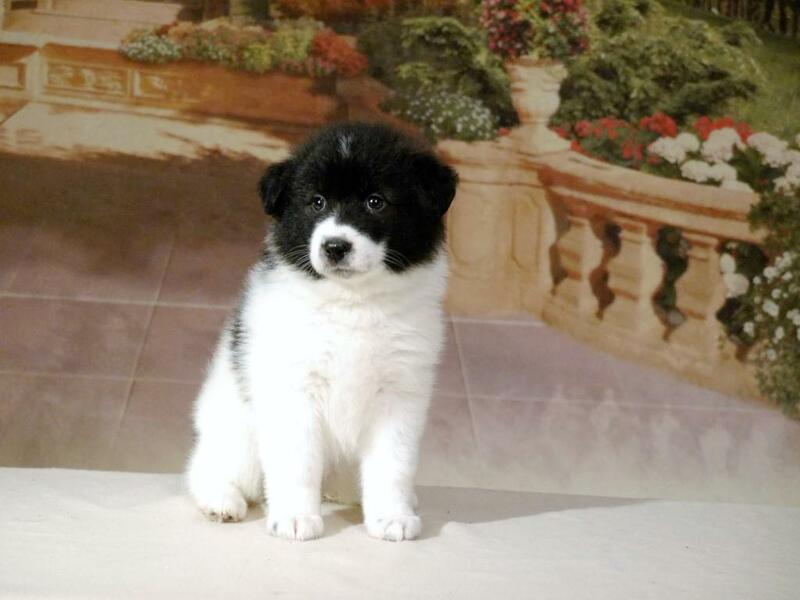 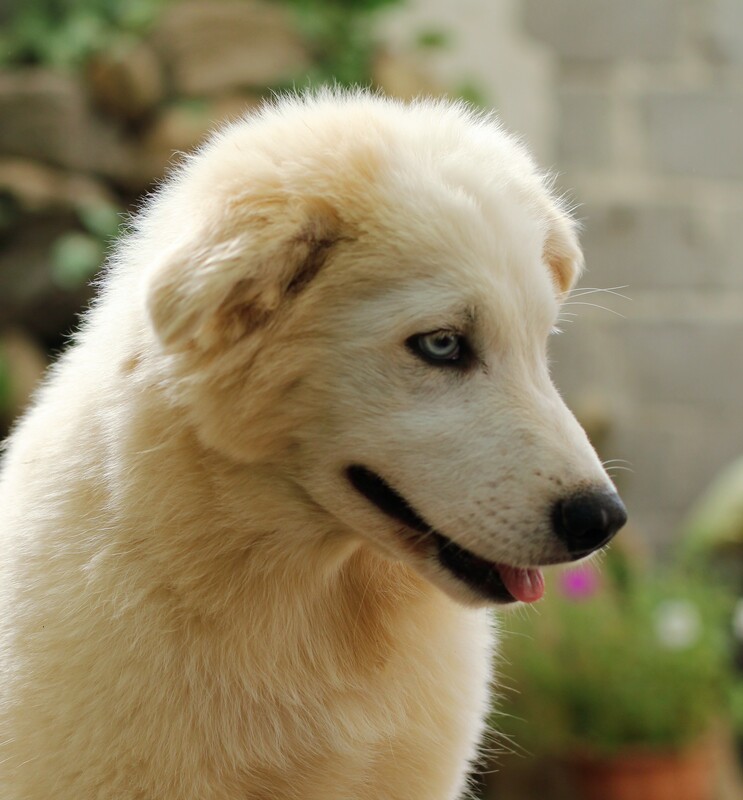 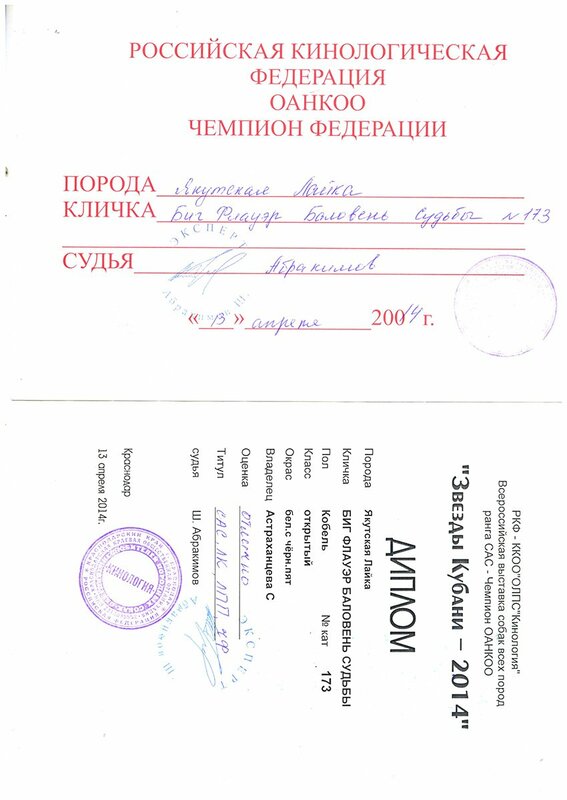 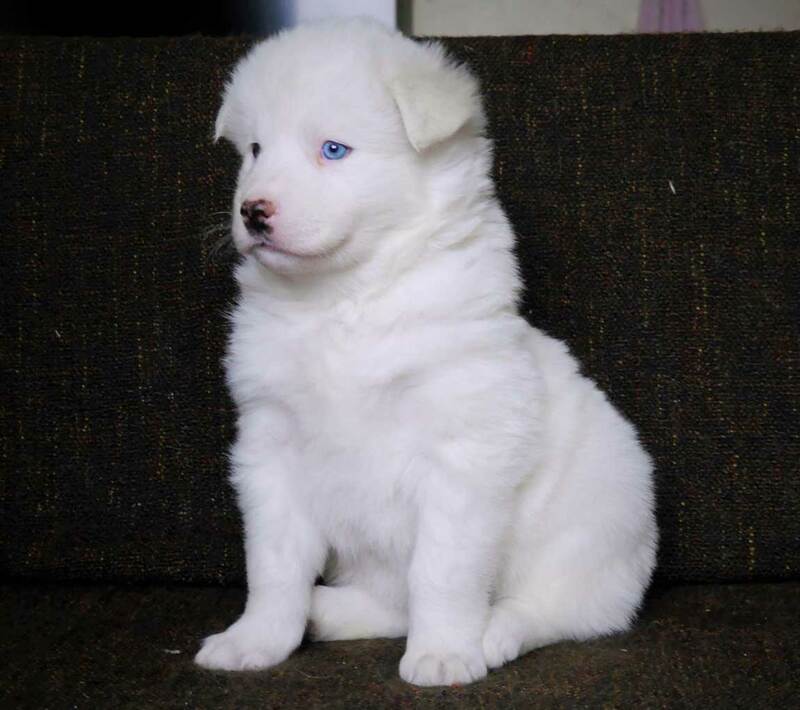 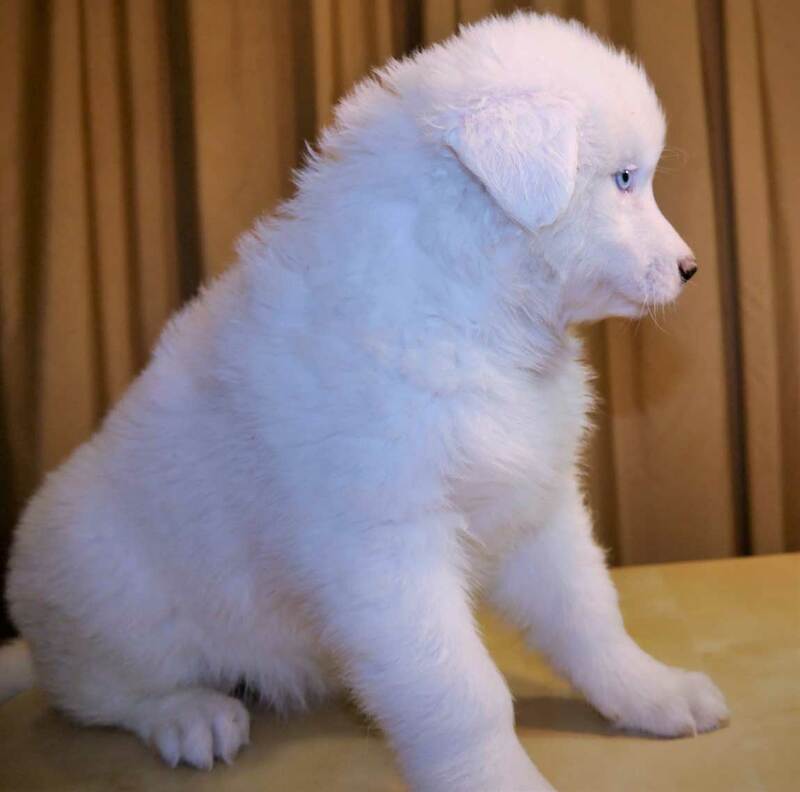 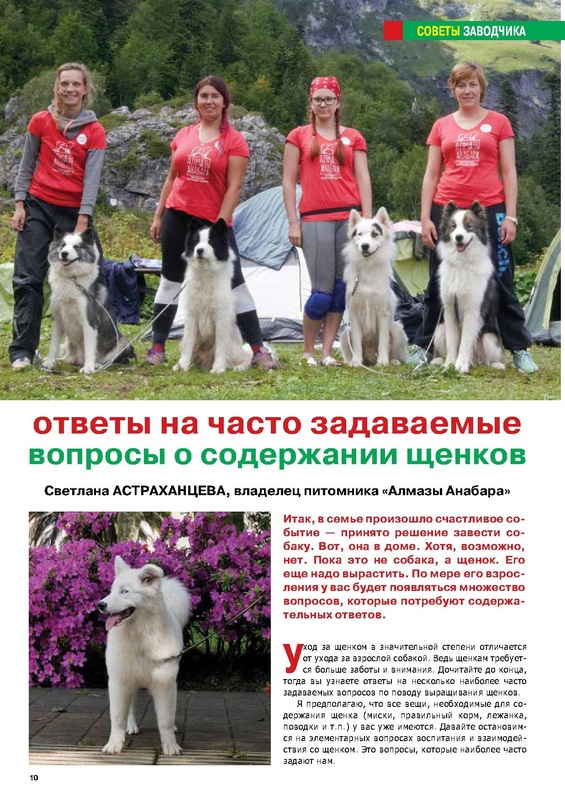 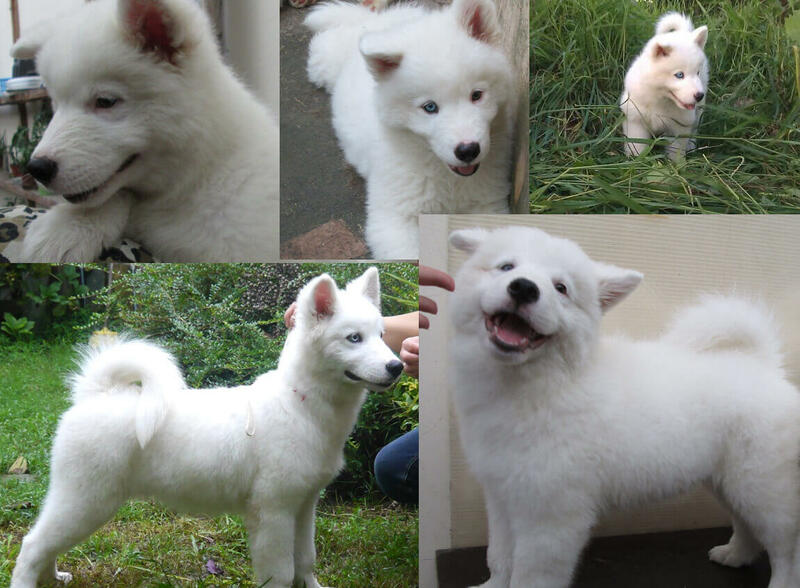 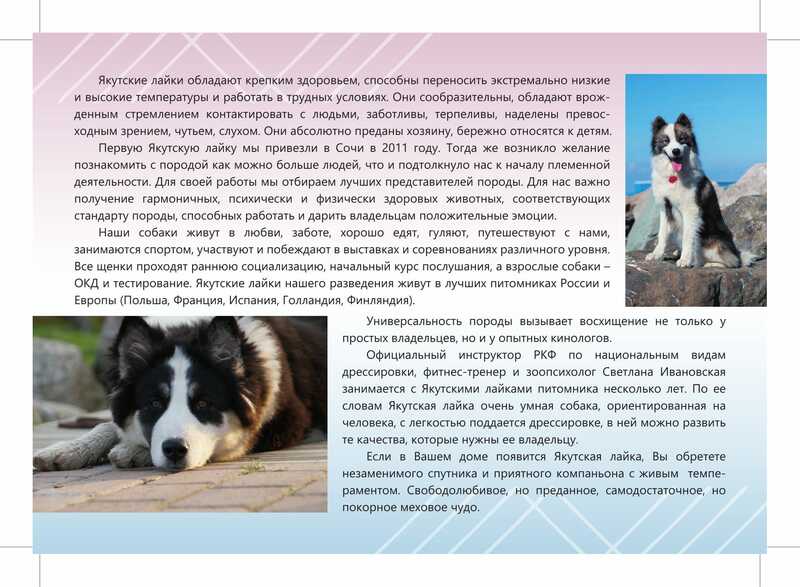 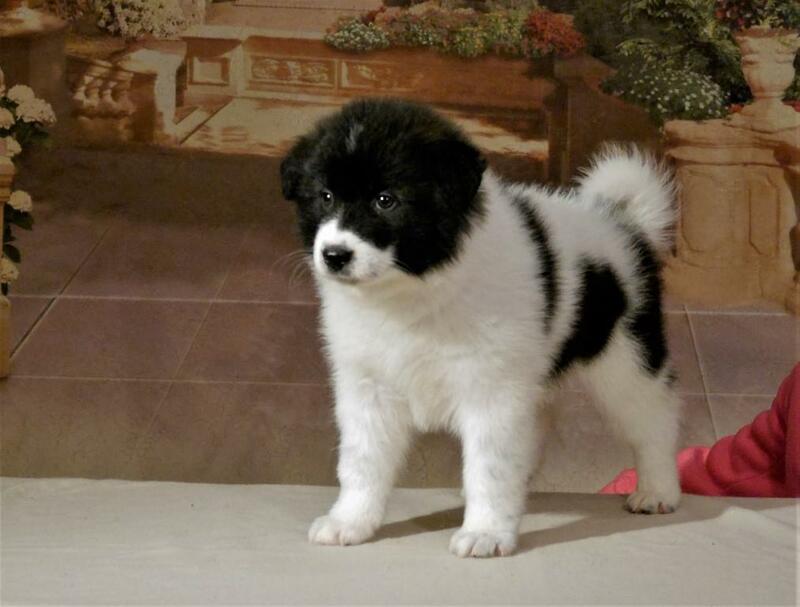 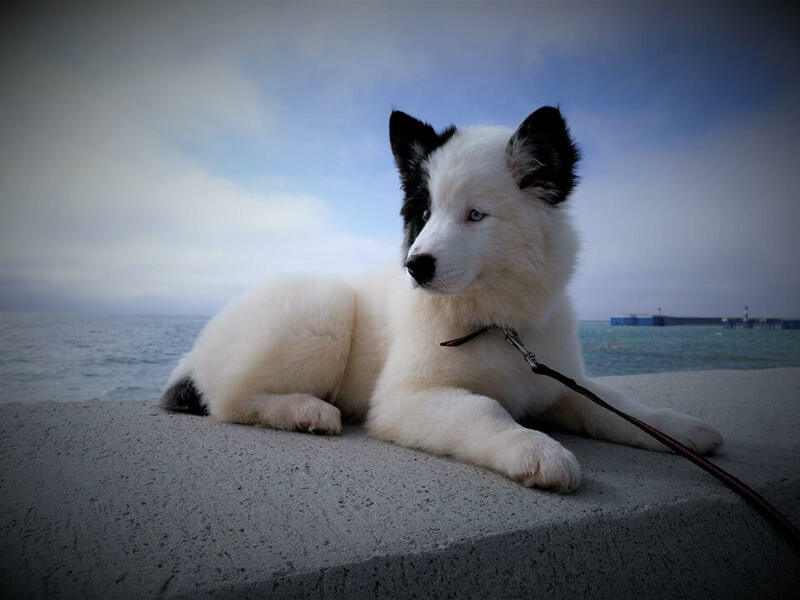 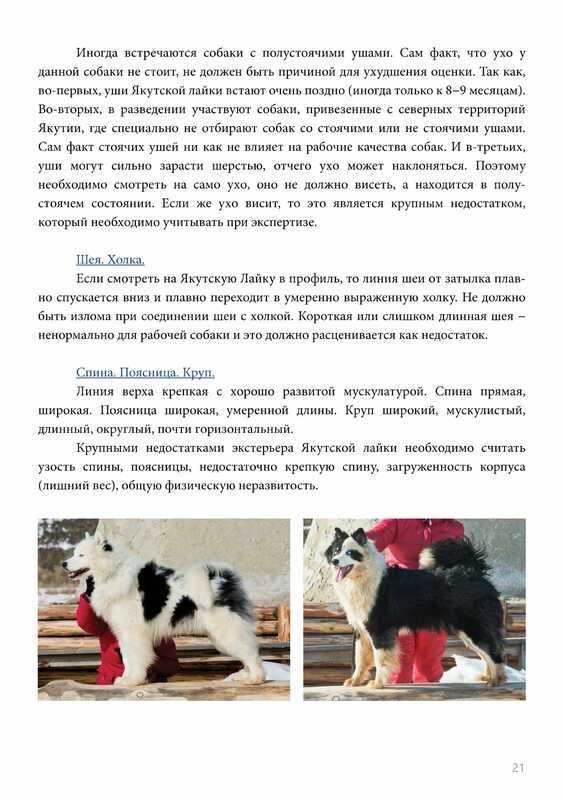 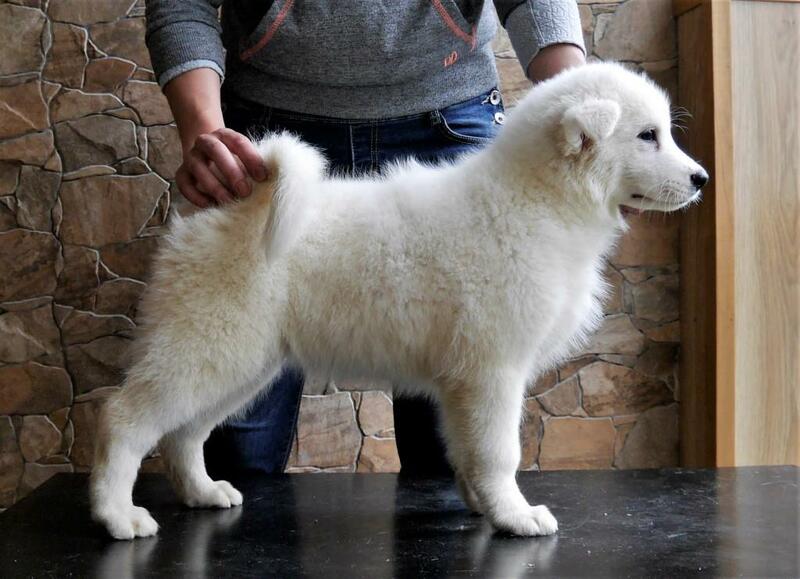 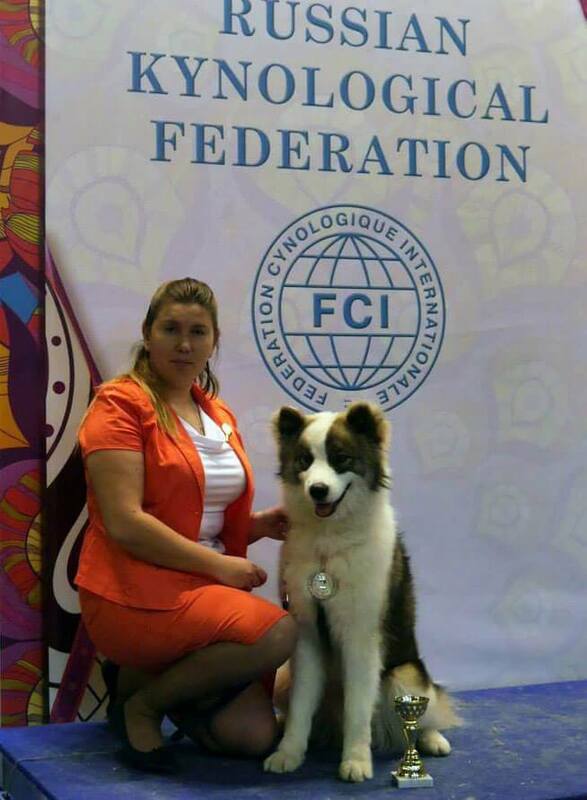 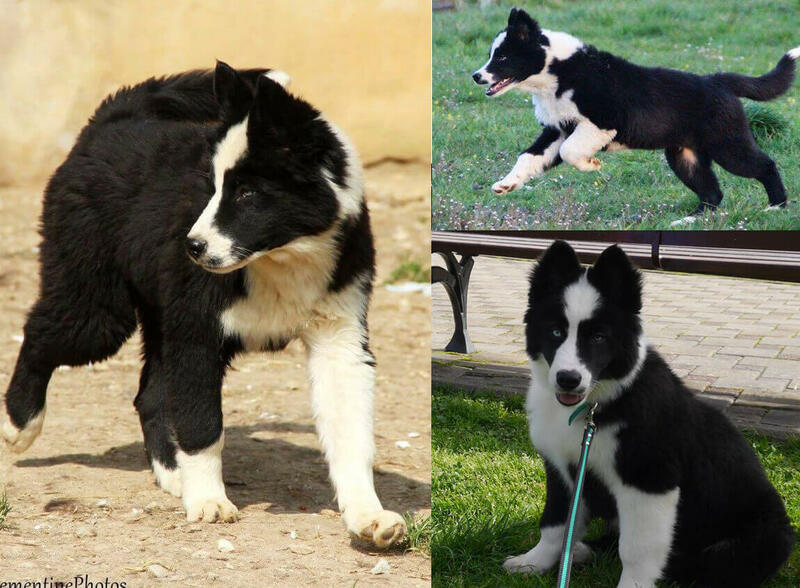 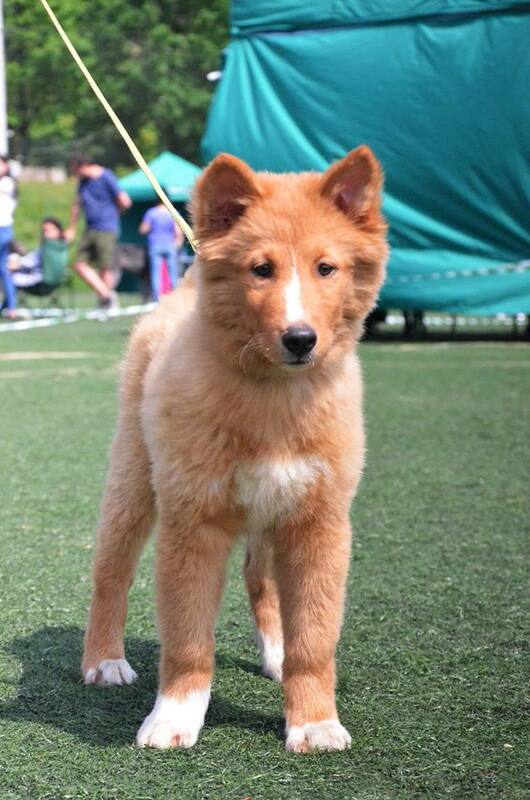 Kennel of Yakutian Laika will help to adapt puppy to the new home and will give advice on proper care and feeding. 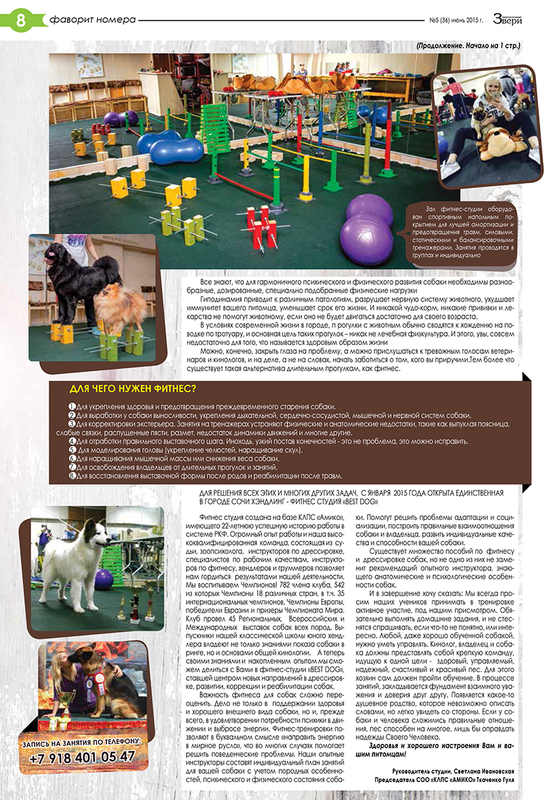 We will explain organization, graphic and menu of nutrition. 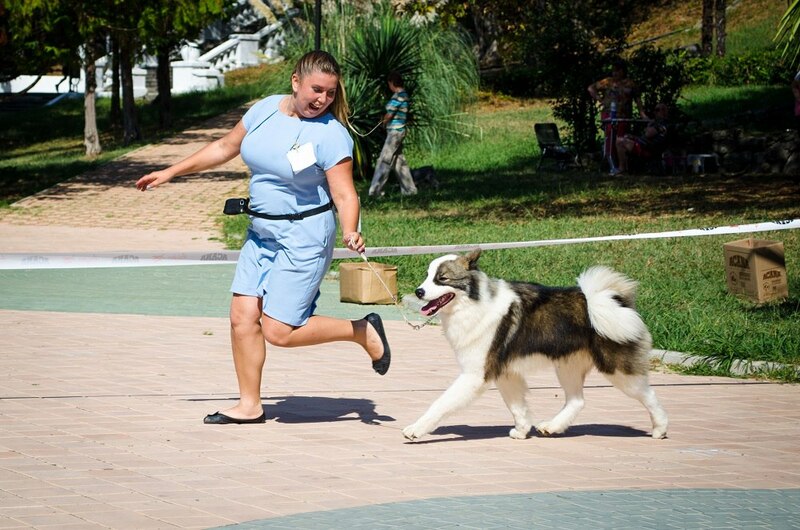 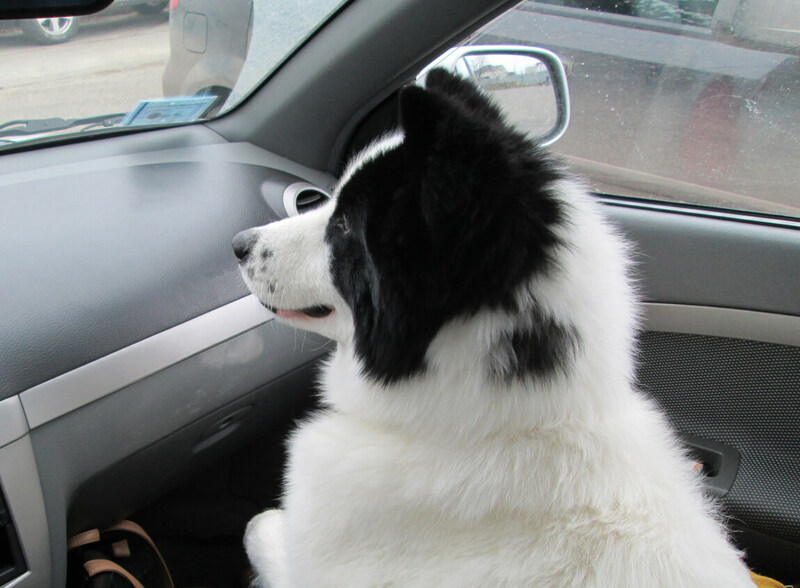 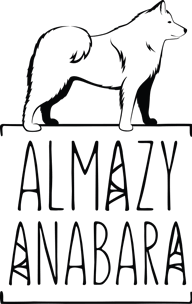 We will consult on questions of training, physical activity and duties of your pet. 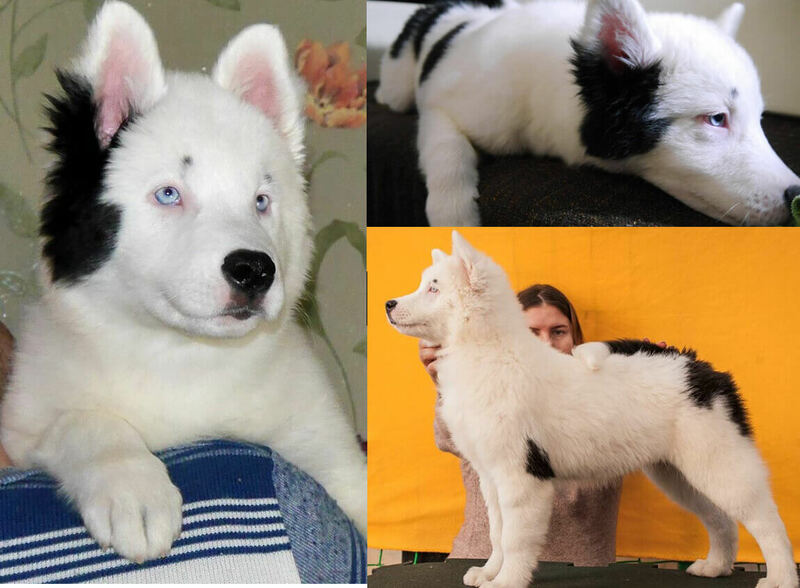 Buy a puppy from the best pairs was made possible by a serious selectional work. 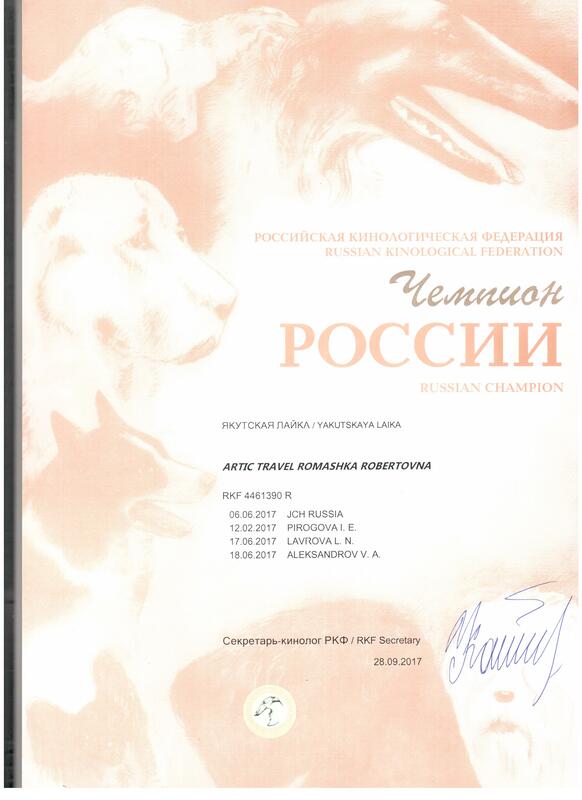 For us is very important that dog be loved, always in the great shape, healthy and that it takes part in exhibitions and a breeding work. 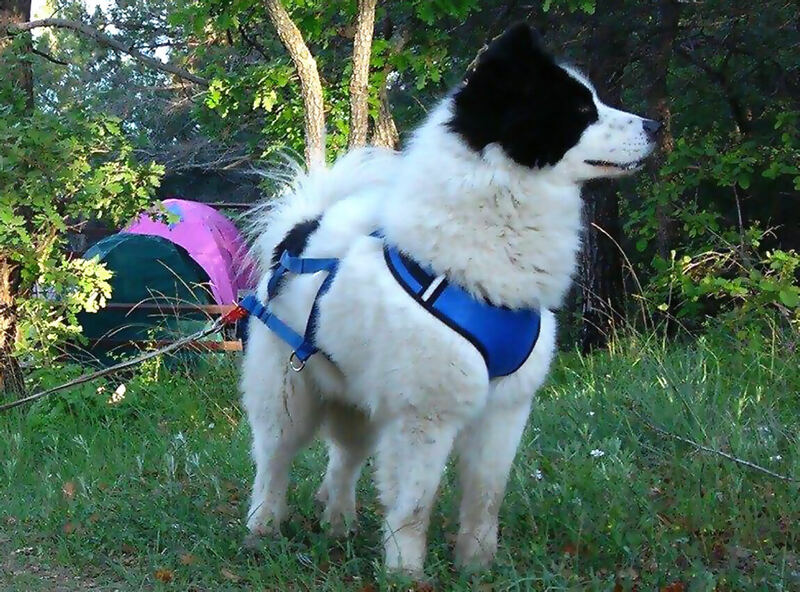 Place of residence: Disadonna kennel, Finland.